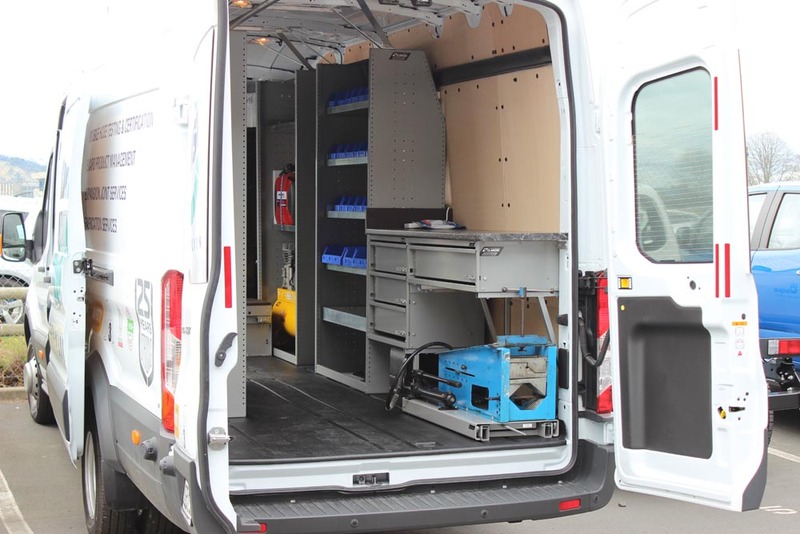 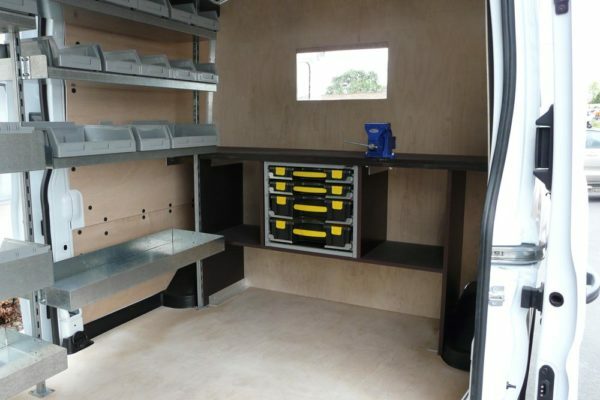 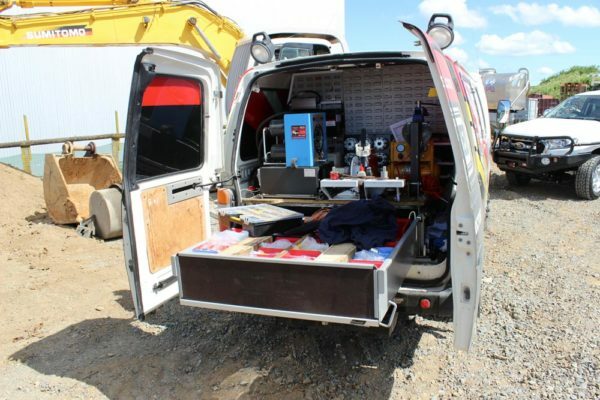 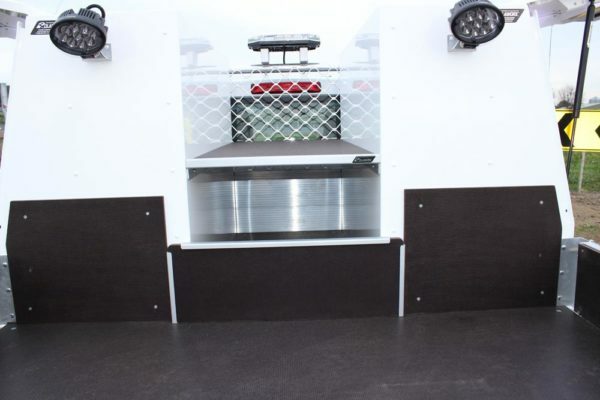 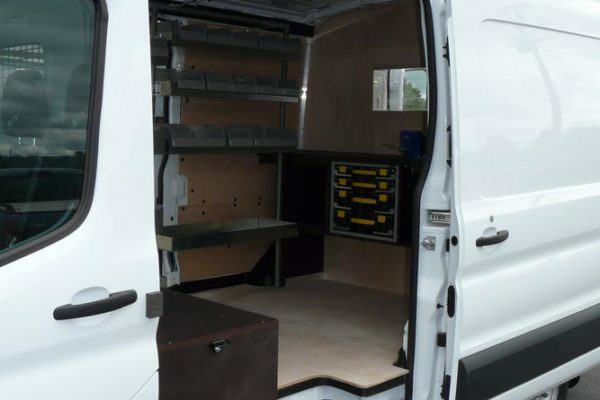 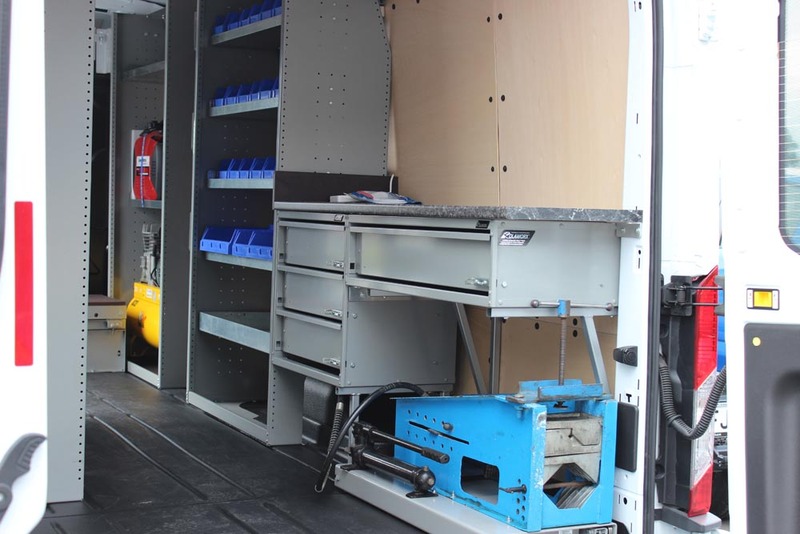 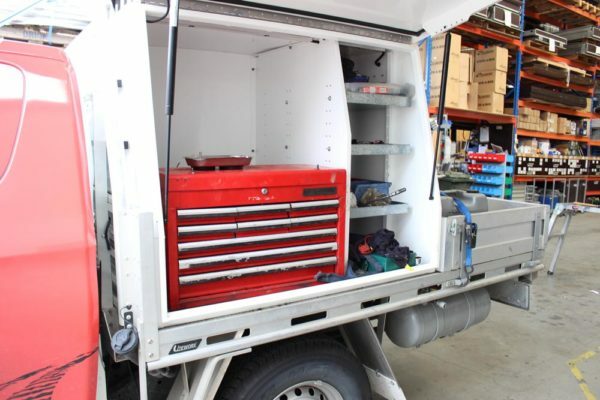 Servicemen working in the mobile servicing section of the automotive industry need a safe and efficient mobile workshop with the ability to carry a variety of tools and spare parts to serve their customers. 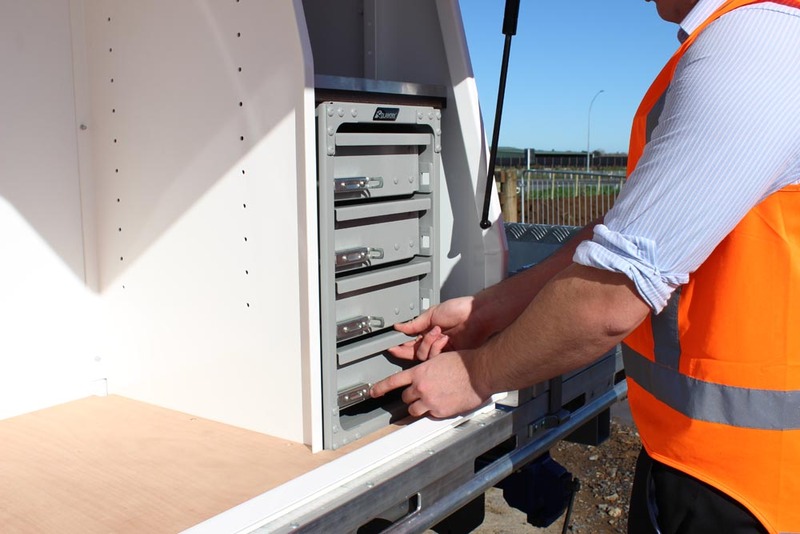 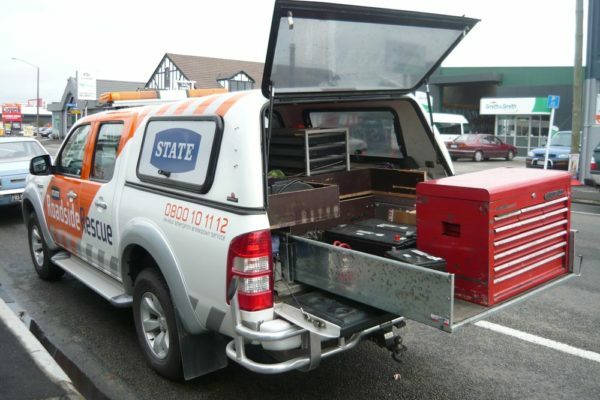 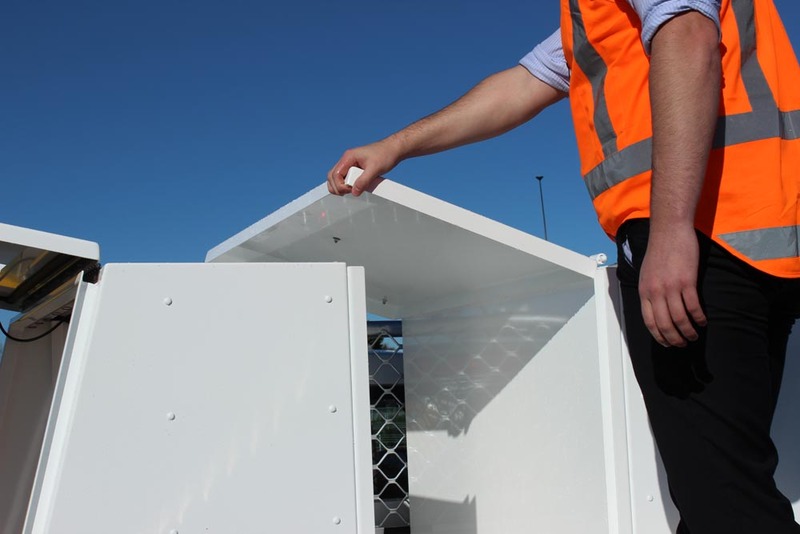 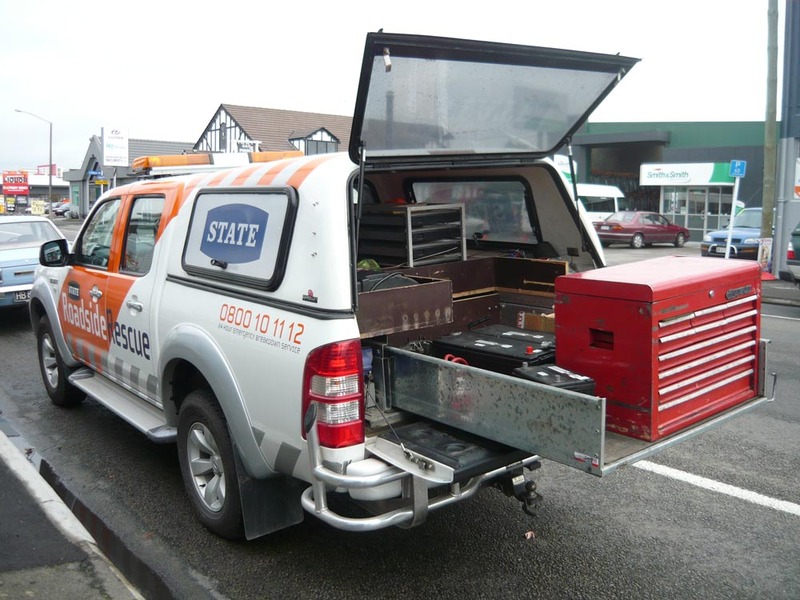 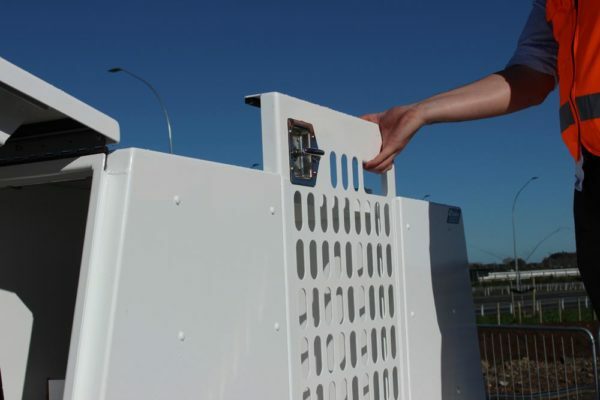 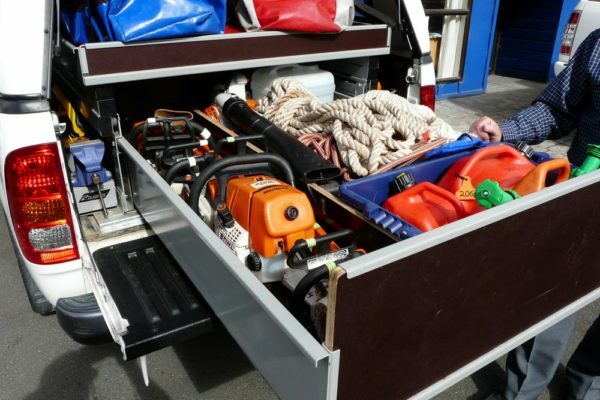 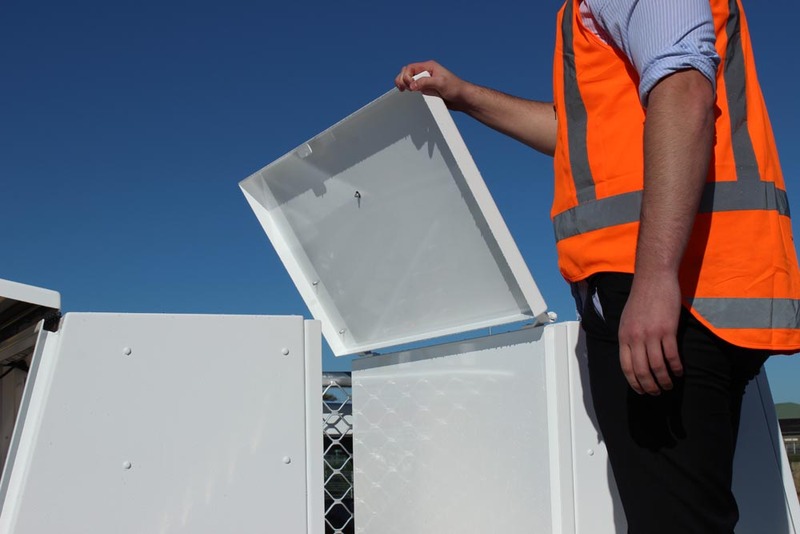 These roadside assistance and mechanical servicemen are often carrying up to 400kg of weight in the drawers, such as batteries as pictured. 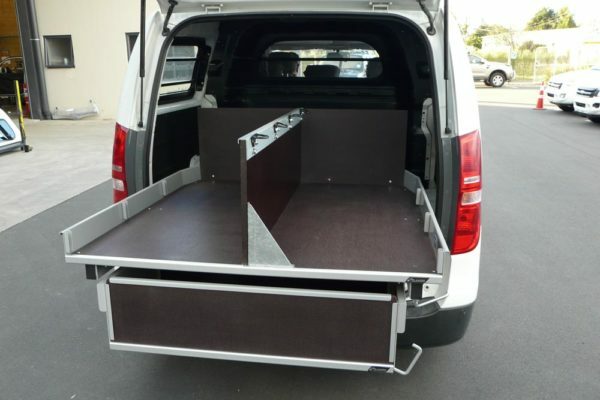 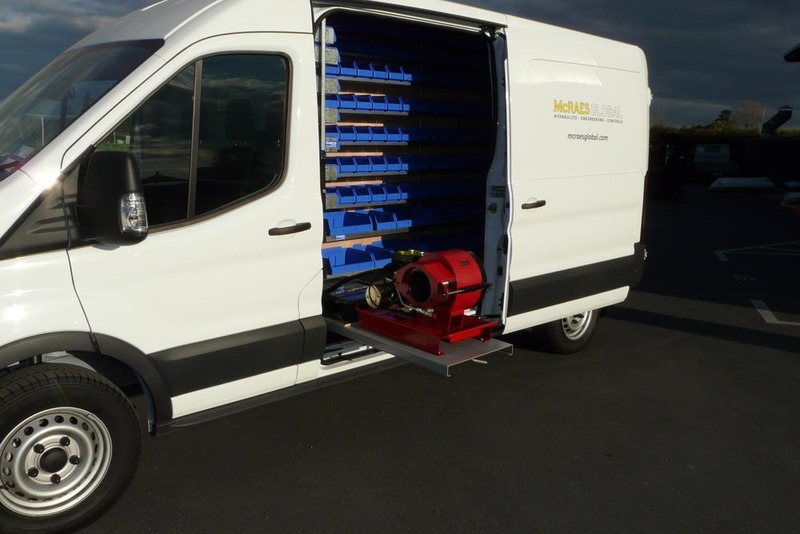 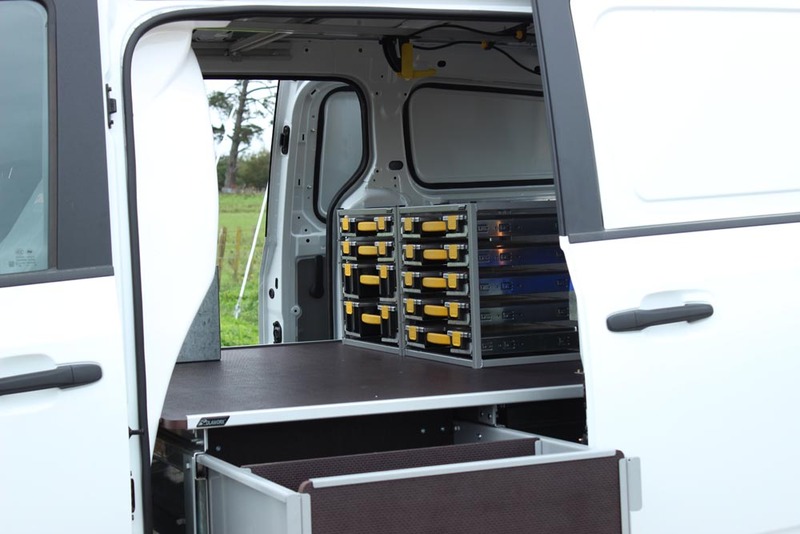 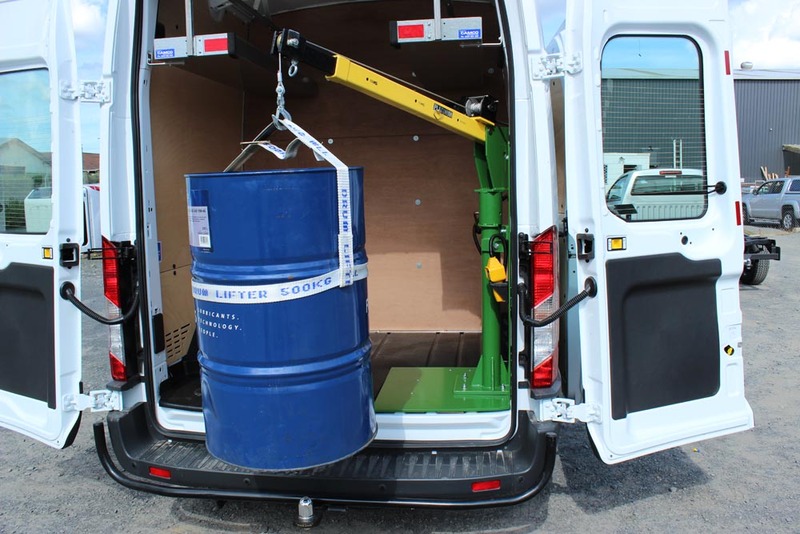 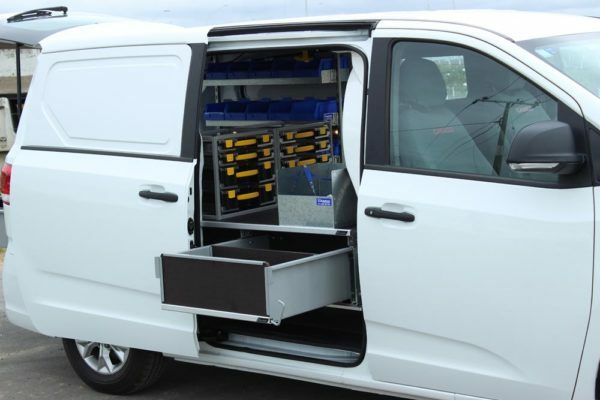 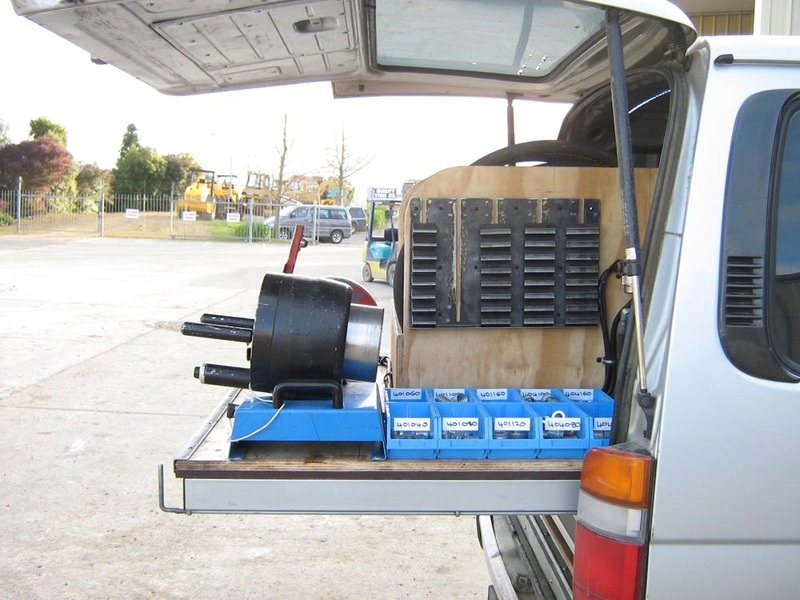 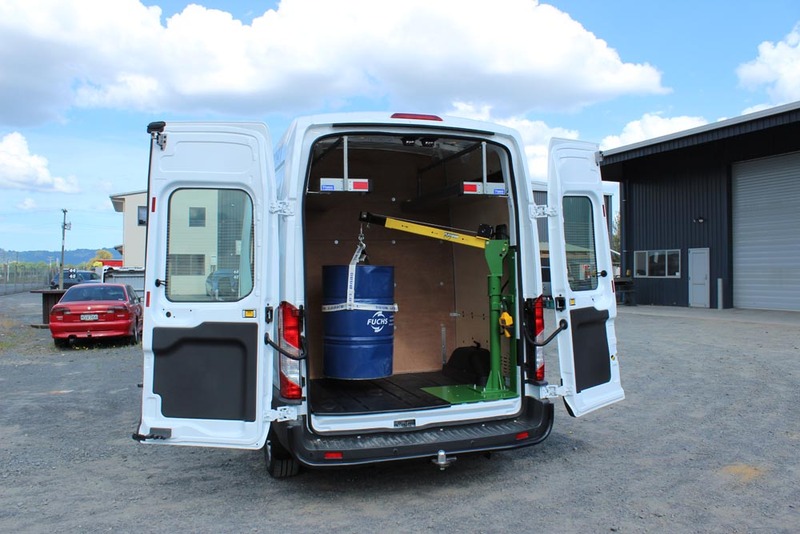 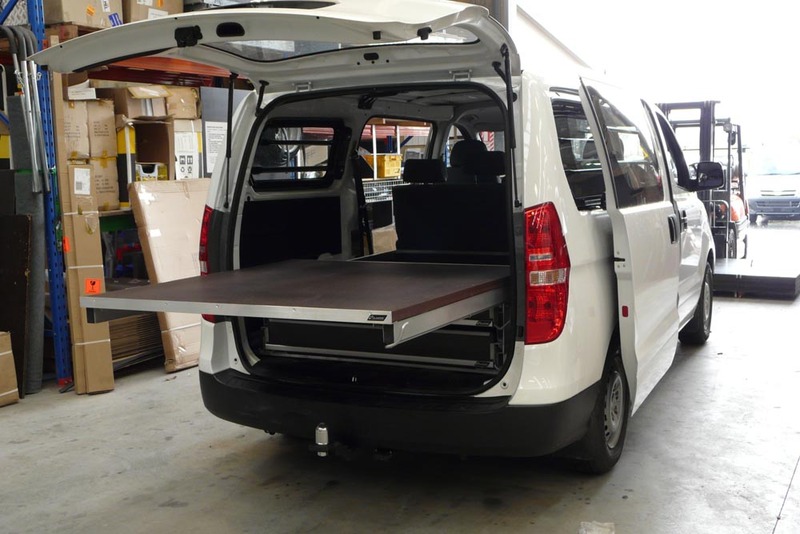 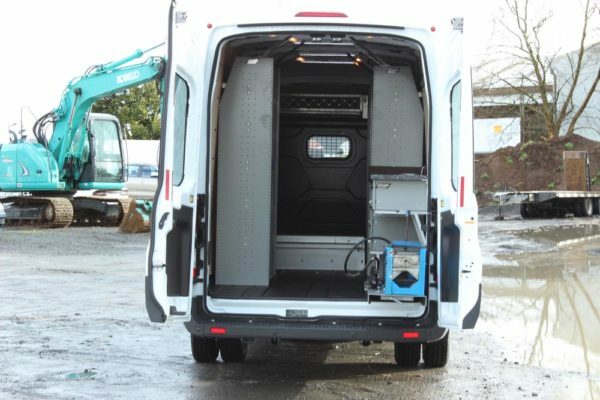 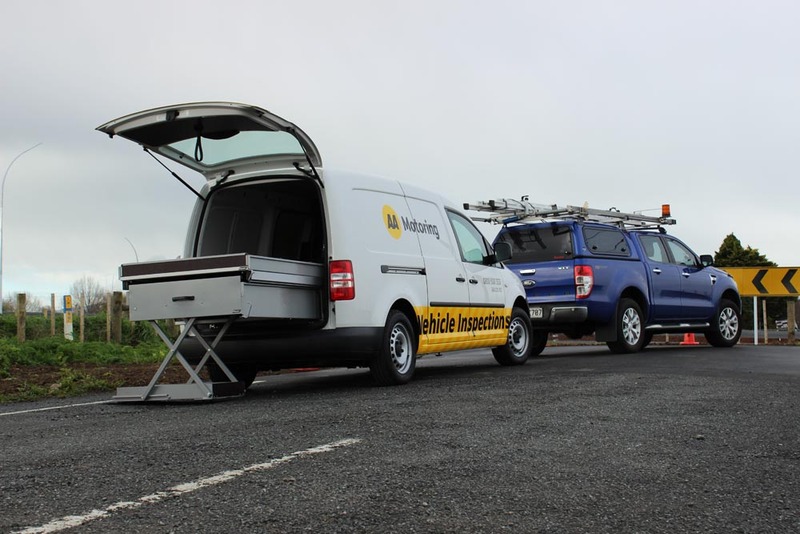 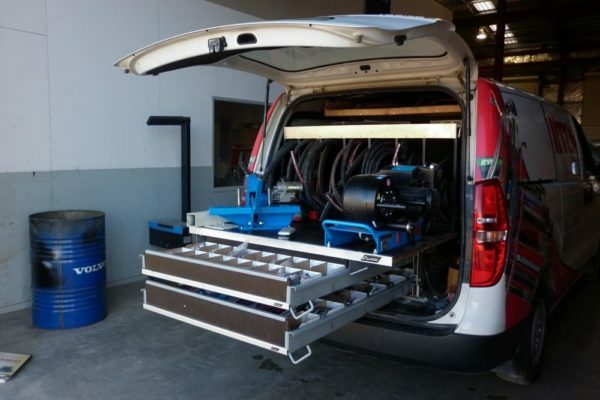 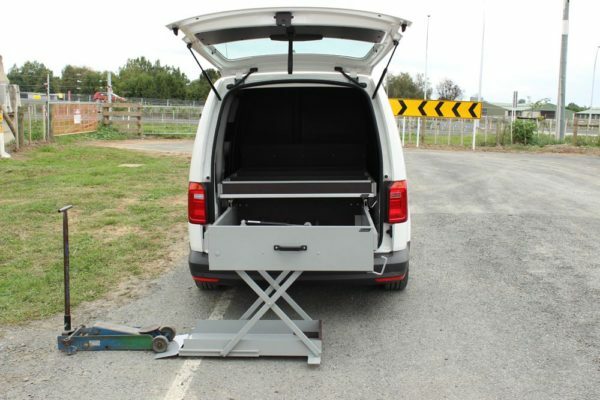 Camco can offer solutions for these operators whether they use a van, ute or small station wagon for their work. 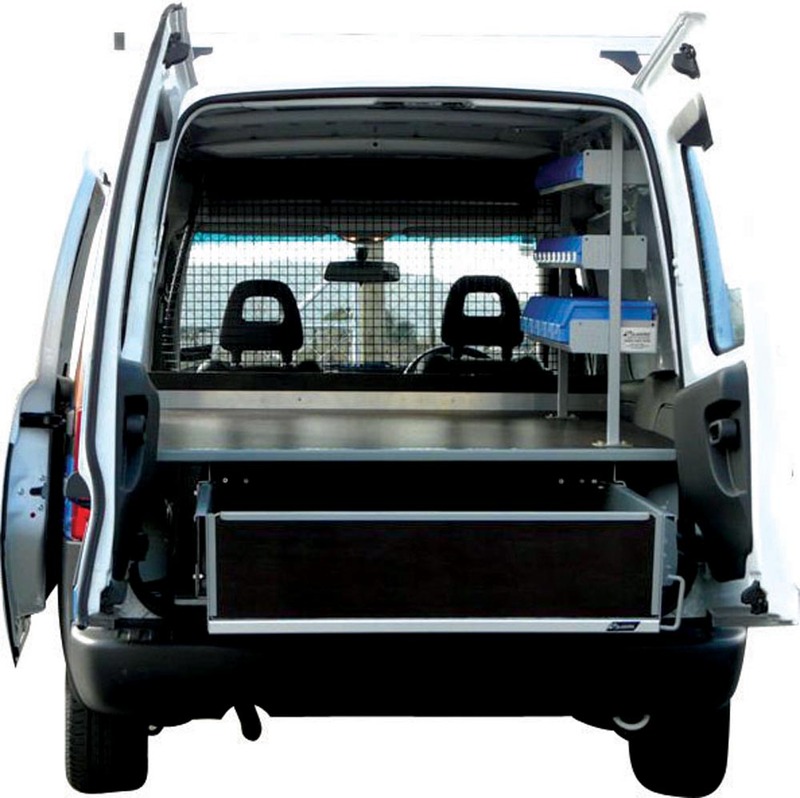 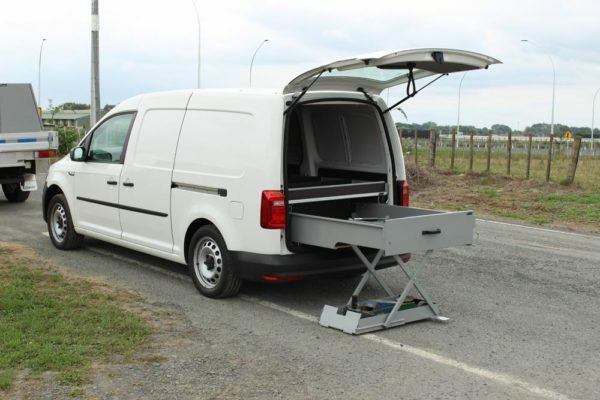 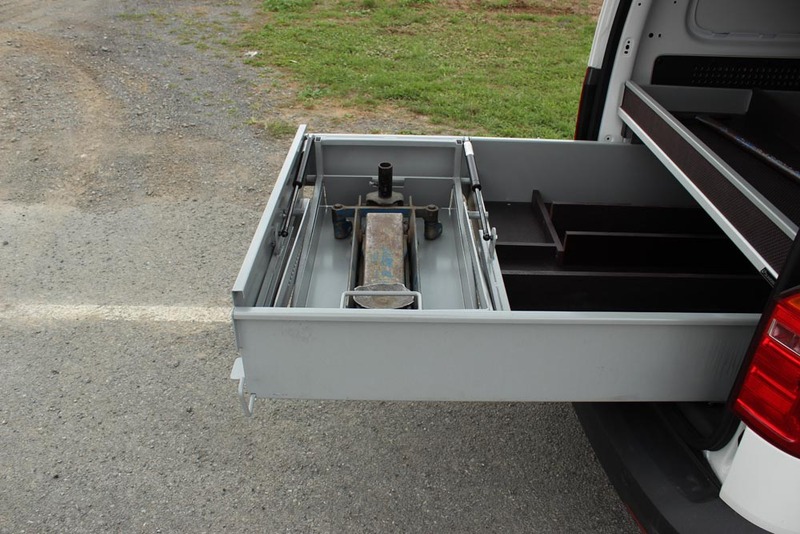 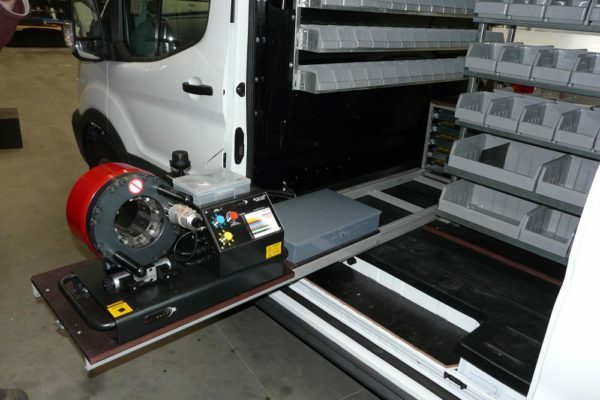 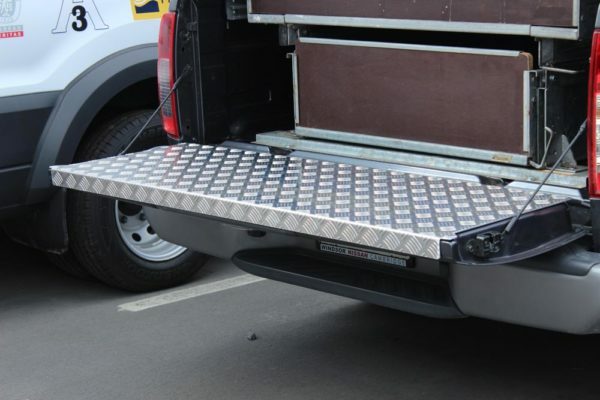 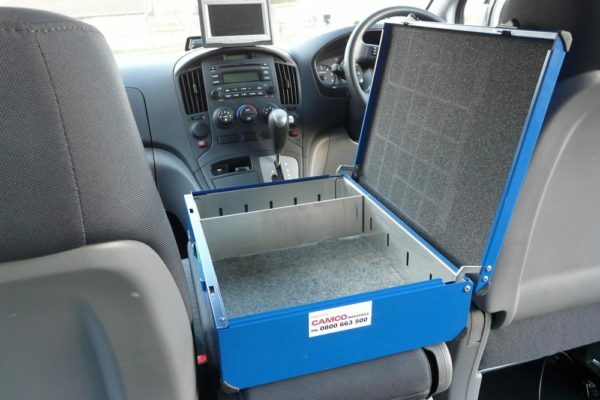 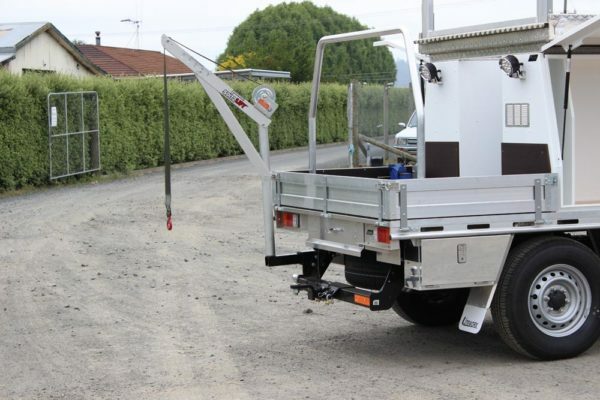 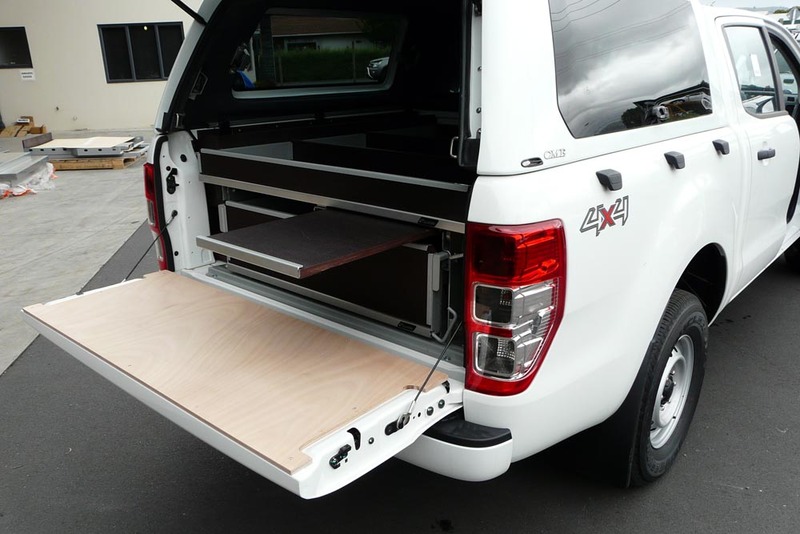 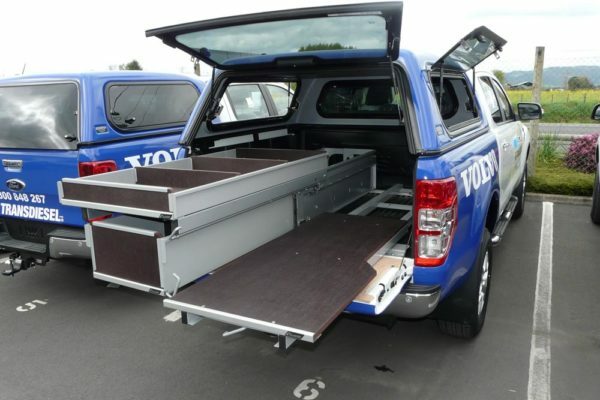 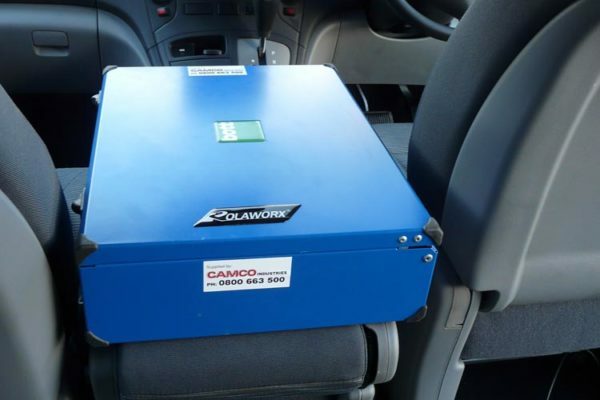 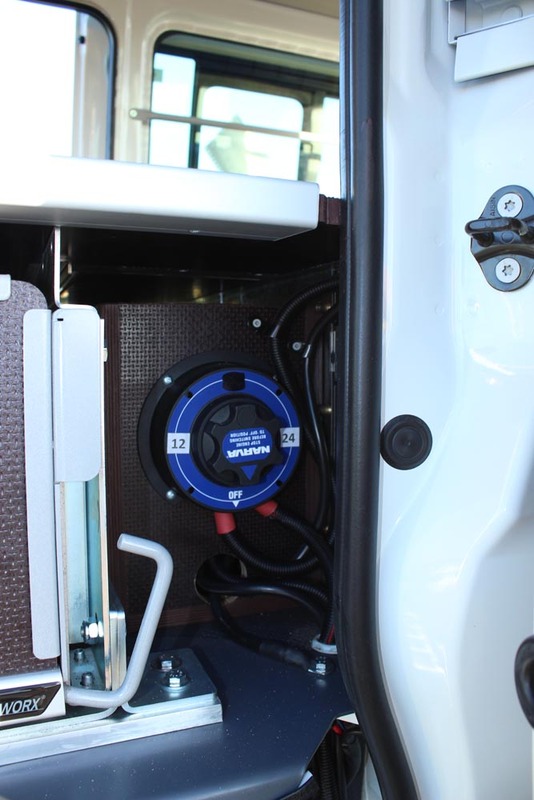 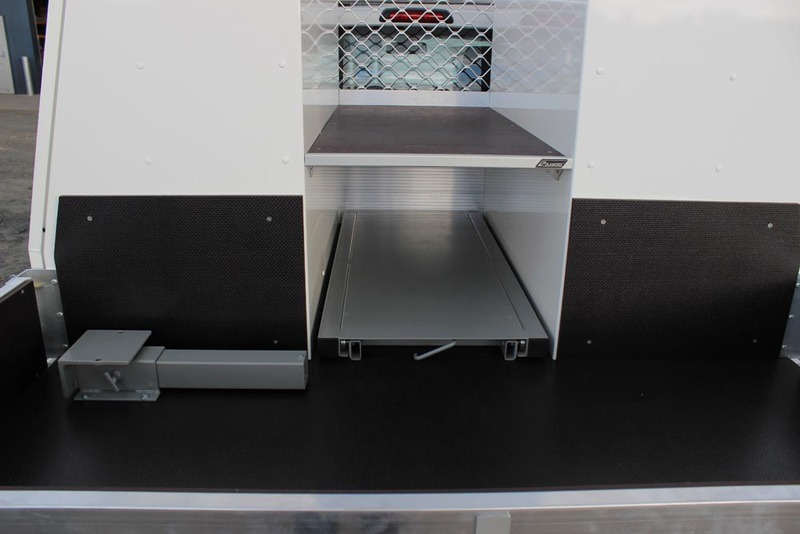 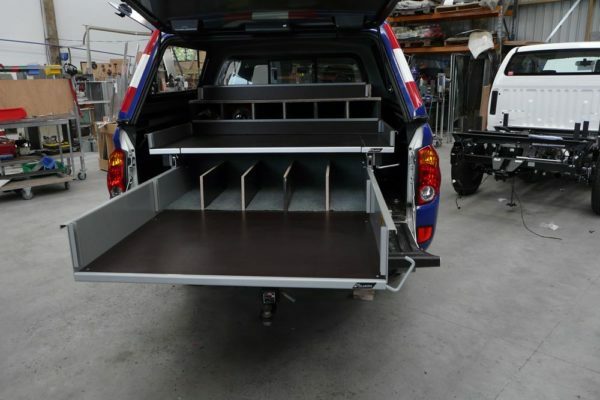 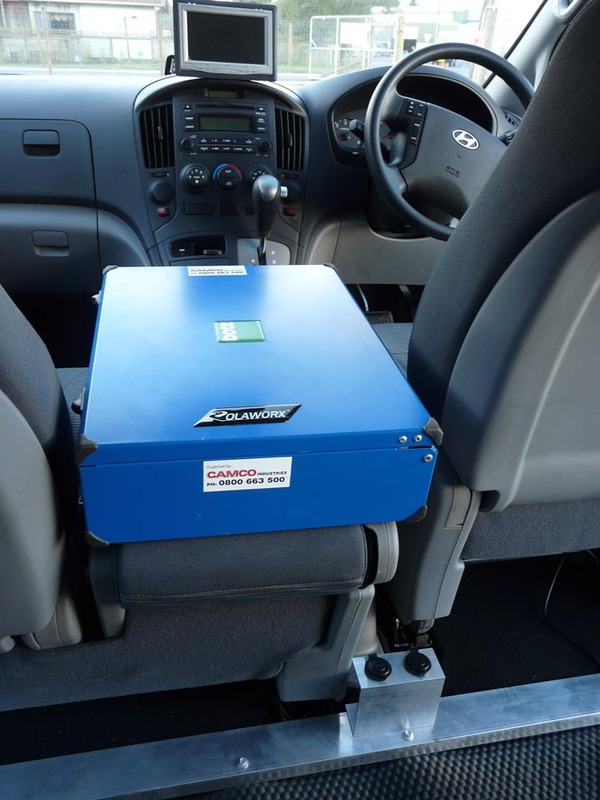 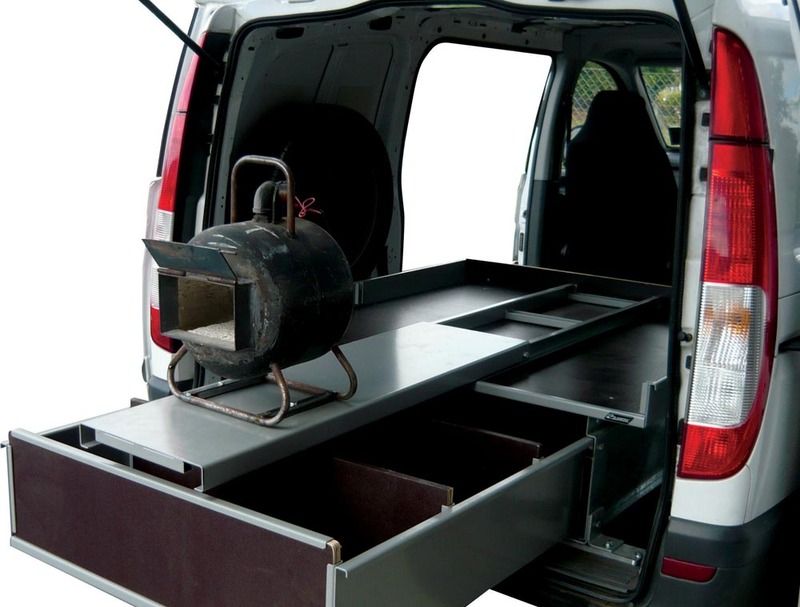 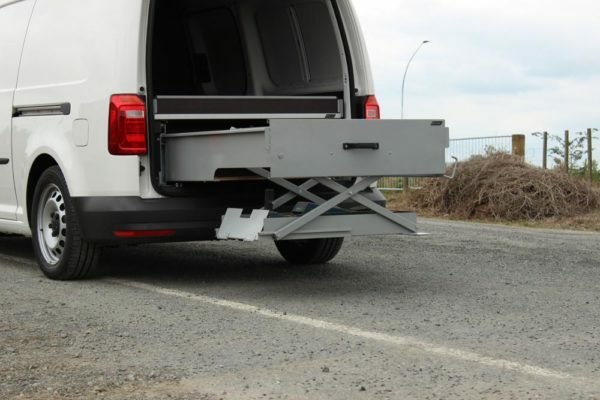 Camco has also come up with a jack-lifter that can be fitted to a Rolaworx® drawer to safely lift the jack into the vehicle without risking back strain. 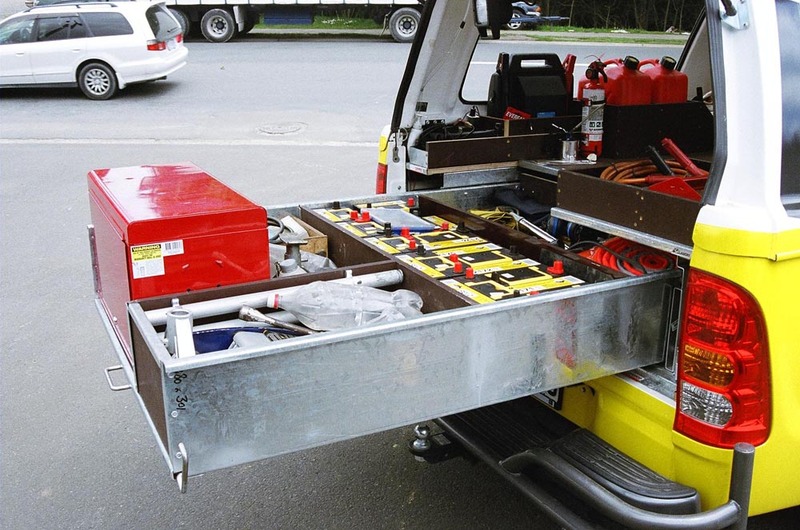 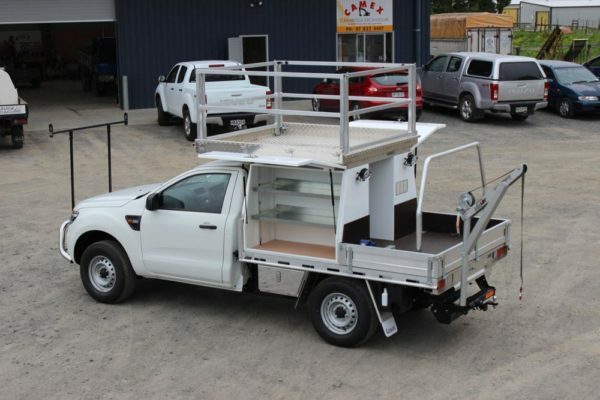 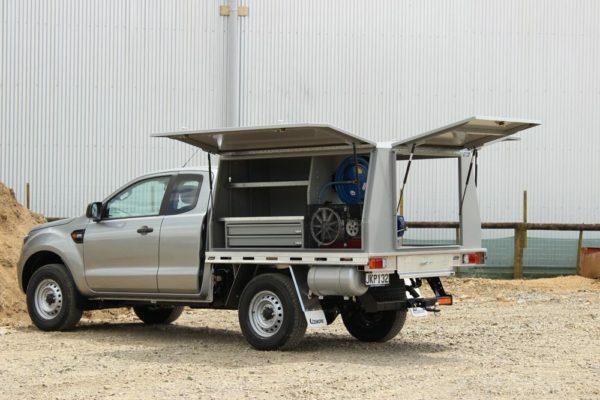 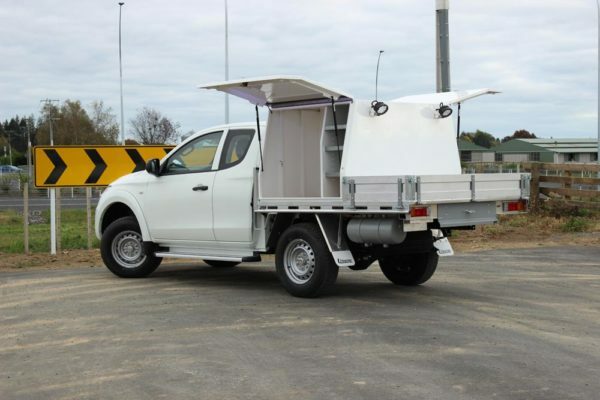 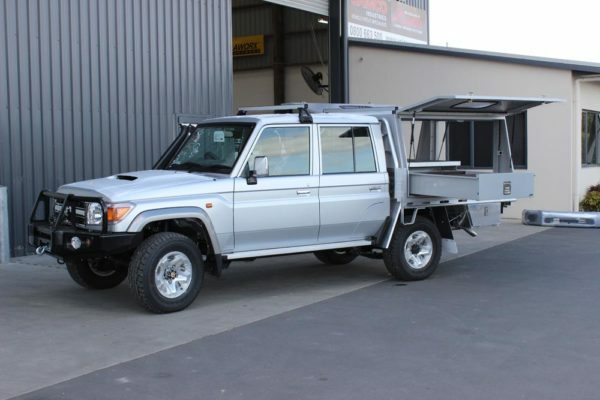 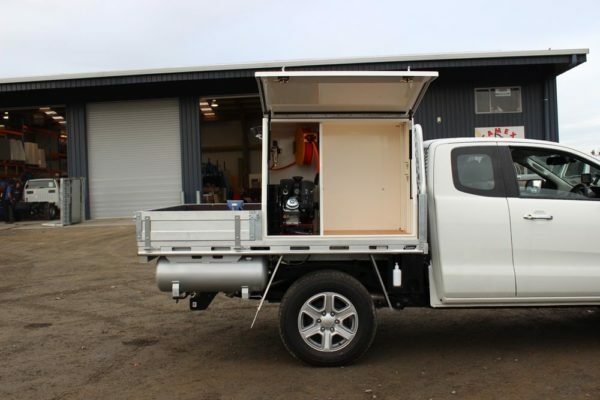 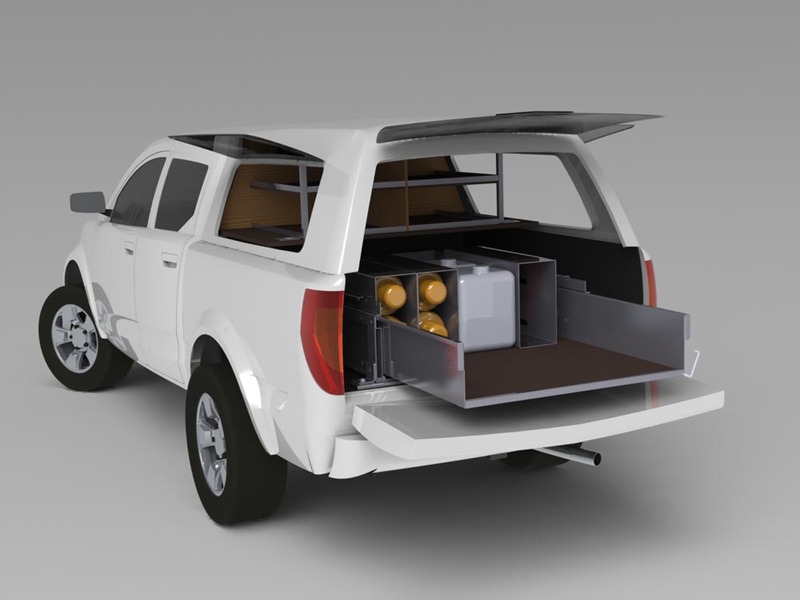 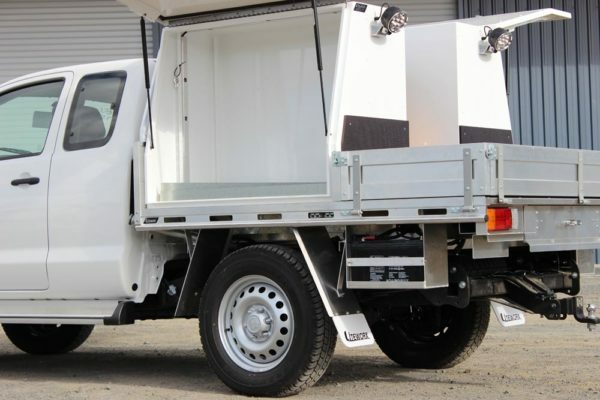 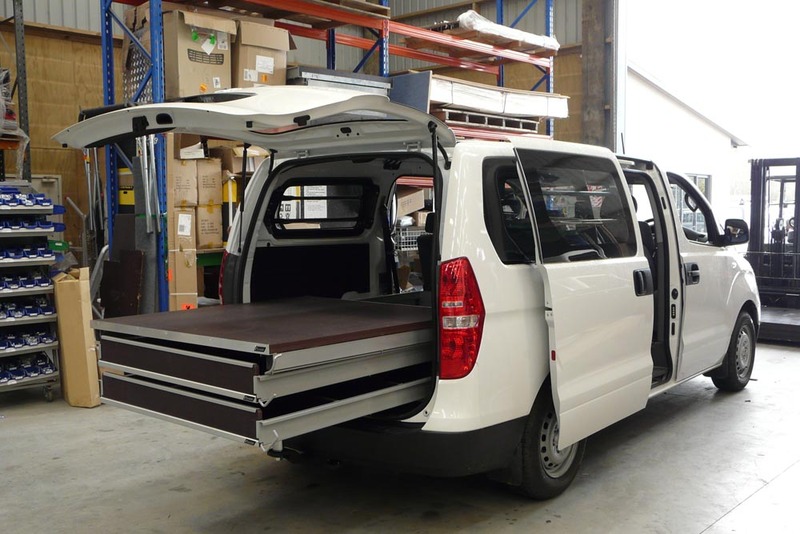 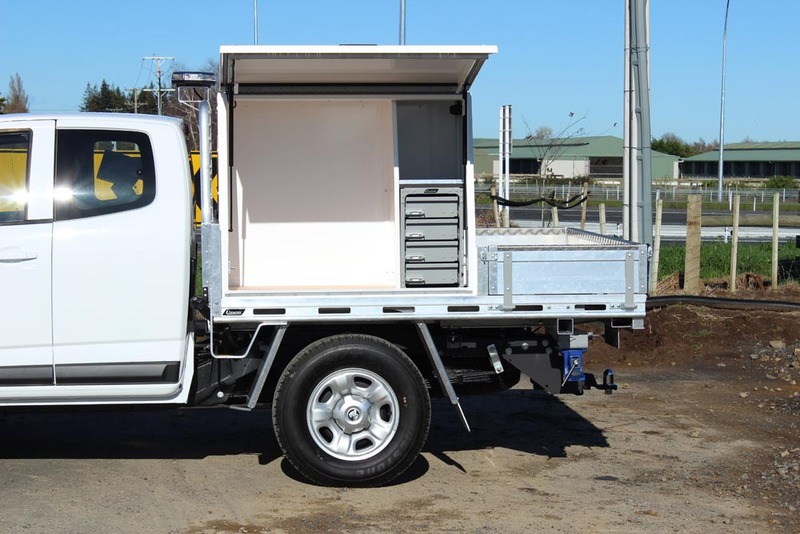 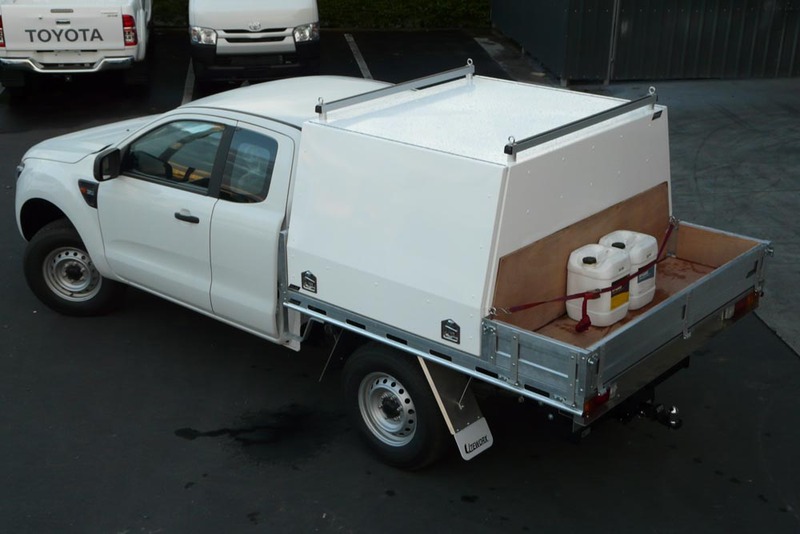 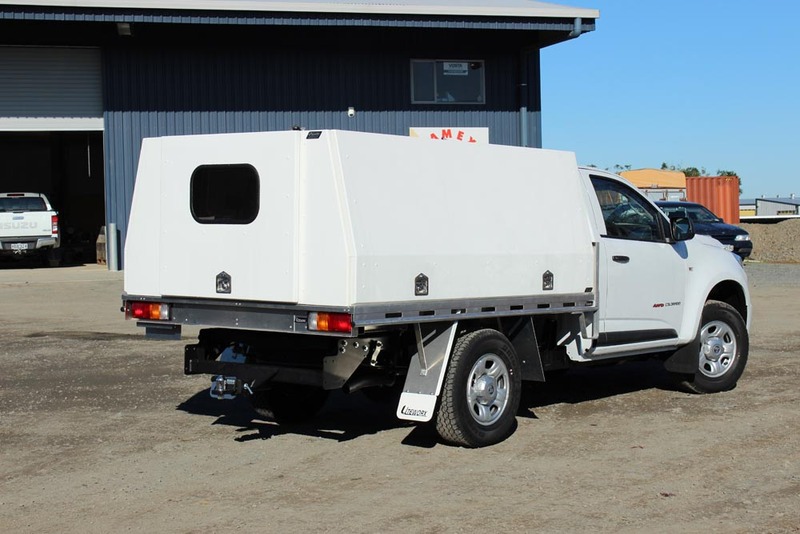 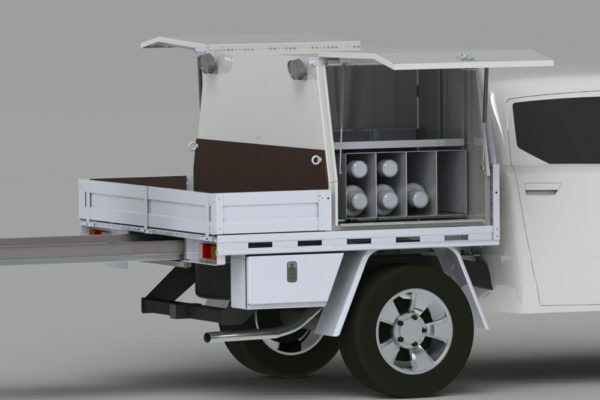 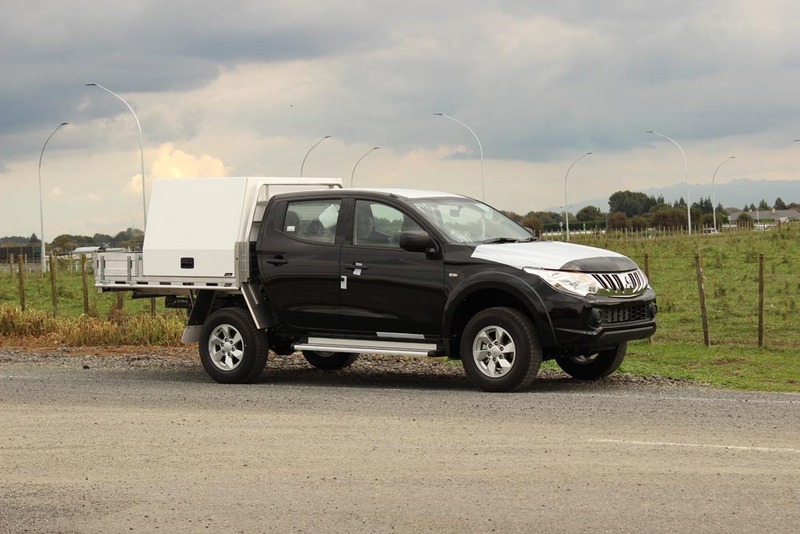 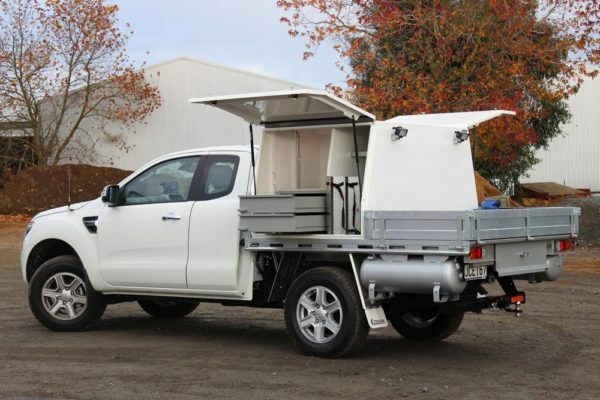 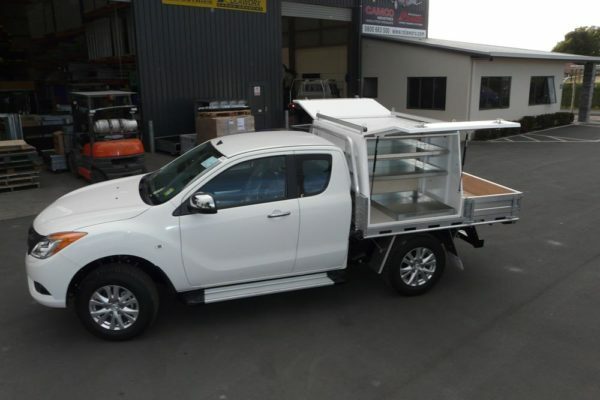 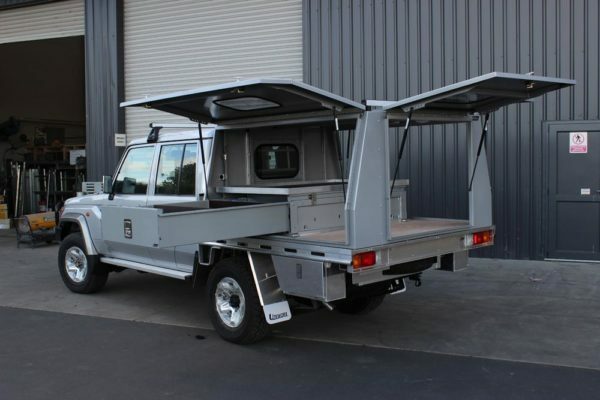 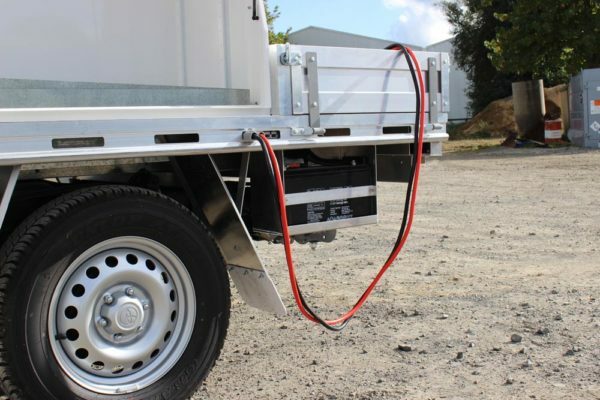 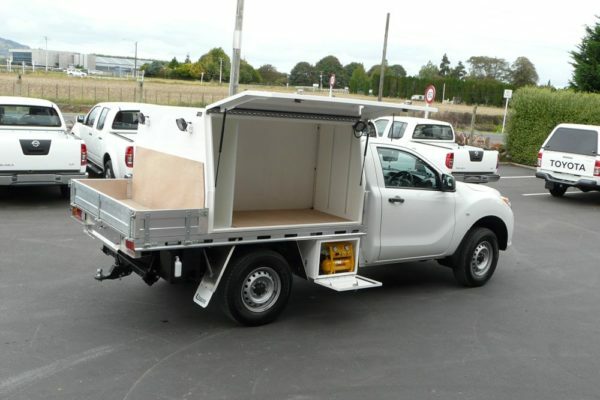 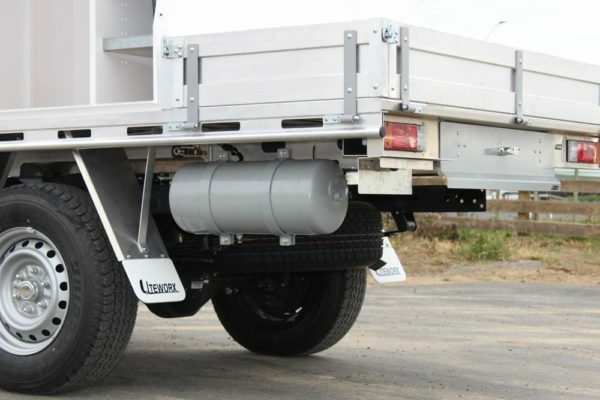 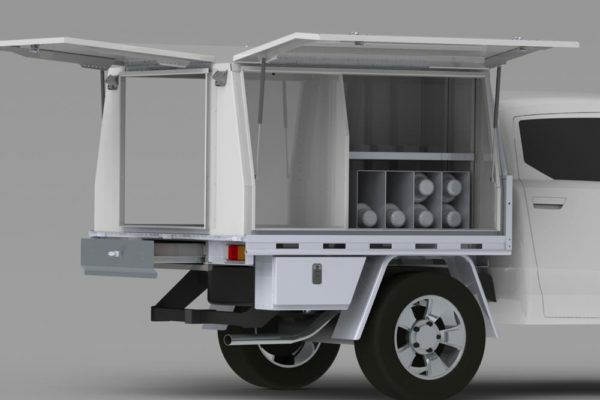 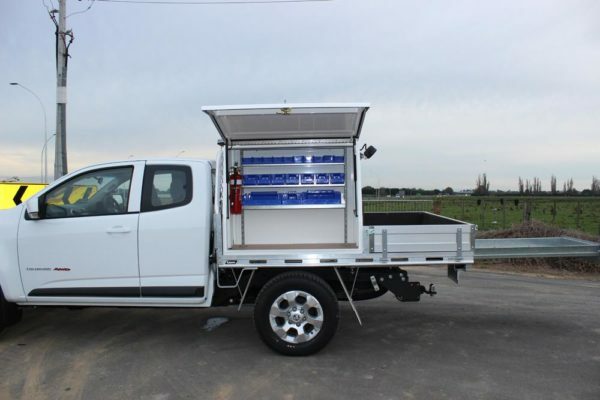 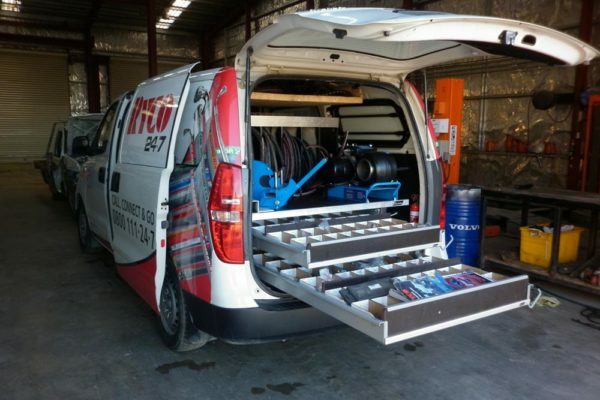 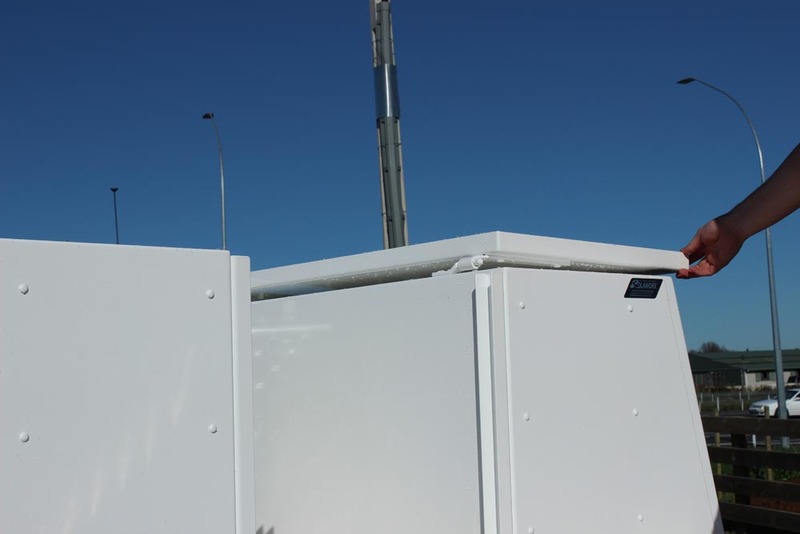 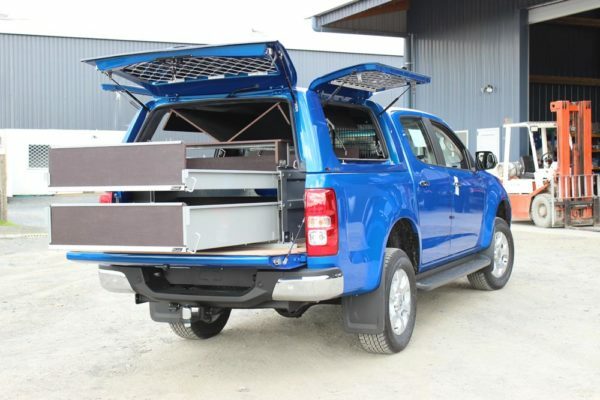 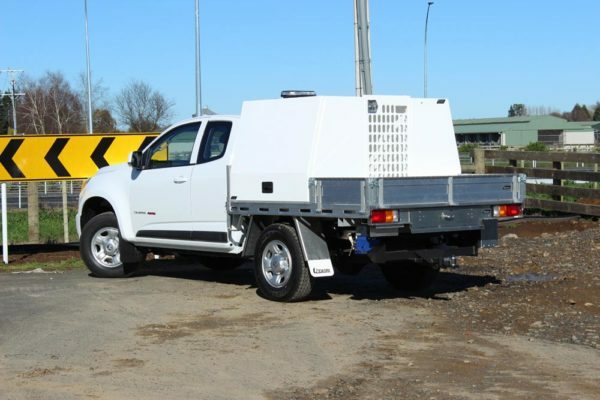 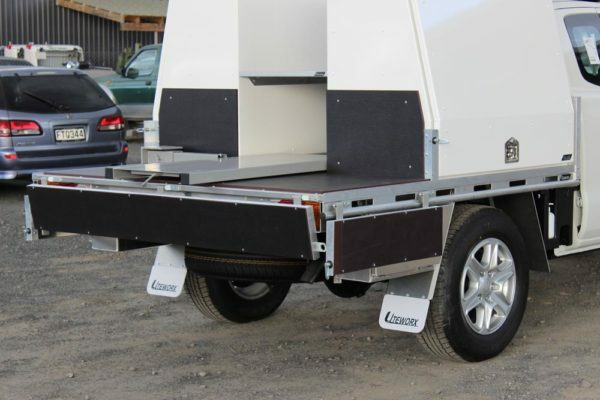 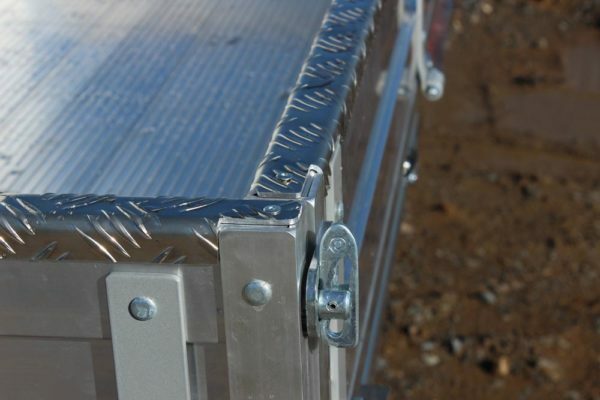 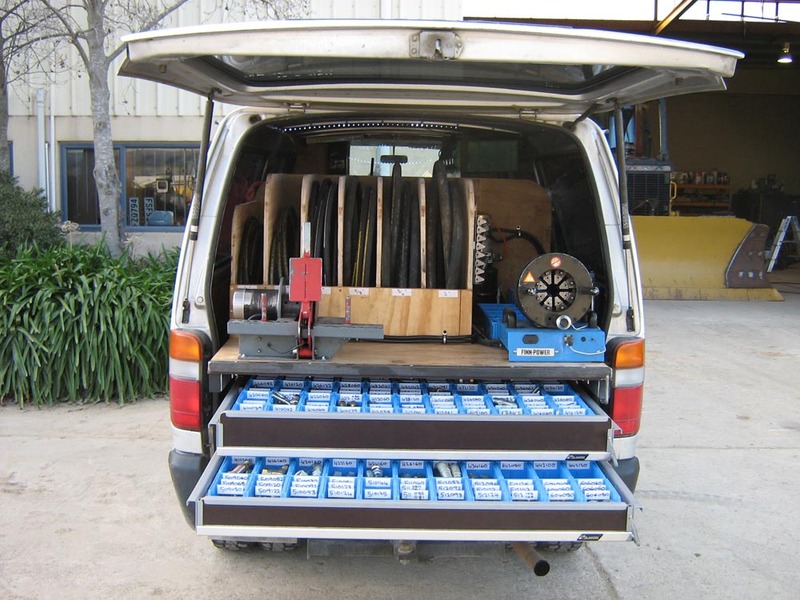 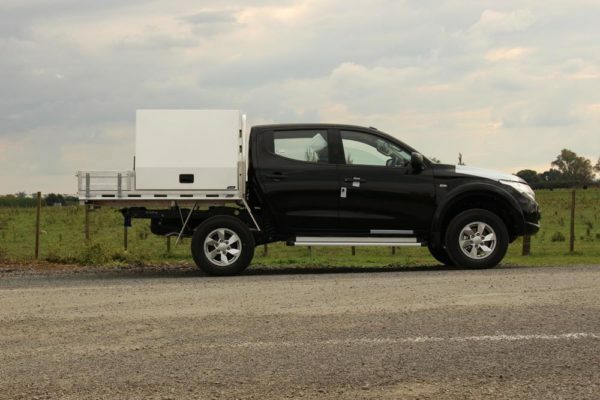 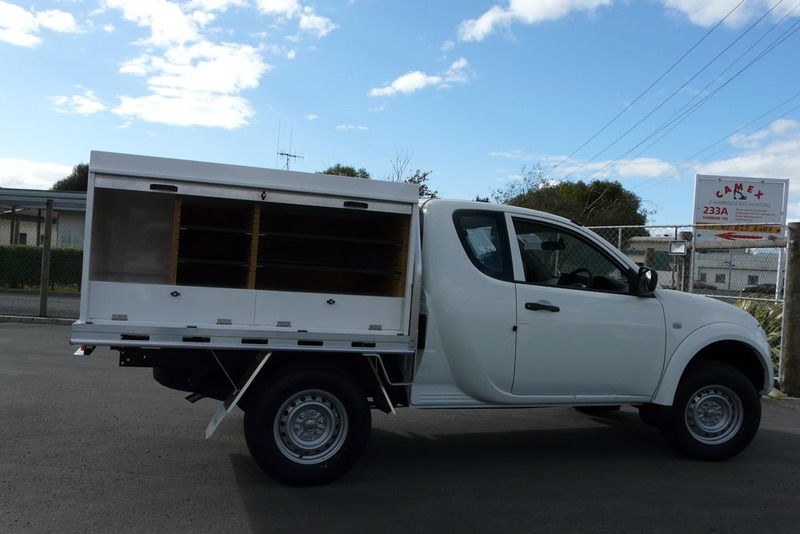 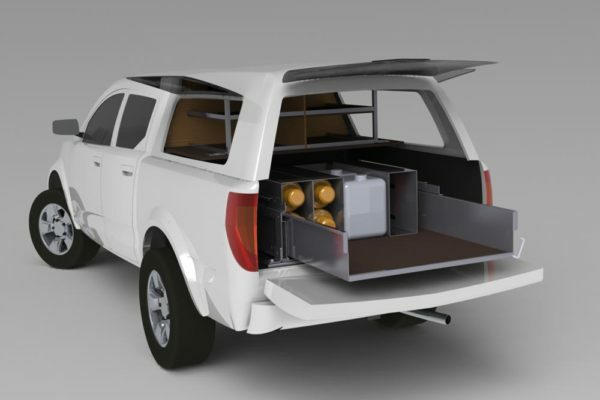 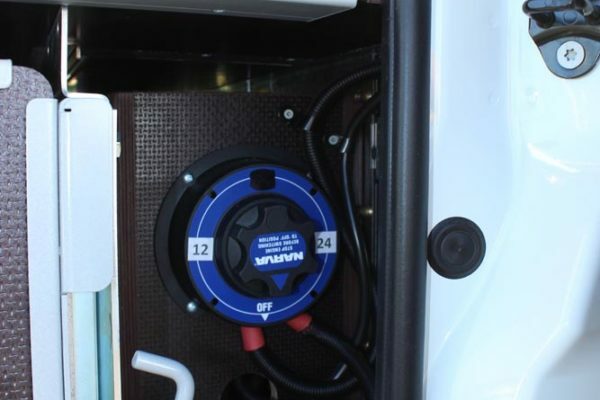 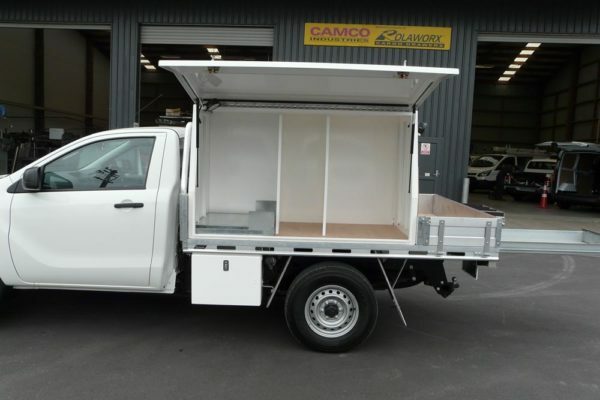 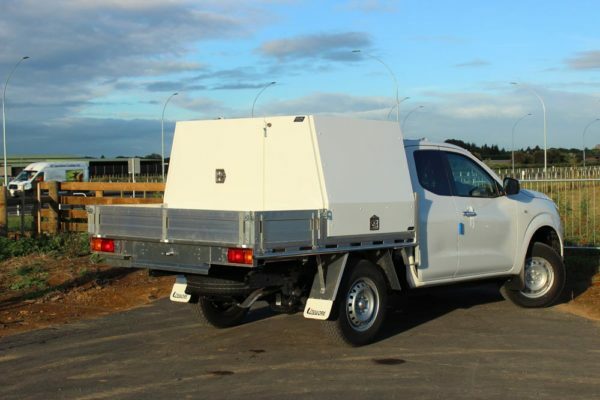 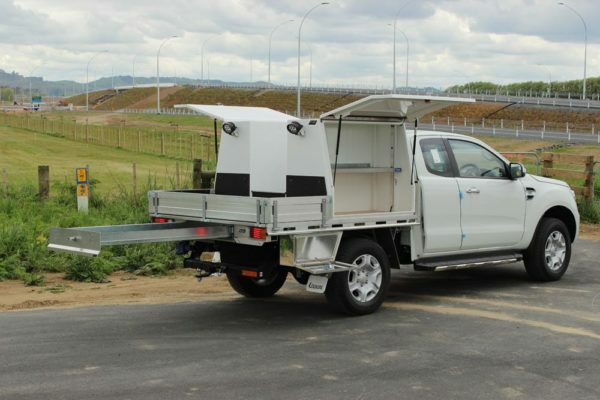 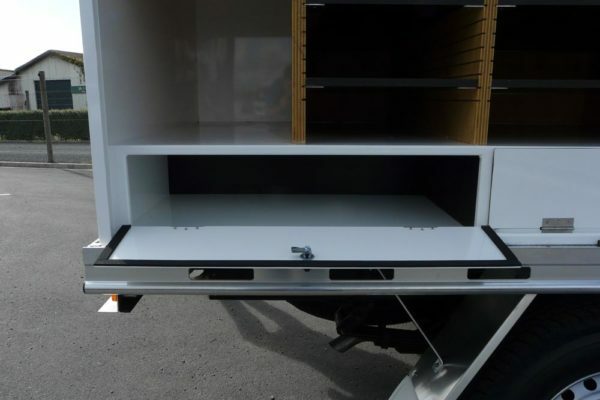 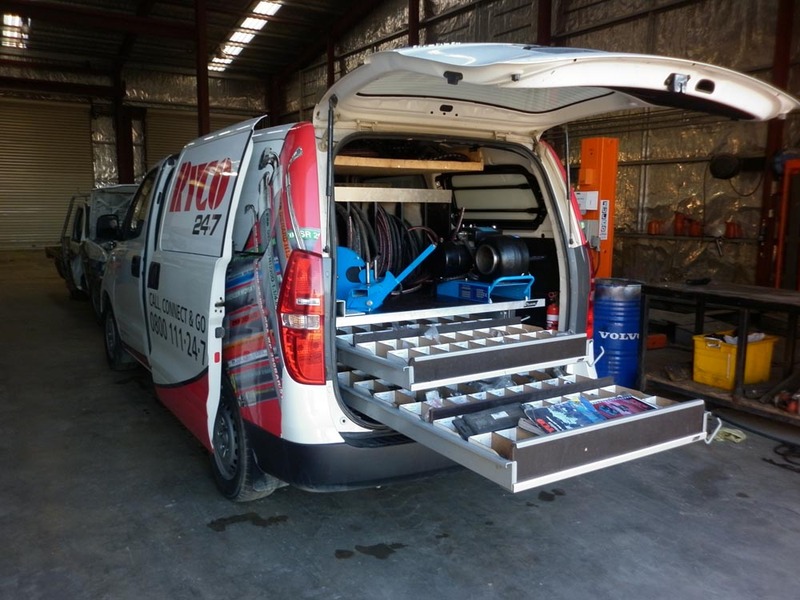 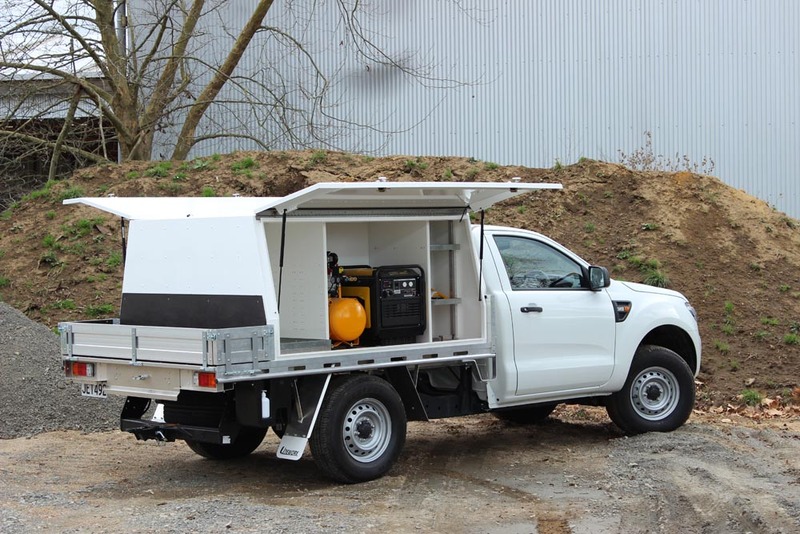 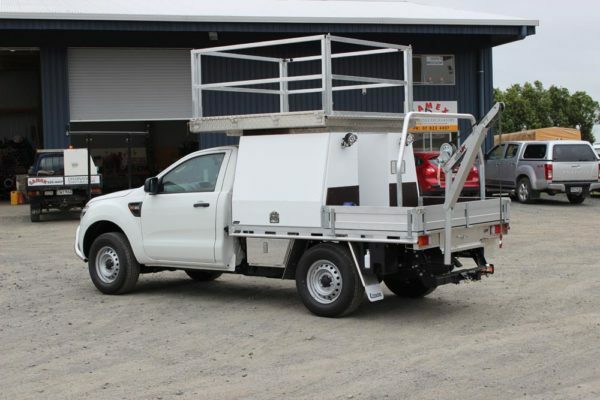 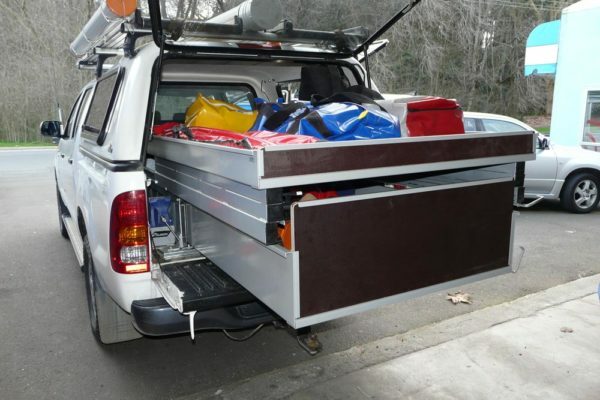 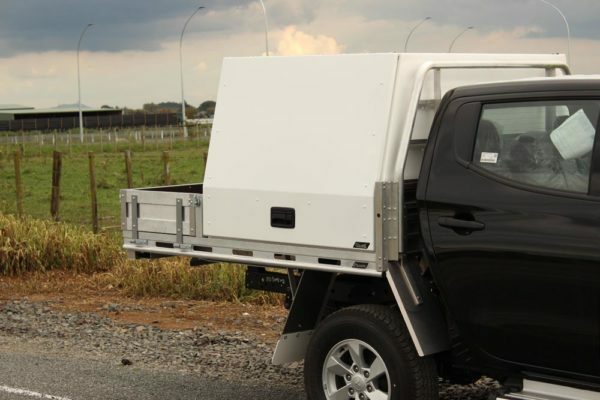 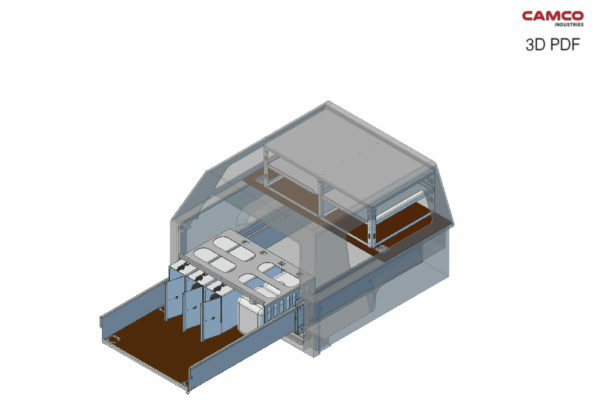 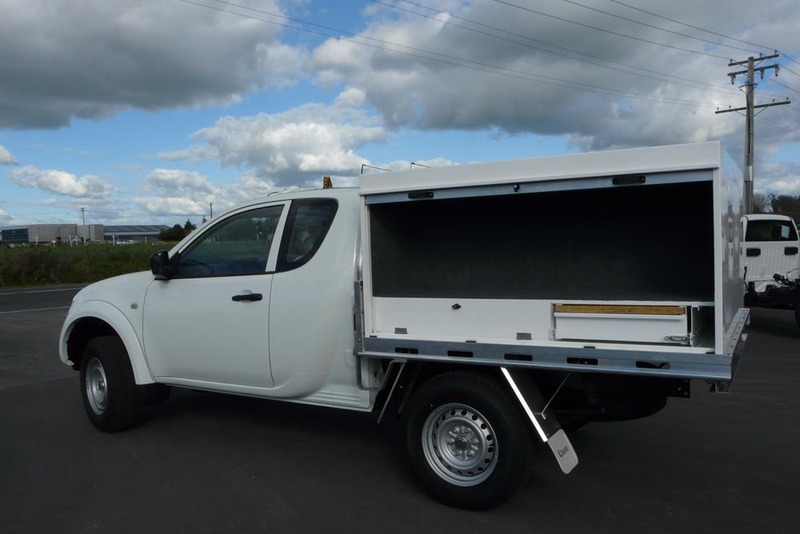 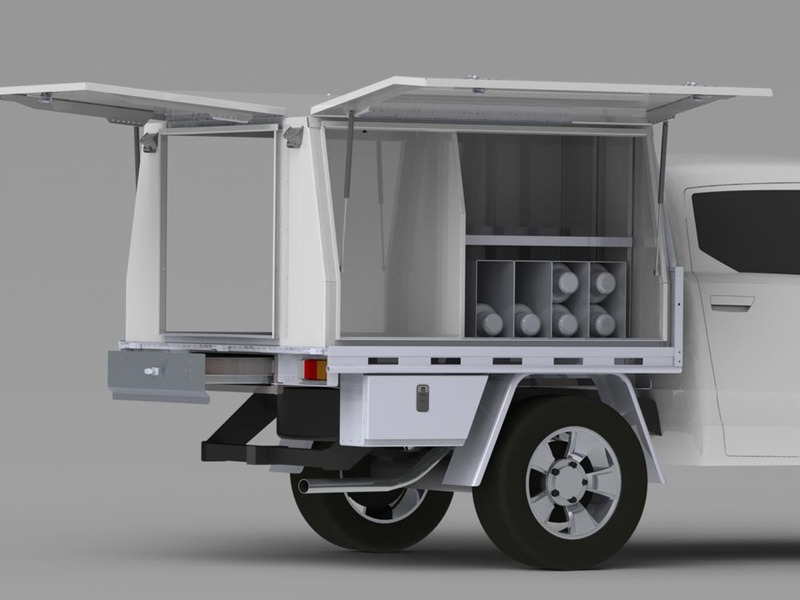 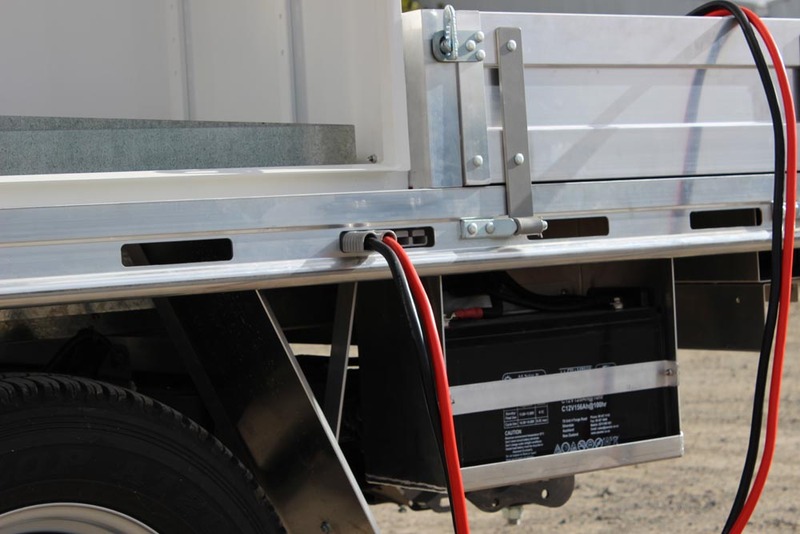 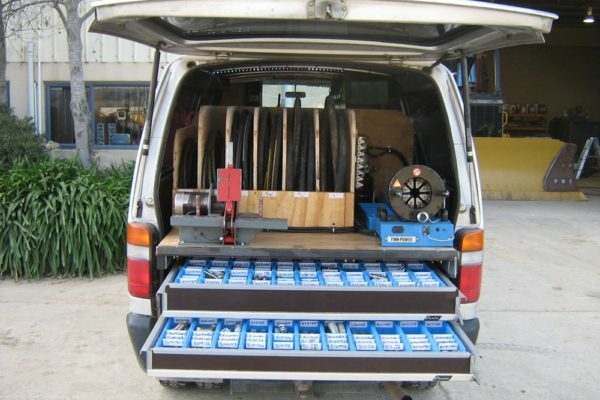 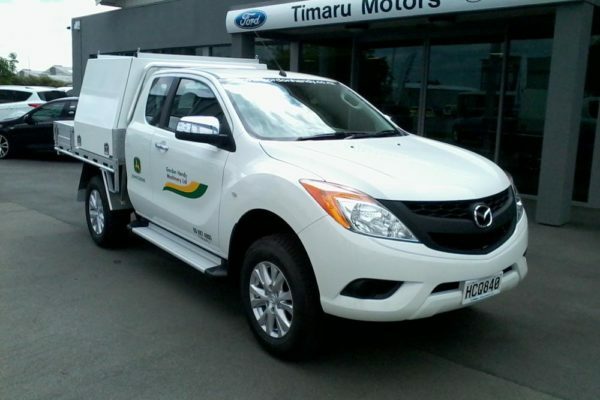 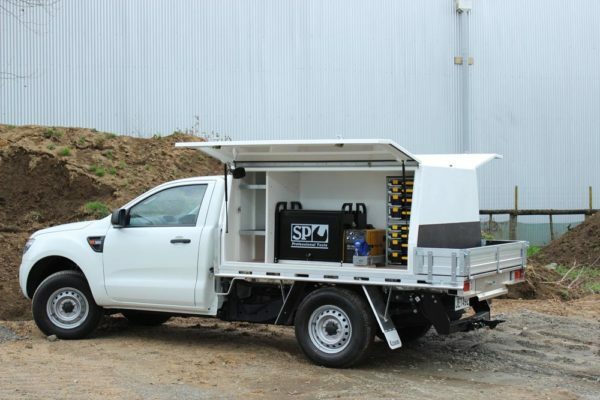 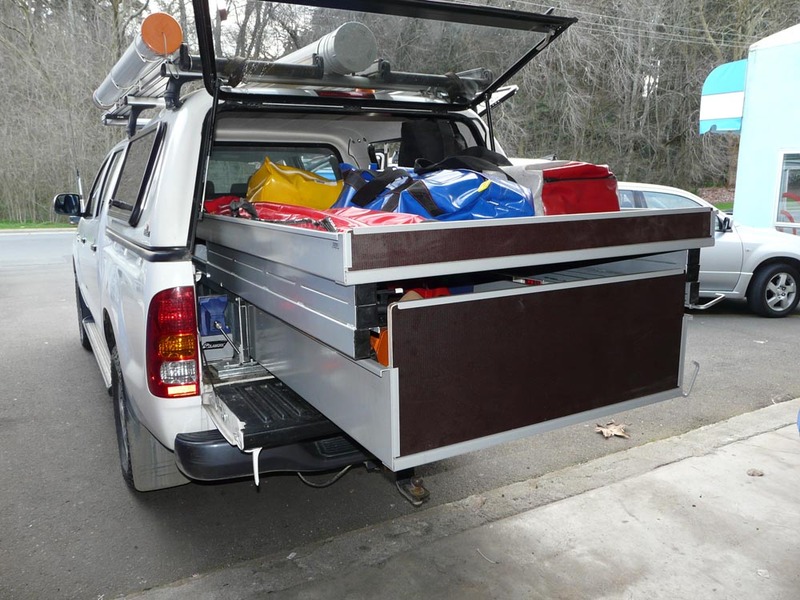 Another solution Camco has designed is a specialist battery delivery ute fitout. This required a full cover over 2 layers of batteries strong enough to prevent any chance of a battery becoming a ‘missile’ in the event of an accident, whilst still providing access to the batteries. 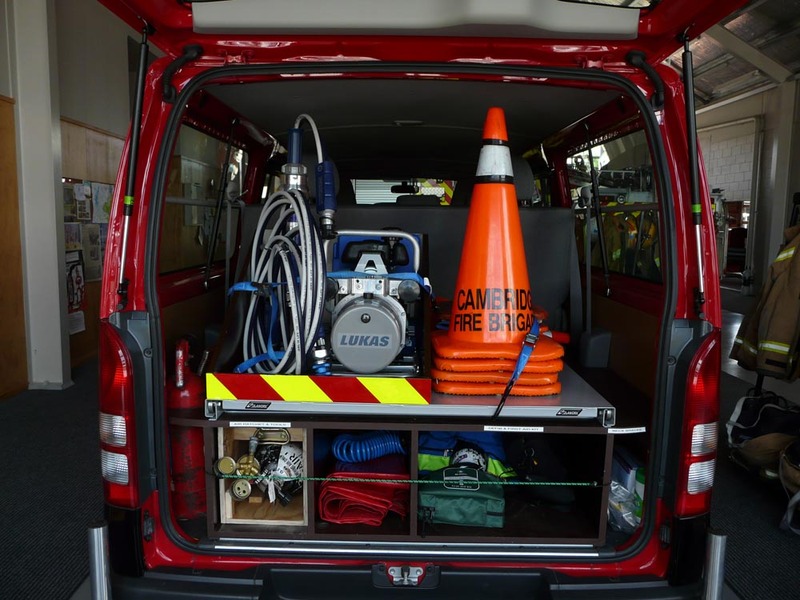 No other industry occupation could have greater need for efficient and organised vehicles than the emergency services. 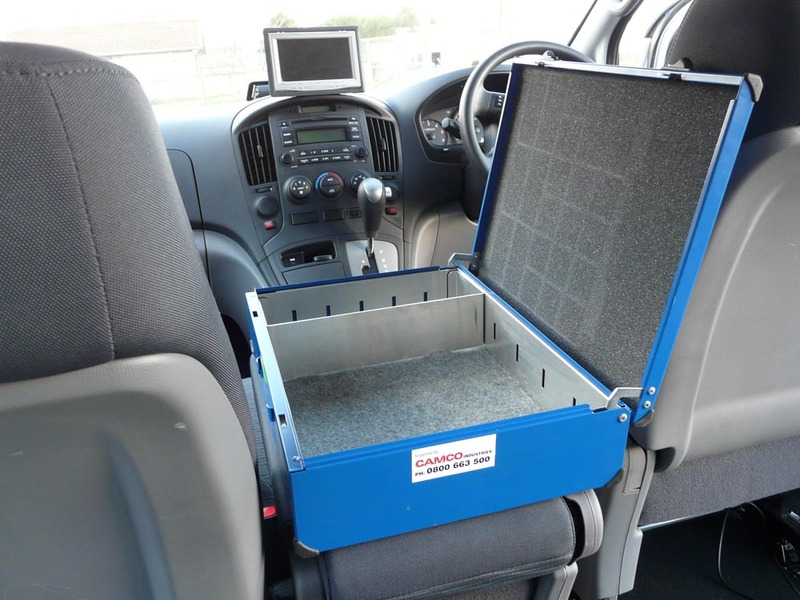 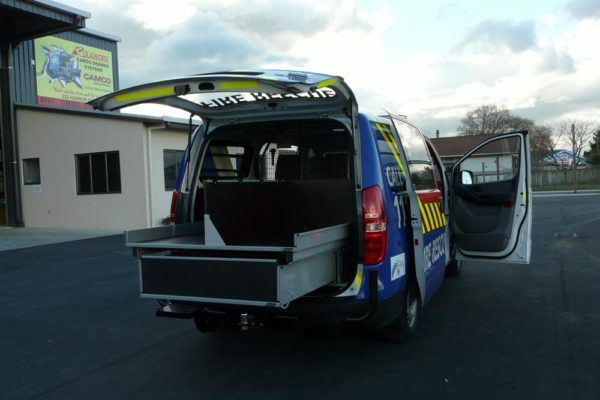 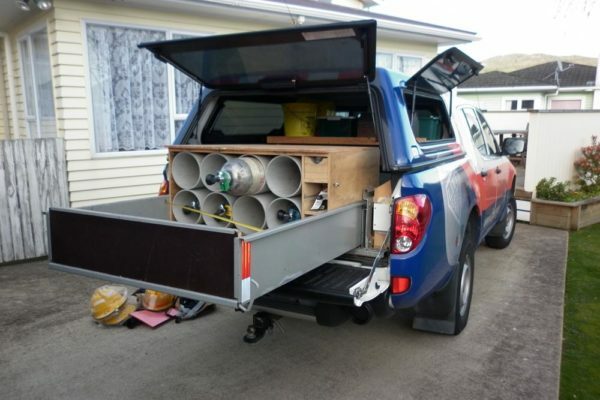 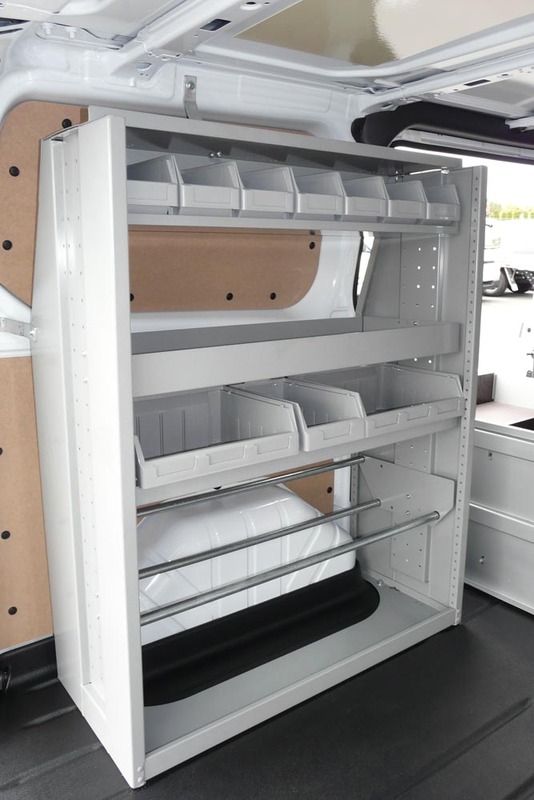 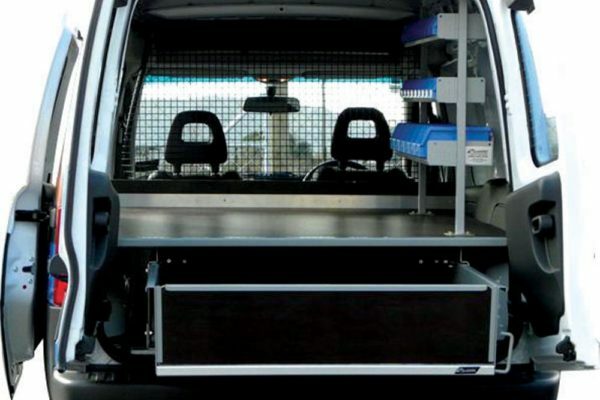 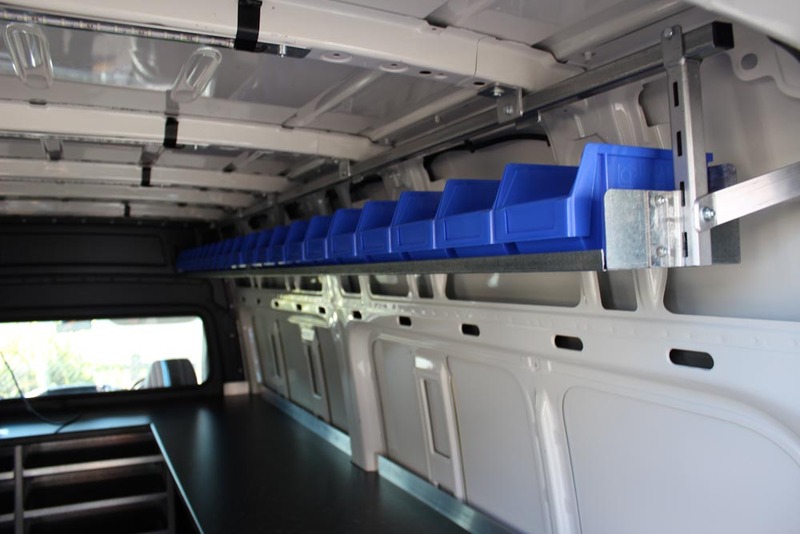 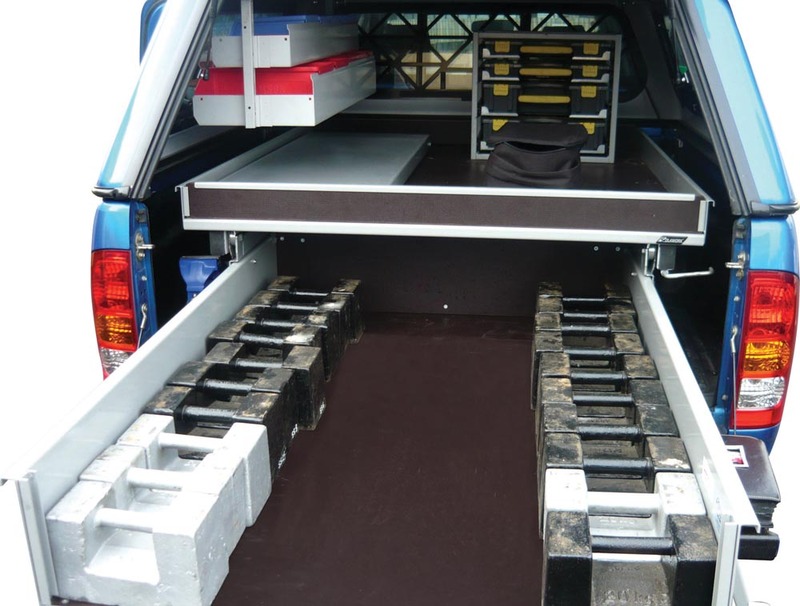 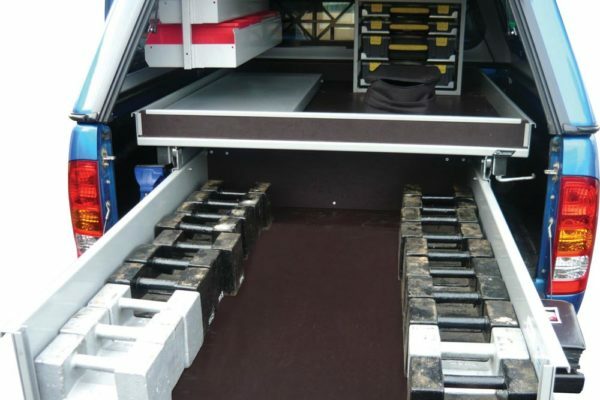 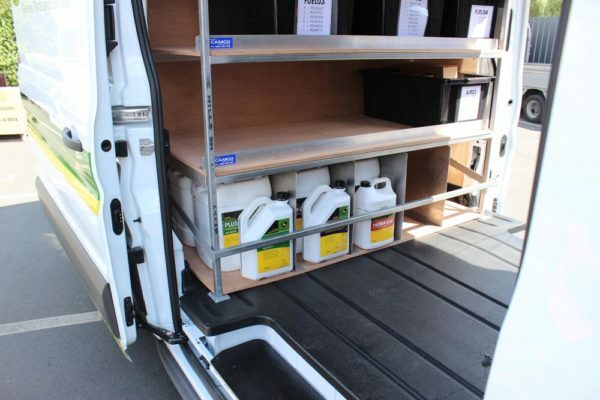 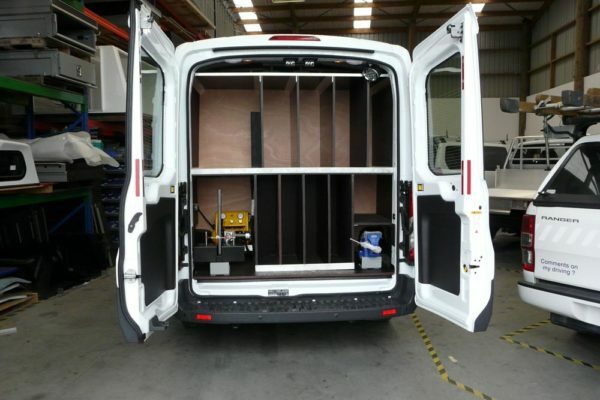 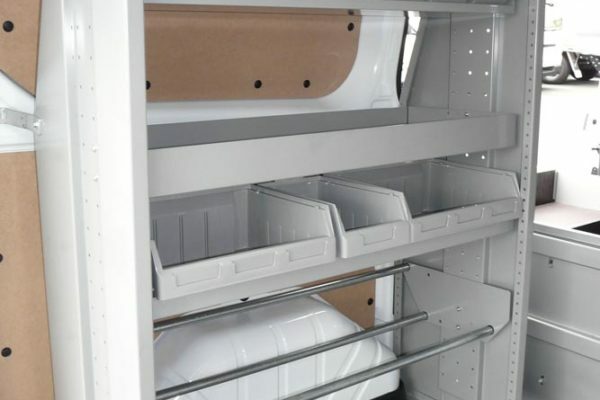 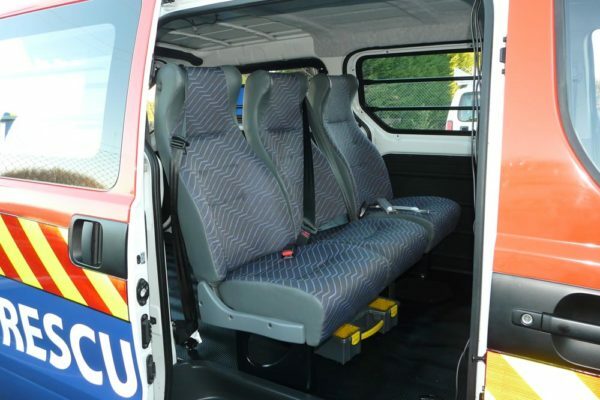 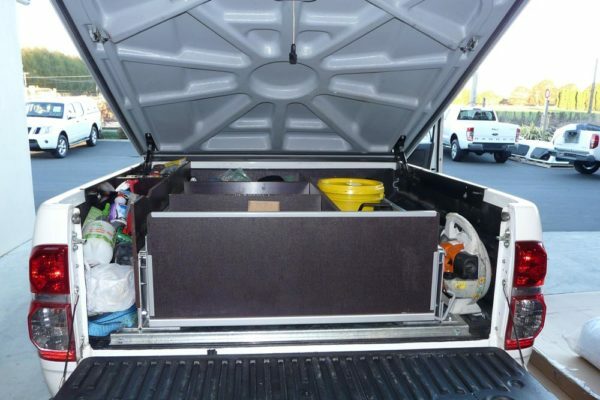 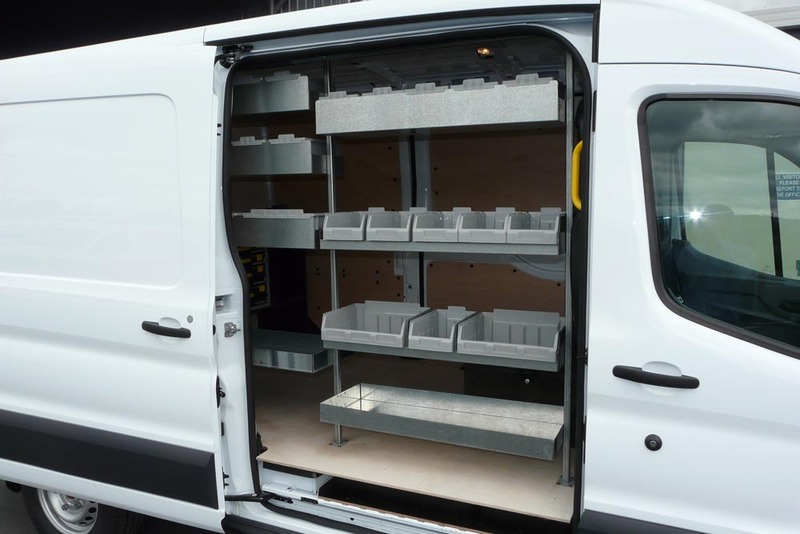 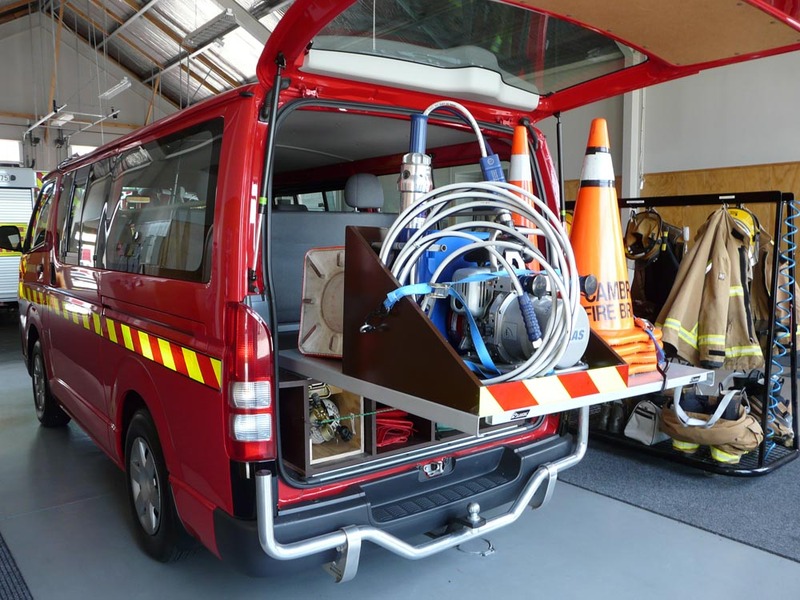 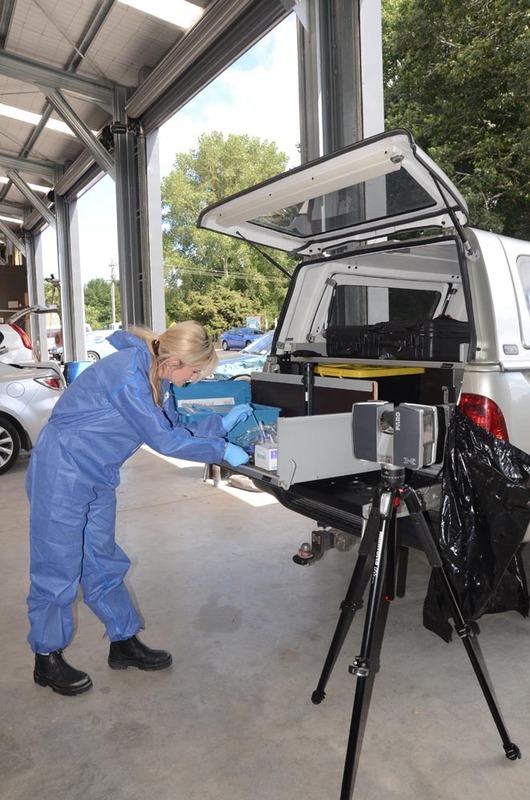 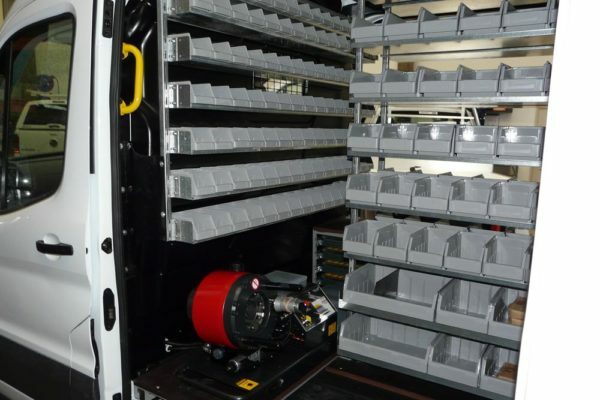 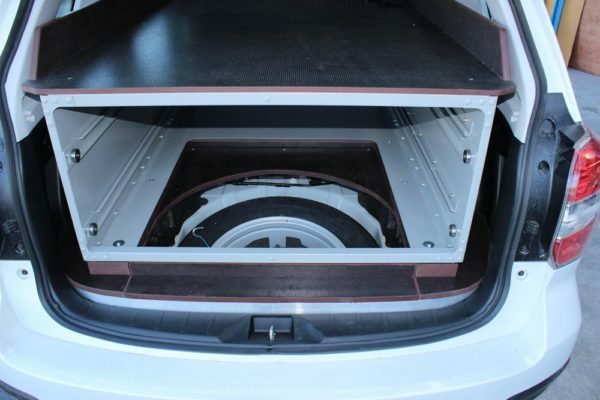 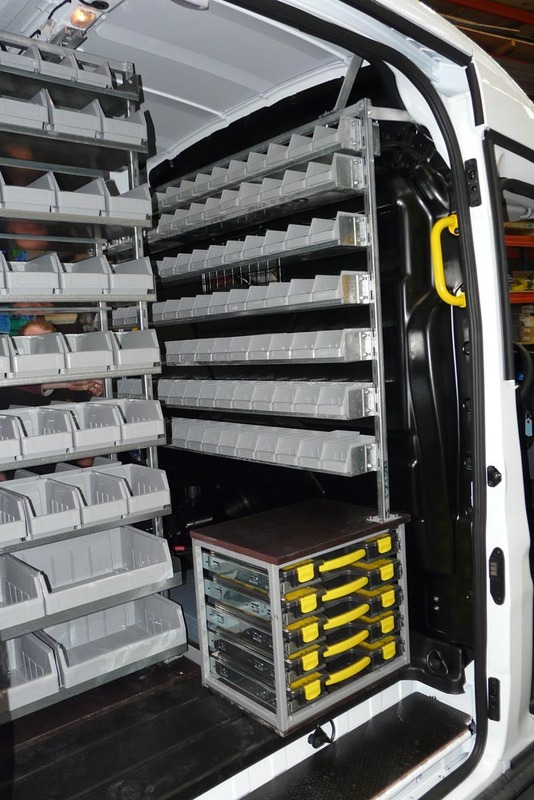 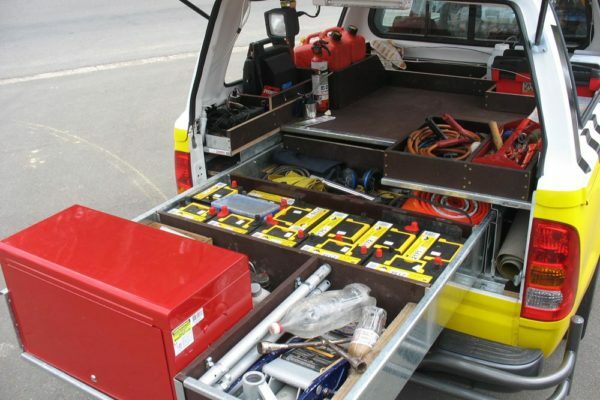 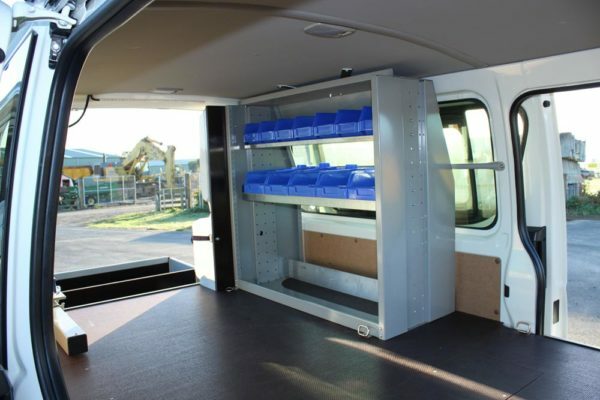 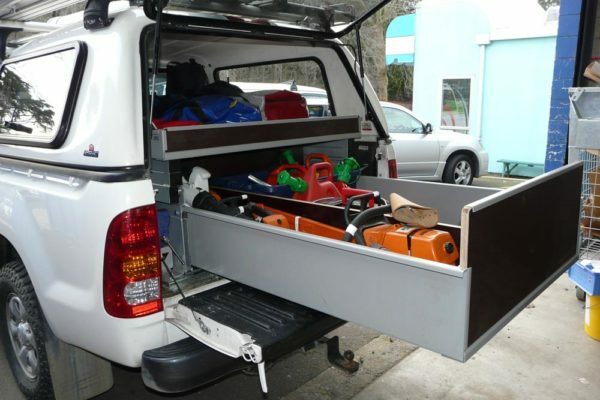 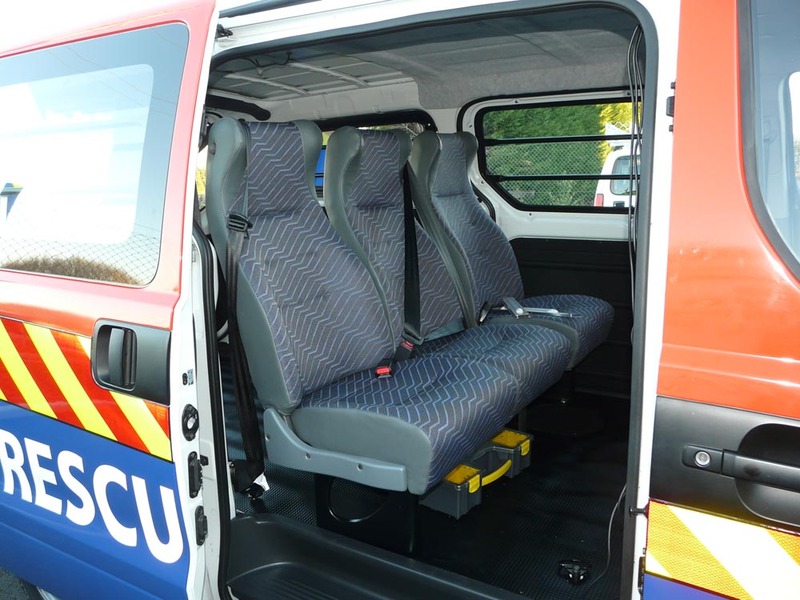 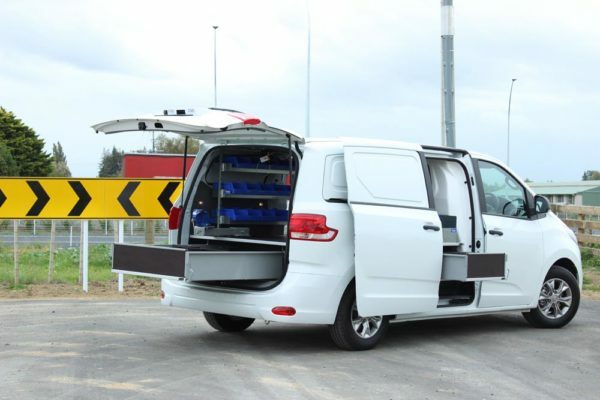 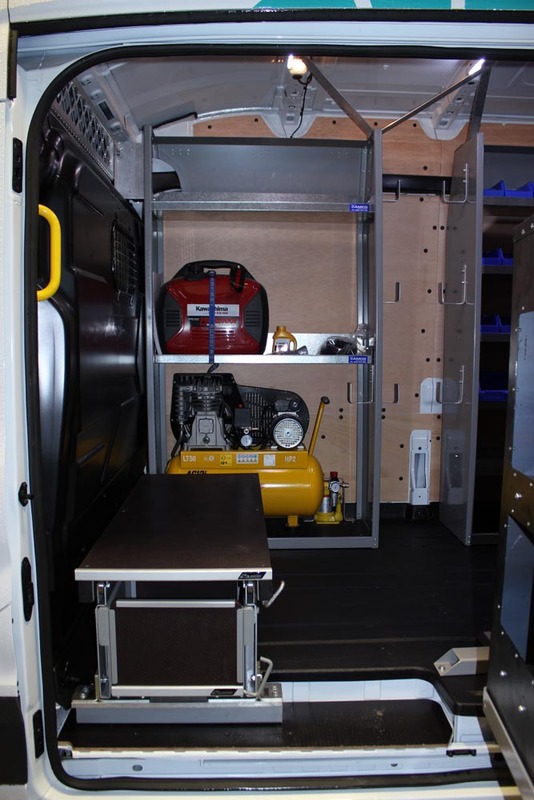 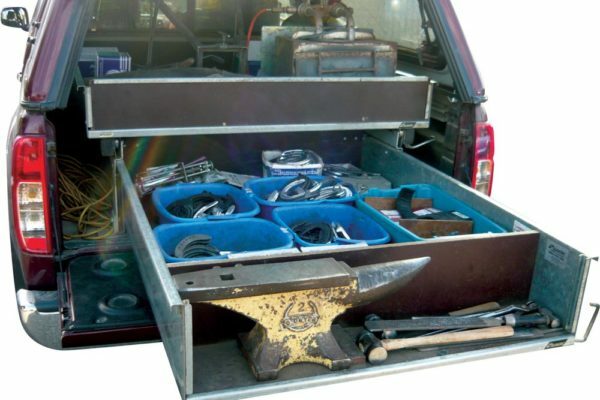 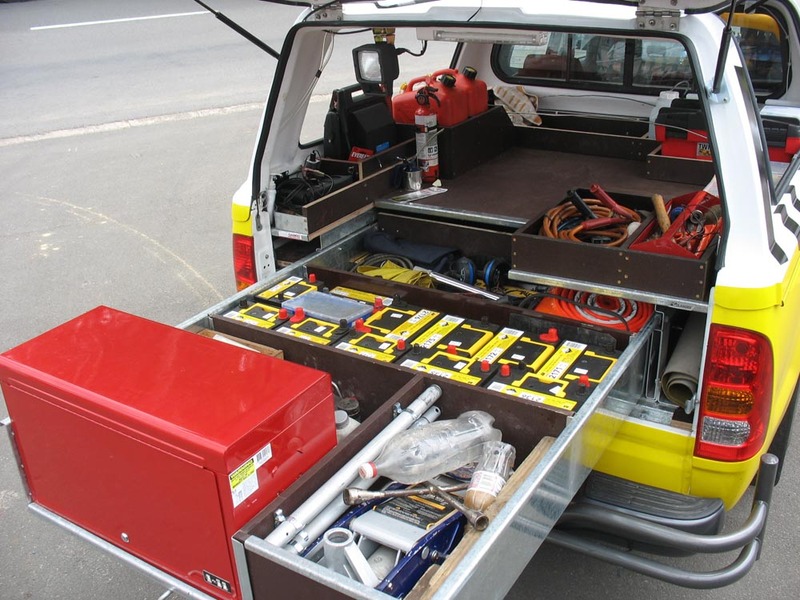 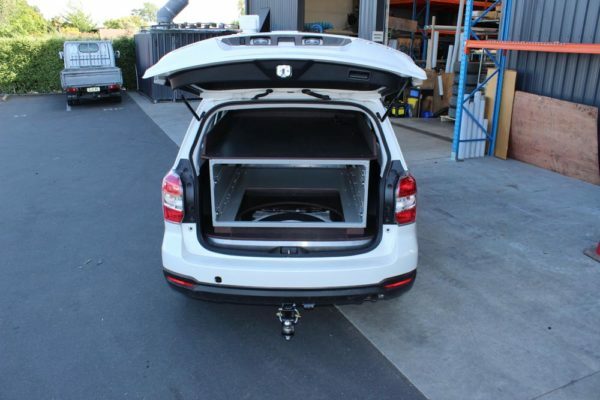 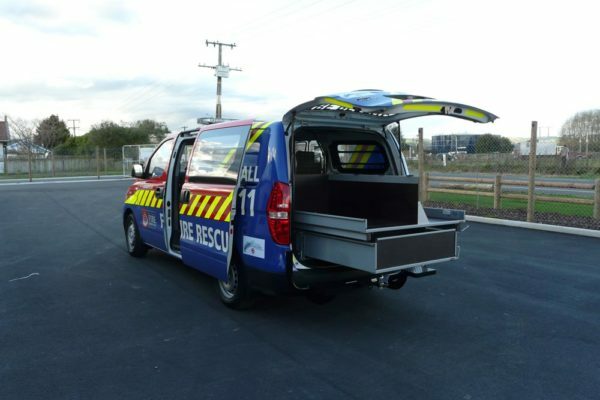 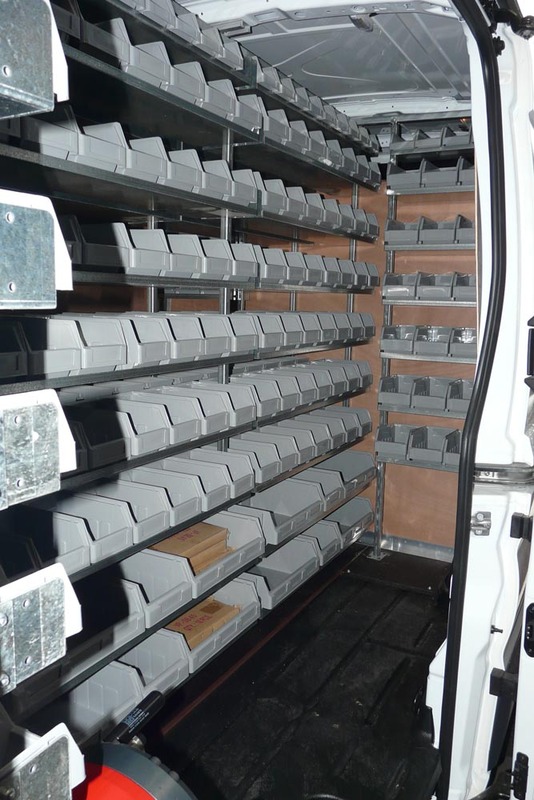 A highly organised and predictable vehicle fitout is a must to save time which can also save lives. 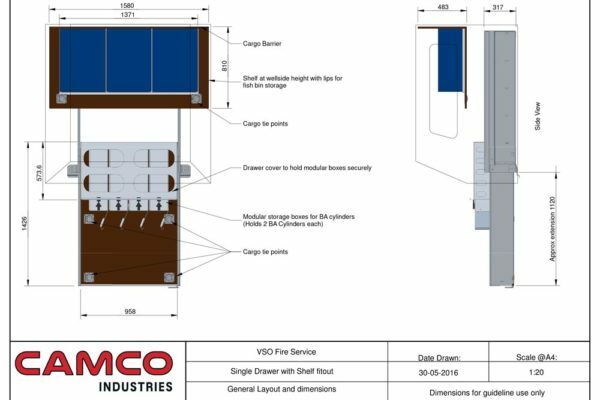 Camco has worked with emergency and search and rescue services to design the fitout they are confident with for their all-important work. 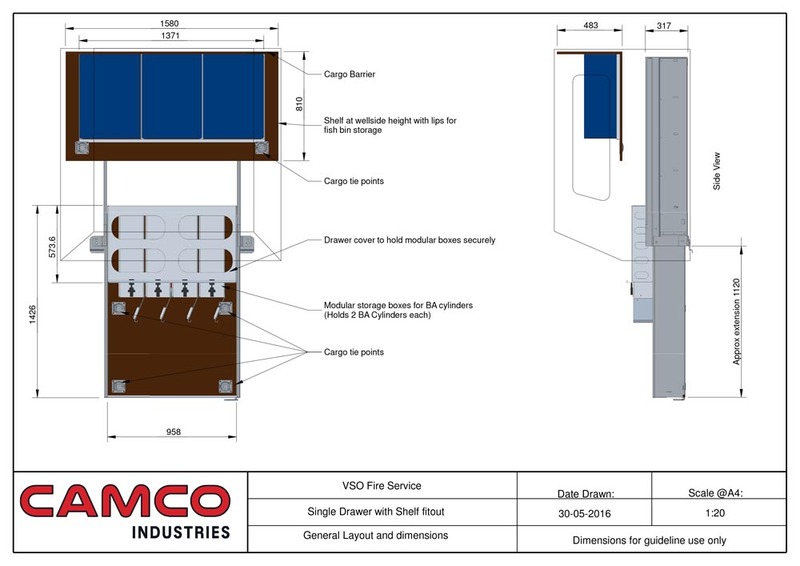 In particular, Camco has worked with Volunteer Service Officers to provide a safe and flexible fitout for the wide range of services they need to provide to their crews. 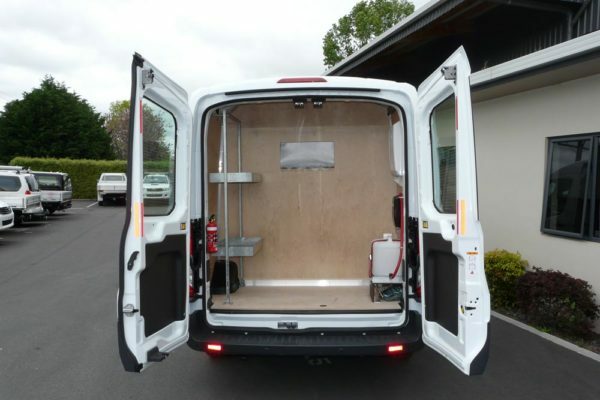 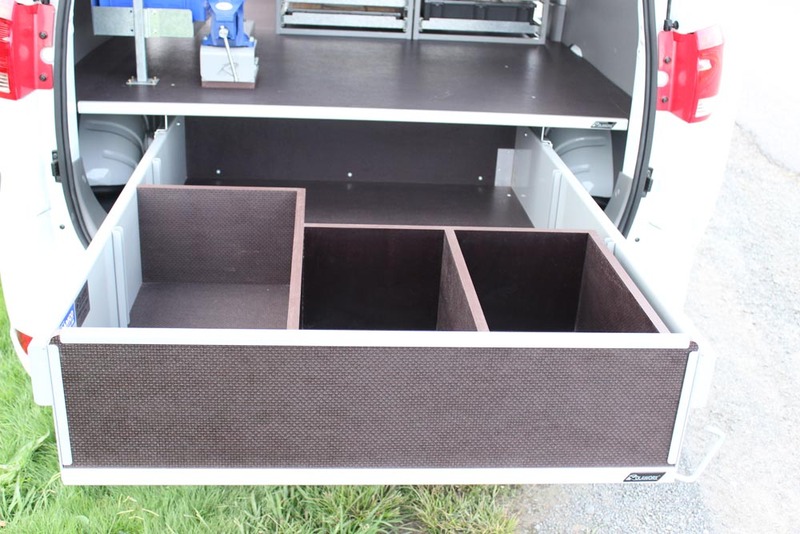 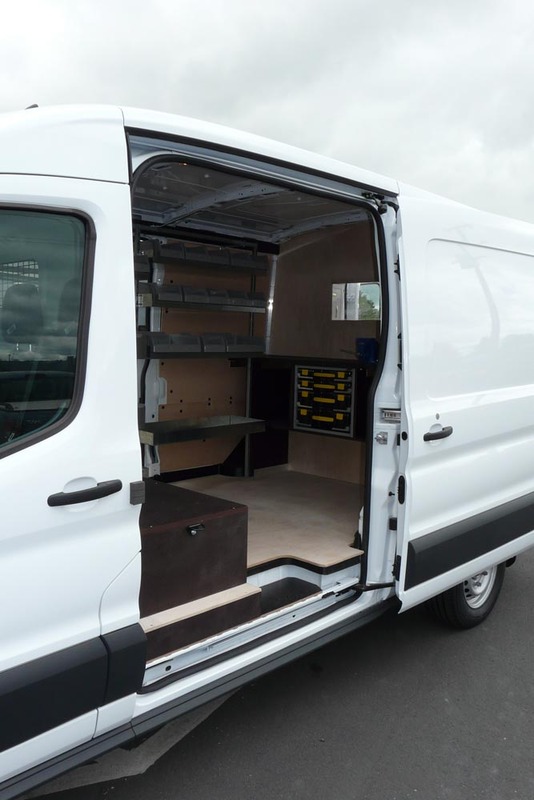 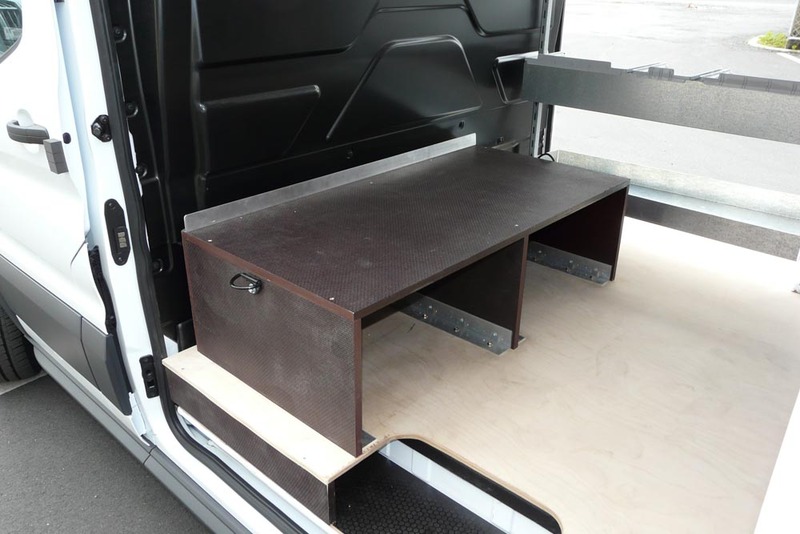 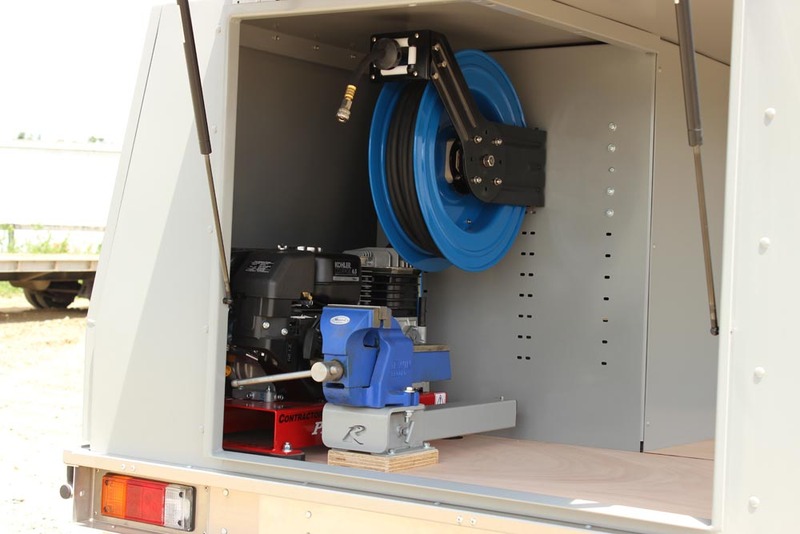 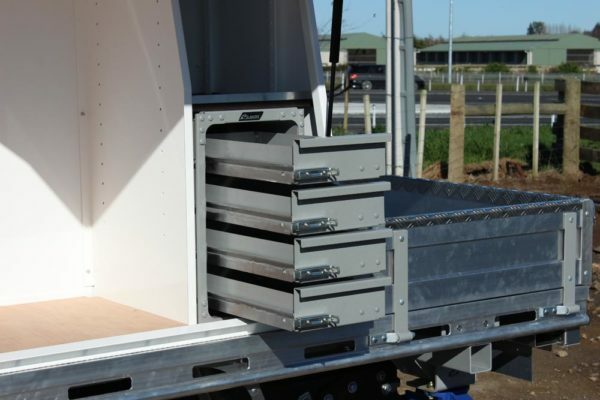 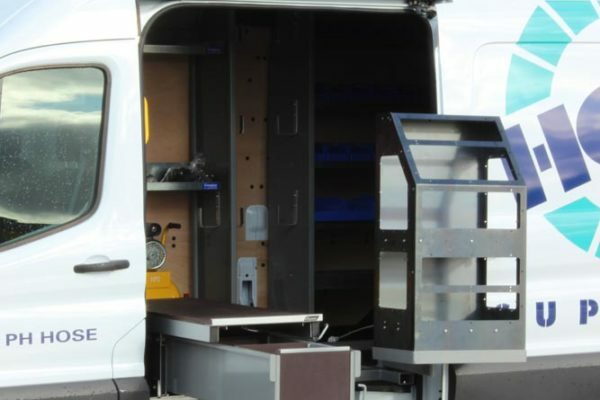 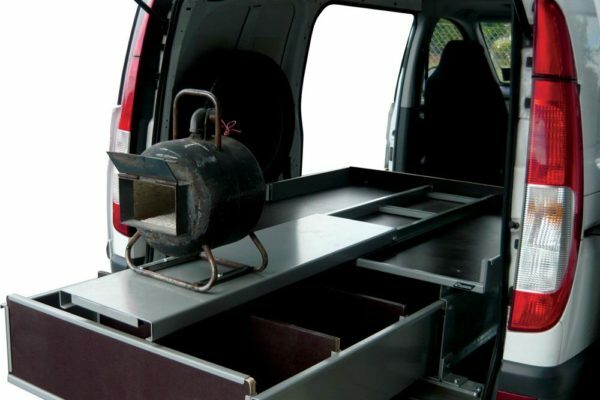 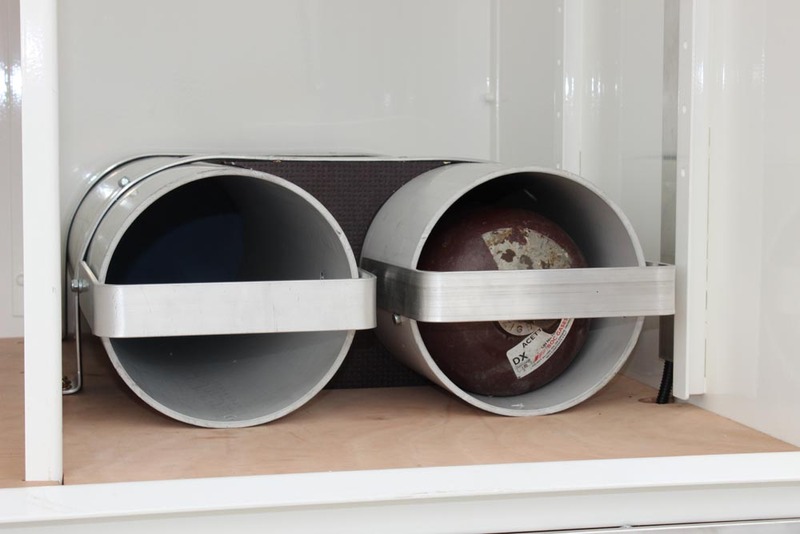 Situated in Cambridge in the heart of a major equine centre, naturally Camco has developed a fitout for farriers who have a specialist need in their vehicles for the safe transport of a mobile foundry. 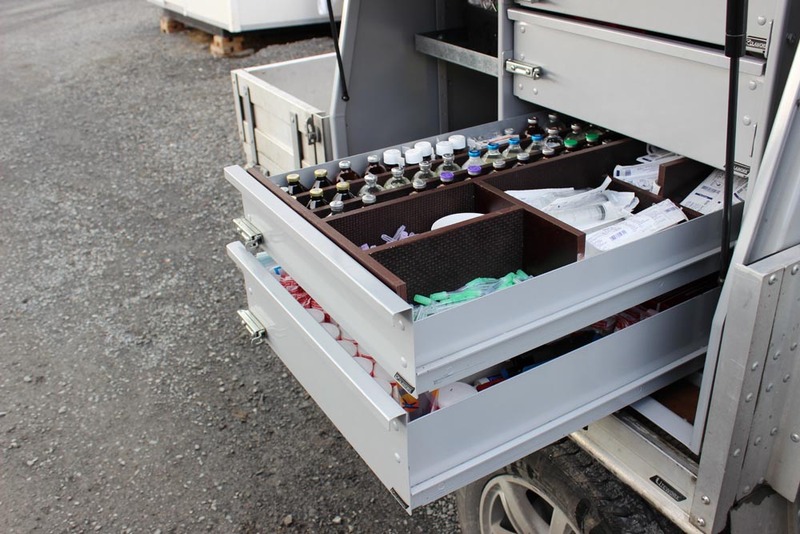 This enables farriers to attend their equine patient needs very affectively at their respective stud farms. 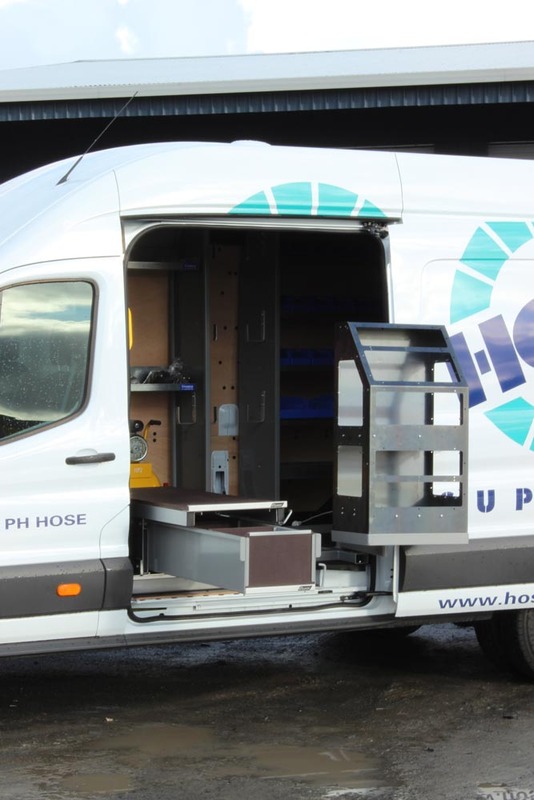 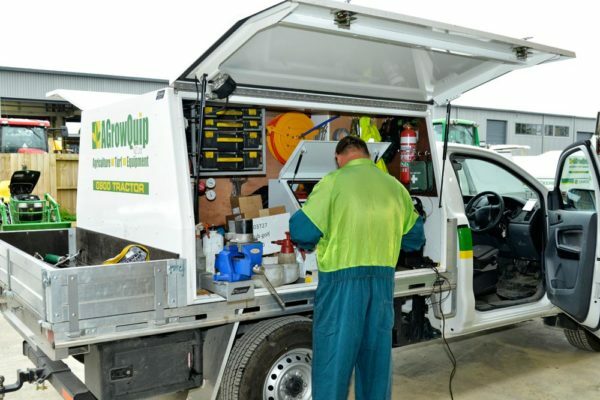 Hydraulics technicians need their specialist requirements fulfilled in order to achieve maximum efficiency when attending to their customers’ needs. 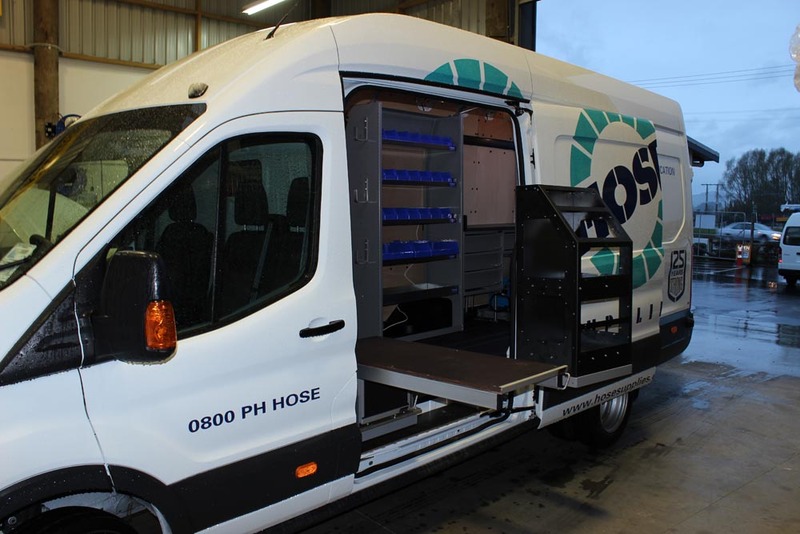 The large volume of small parts along with the large combined weight these technicians require calls for a special fitout so that all available sizes of fittings are at their fingertips when needed in addition to the hosing and tooling that is important. 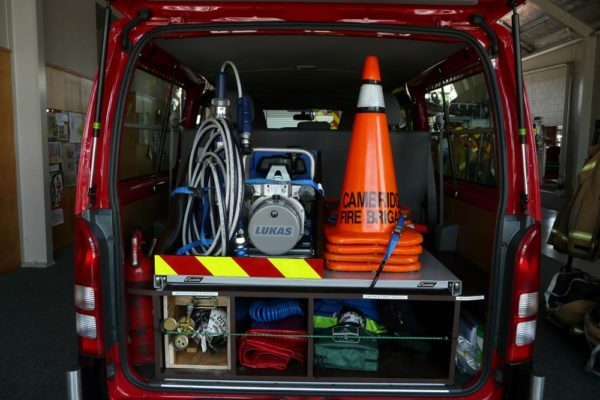 Camco can help to provide a solutions for these needs to increase efficiency and make the job safer and easier. 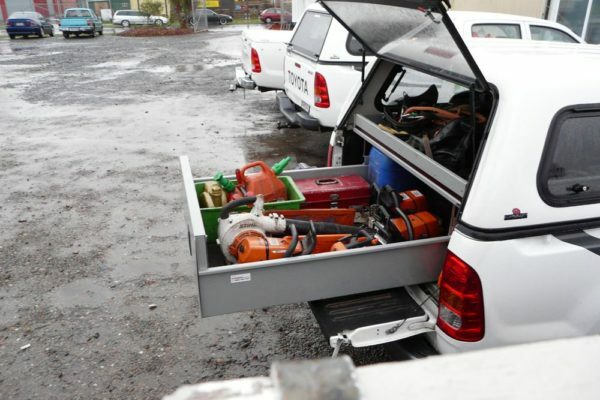 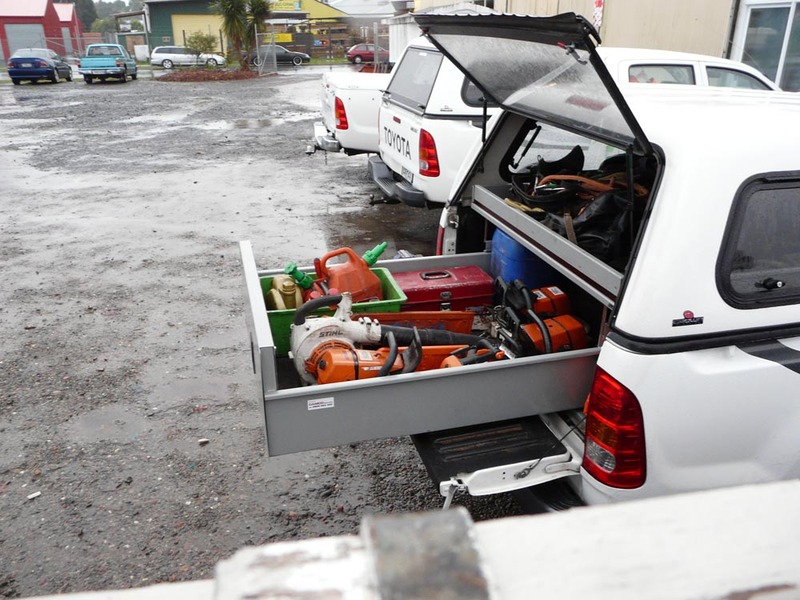 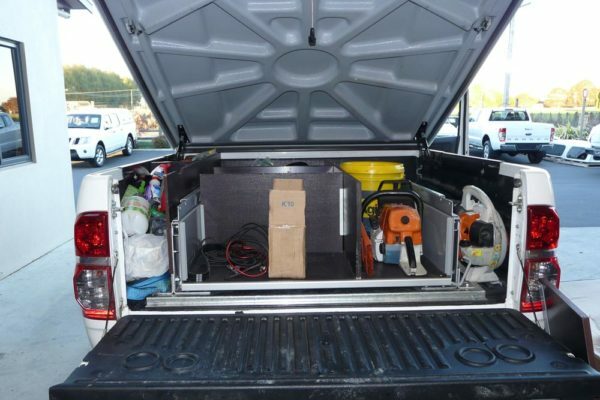 Forestry gangs and urban arborists alike need a secure place to keep their chainsaws and gear. 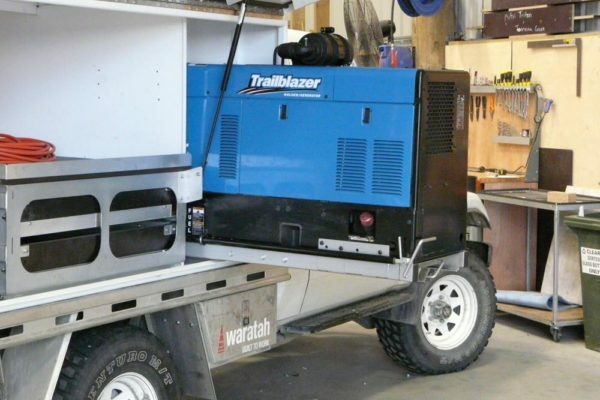 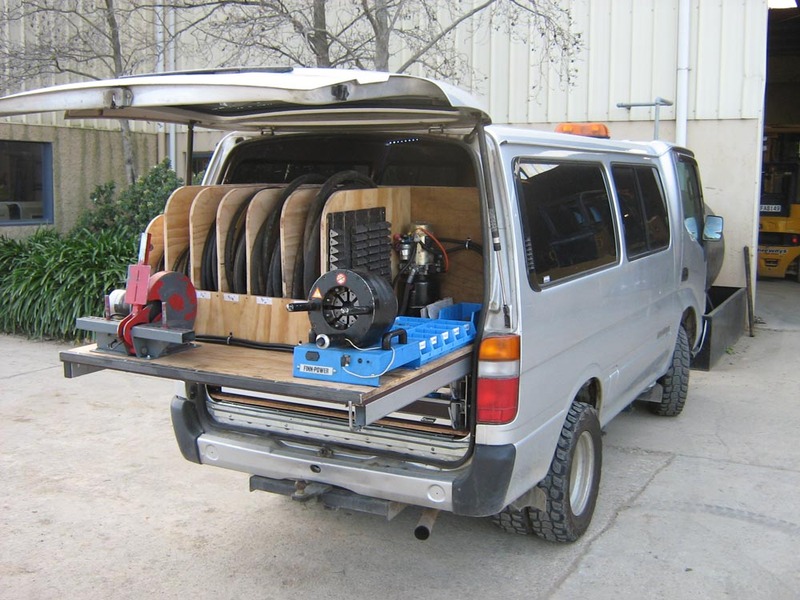 In addition, we have found they really love to have a Rolaworx Slide-a-vice mounted somewhere handy on their vehicle to help with chainsaw sharpening. The mechanical servicing sector make up one of the largest customer groups for Camco. Mechanics require a fitout that can take the harsh treatment provided in the industry, whilst keeping weight to a minimum without compromising quality. 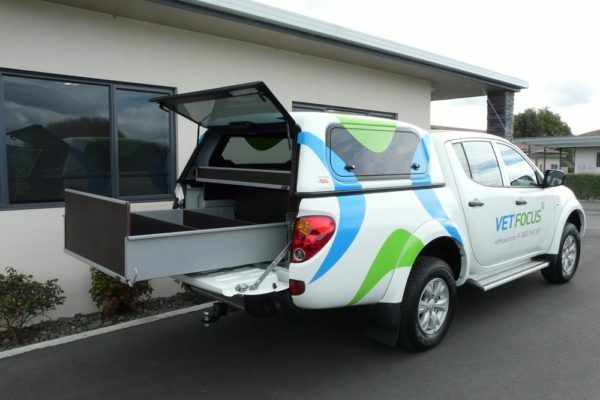 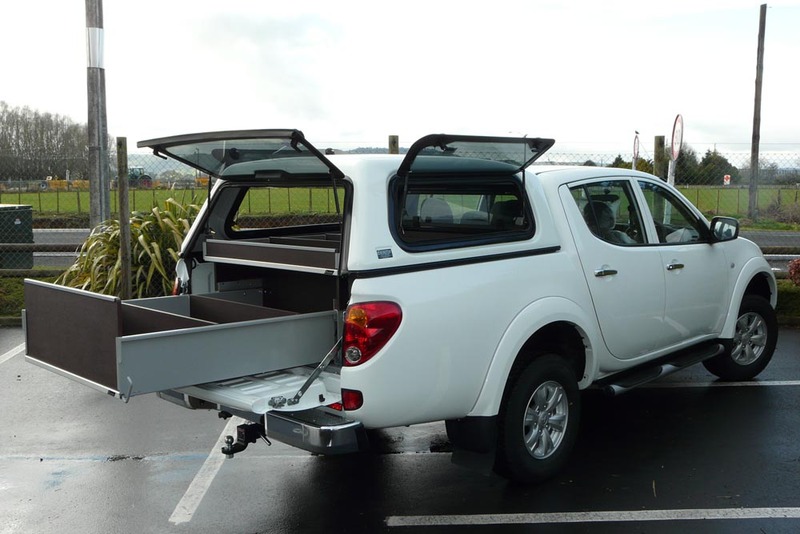 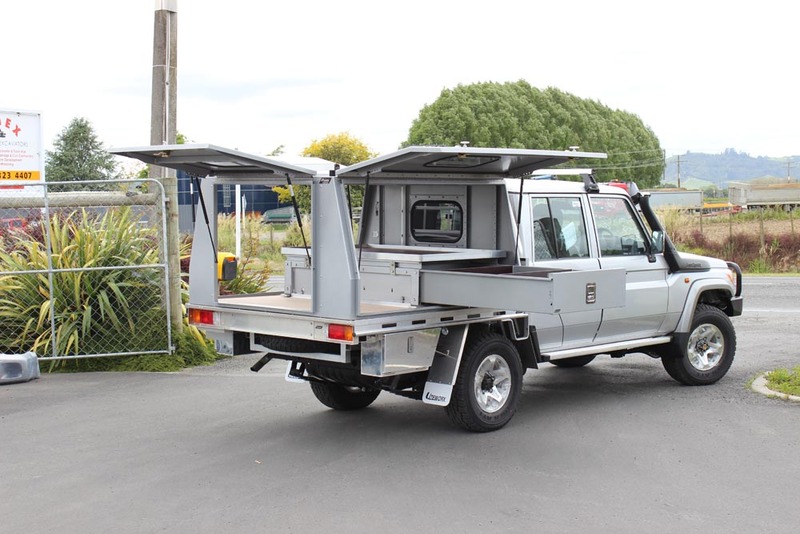 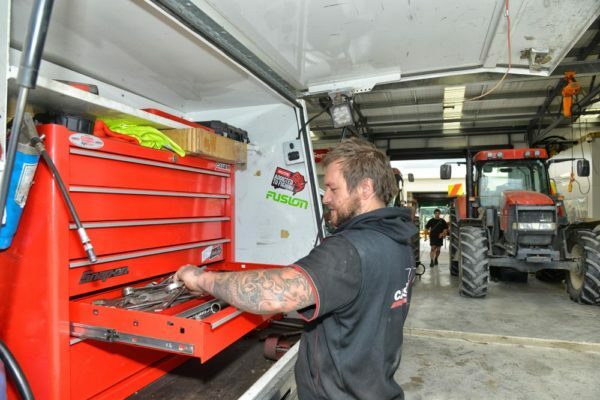 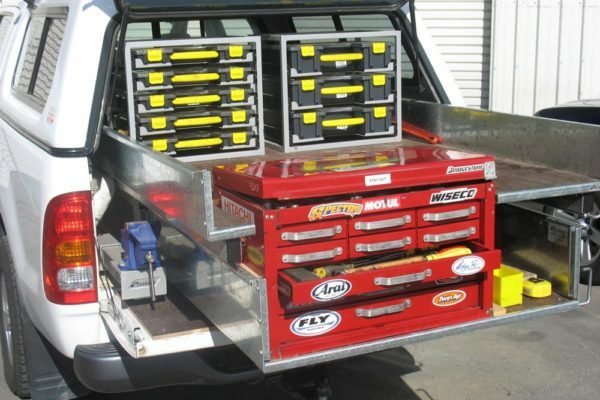 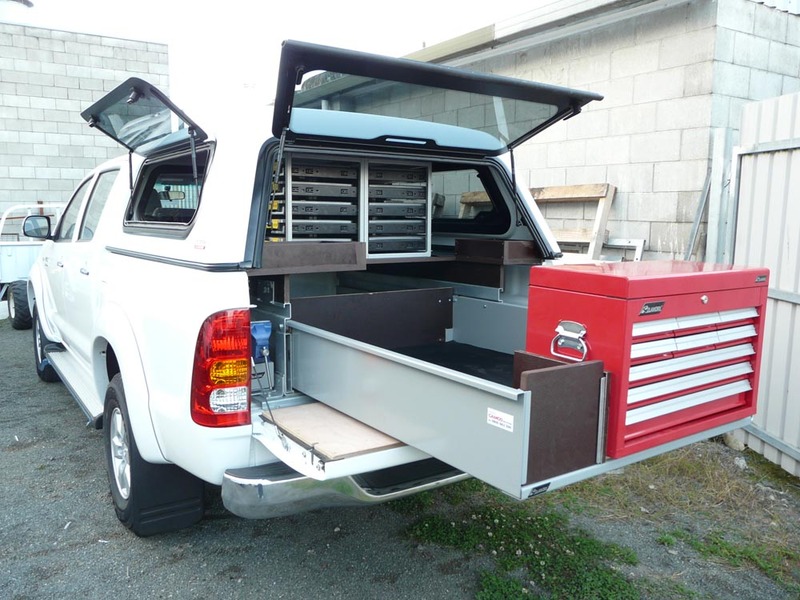 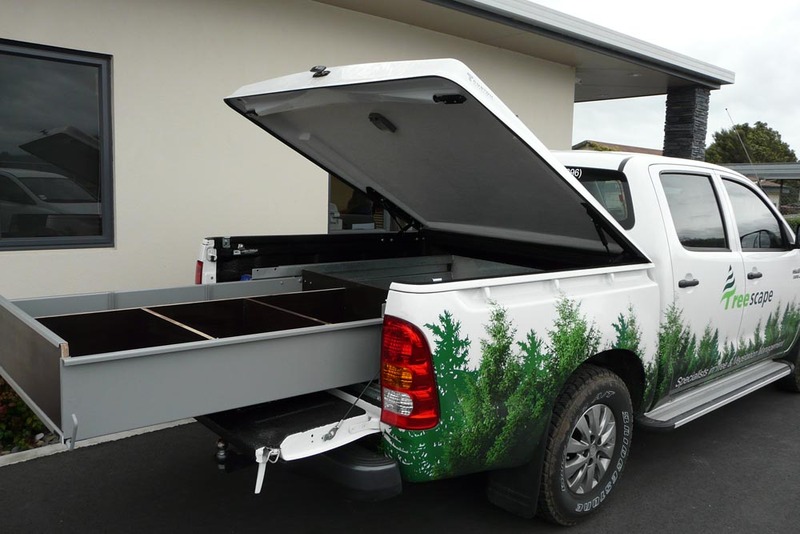 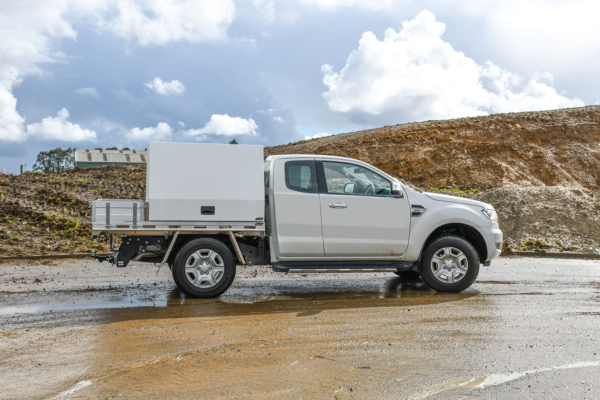 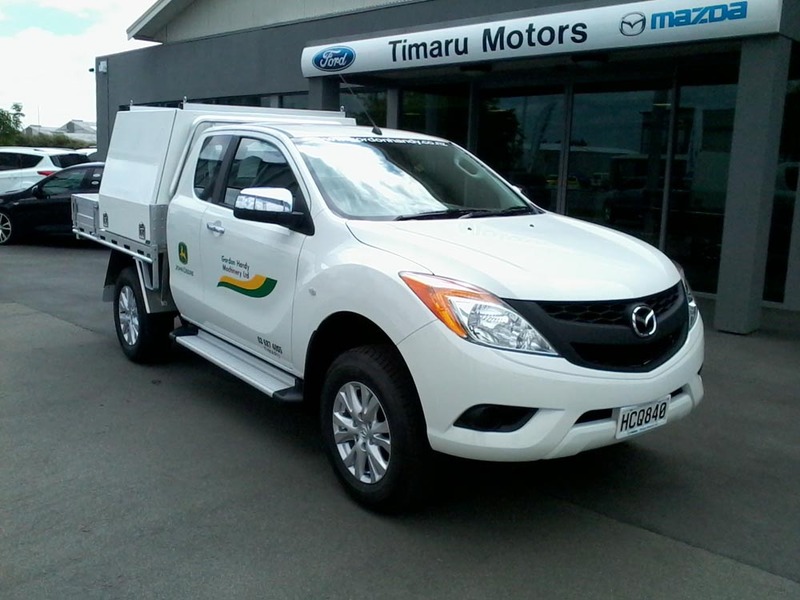 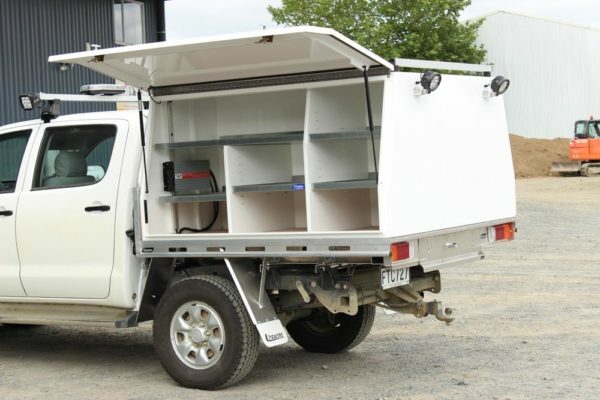 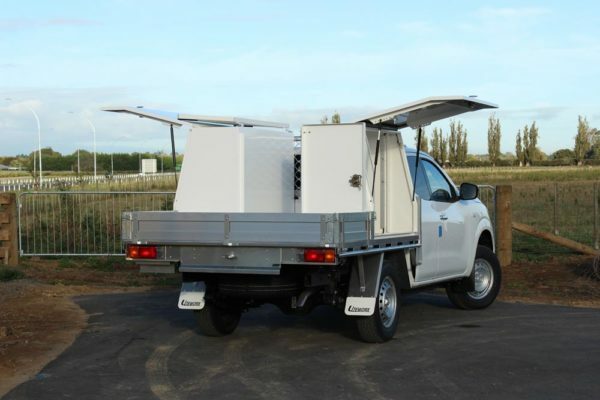 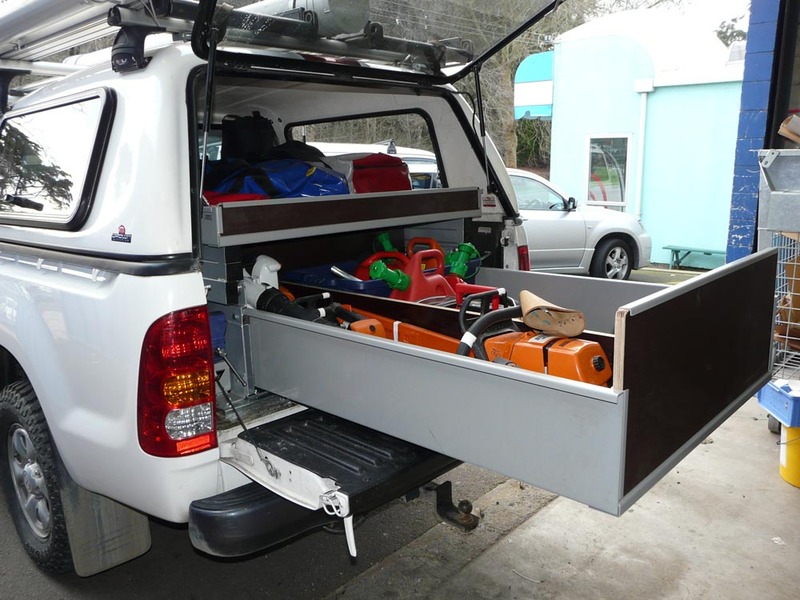 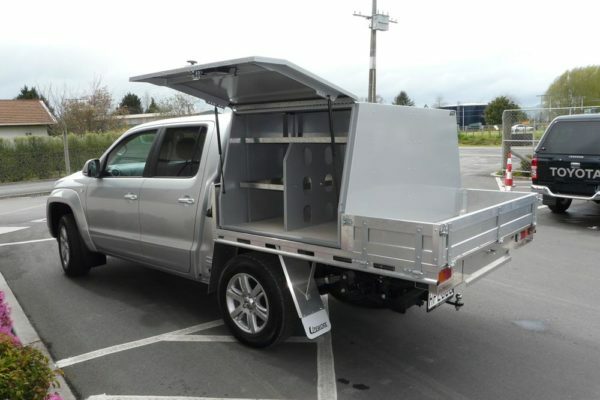 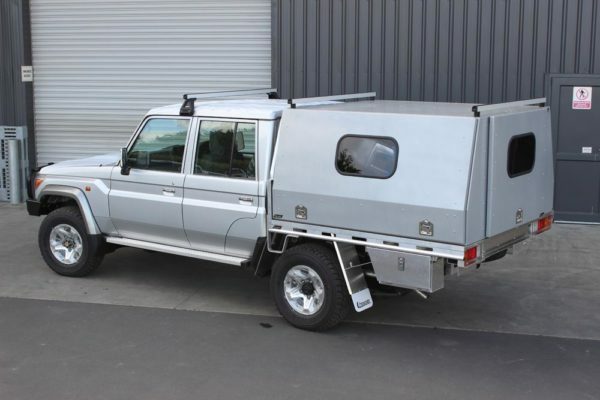 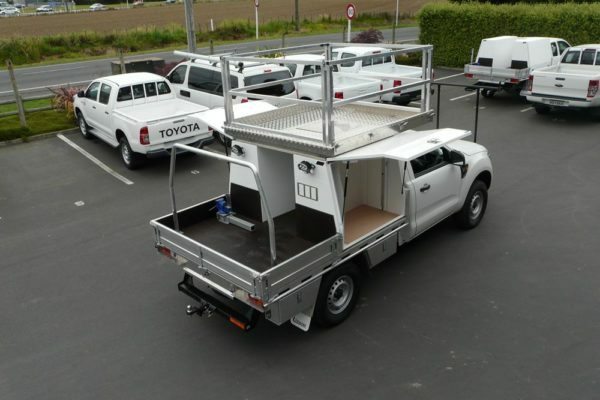 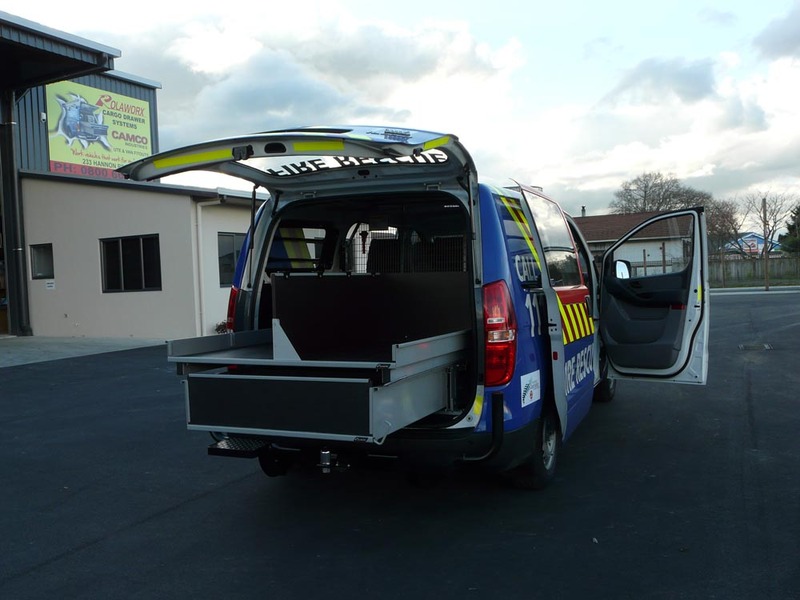 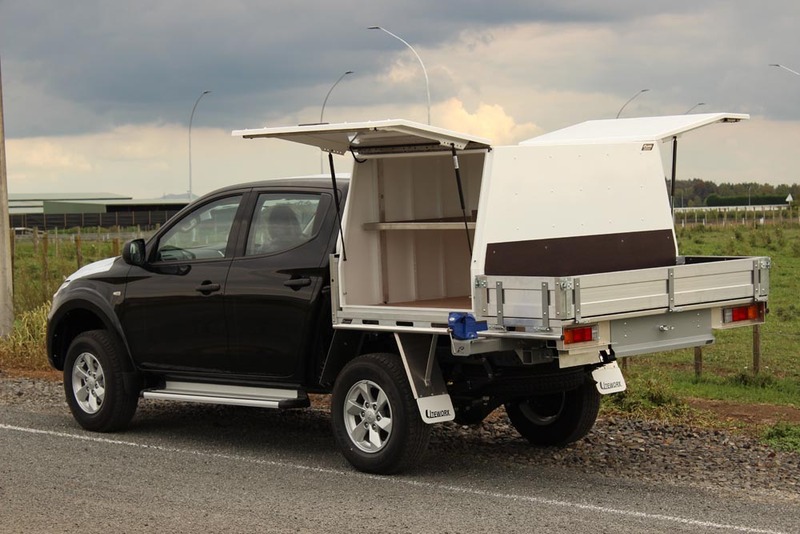 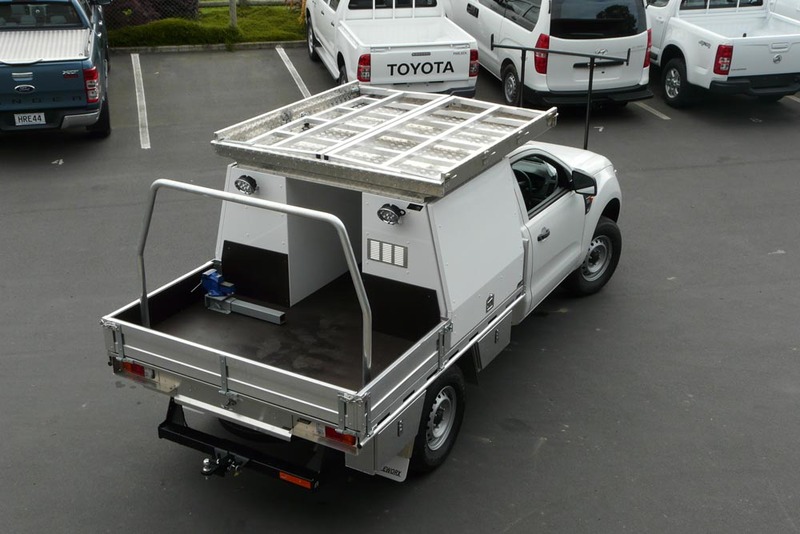 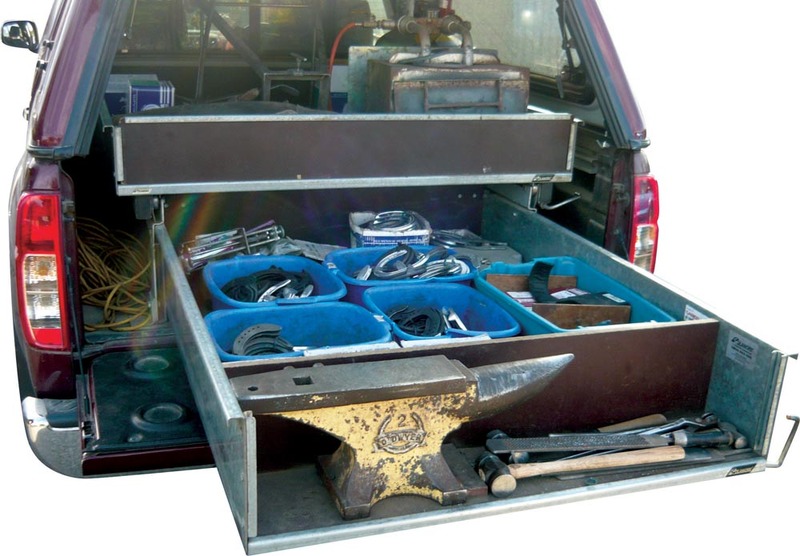 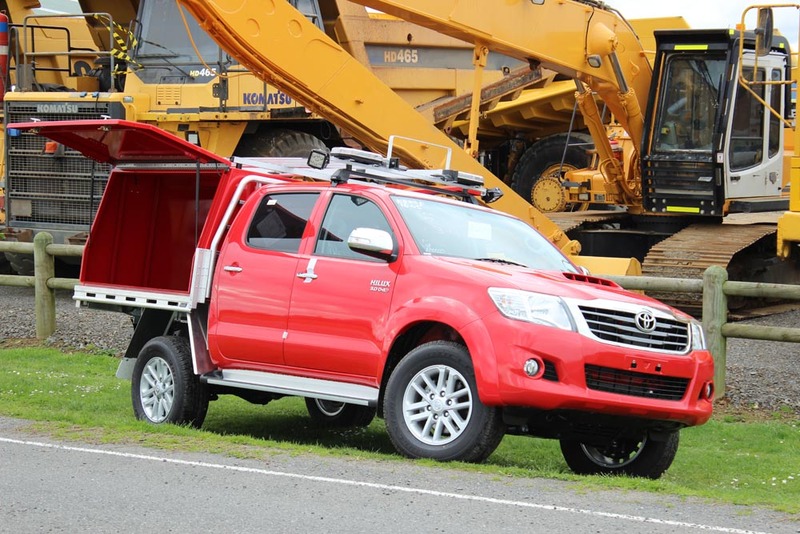 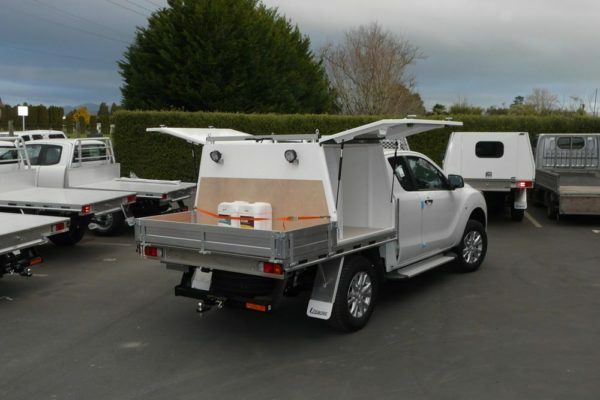 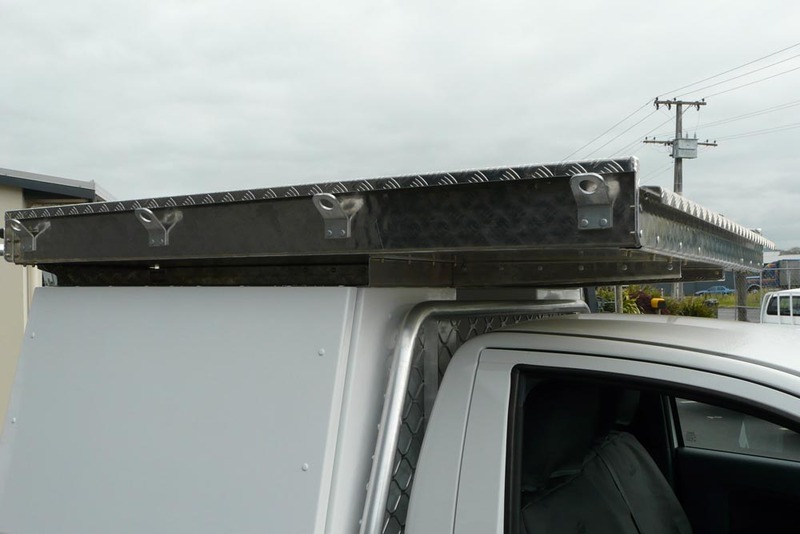 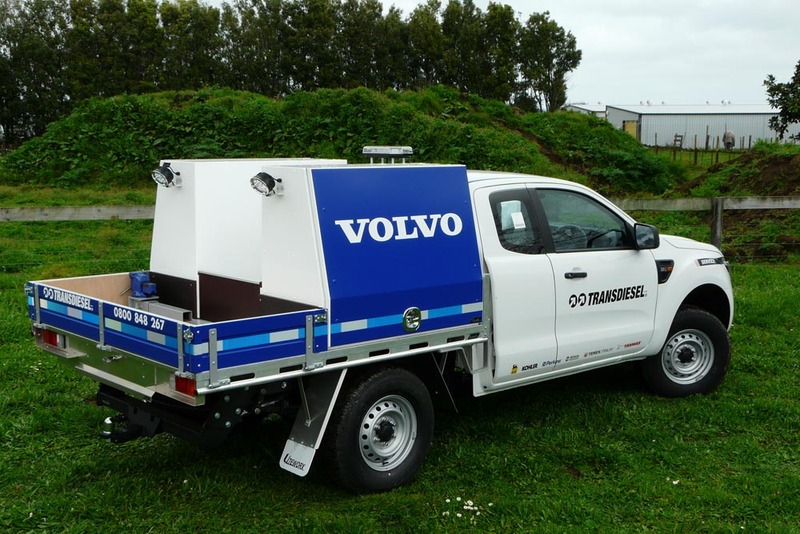 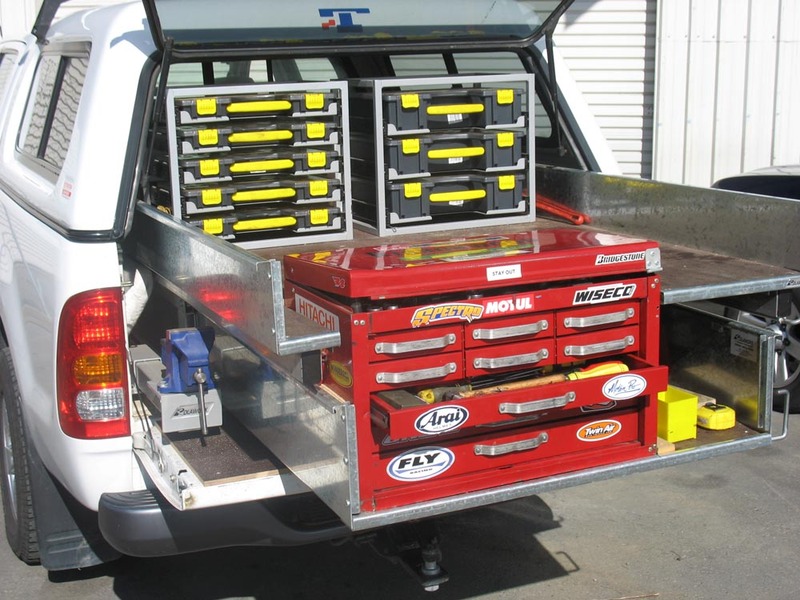 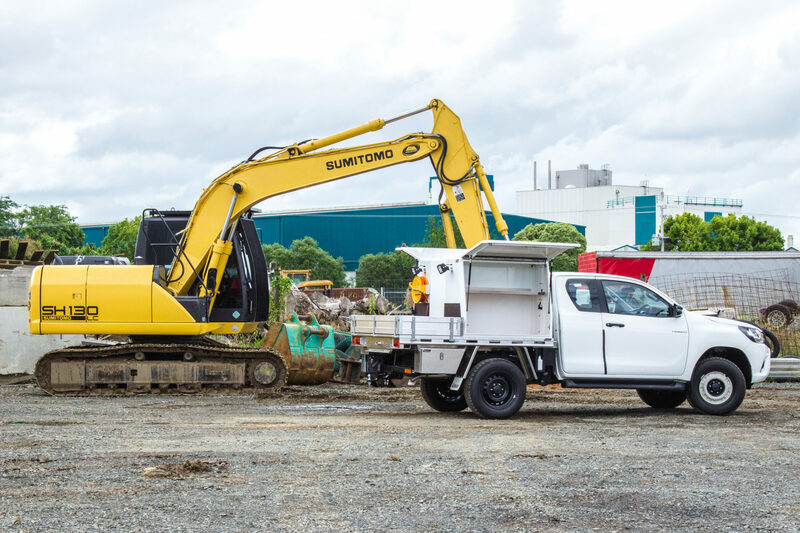 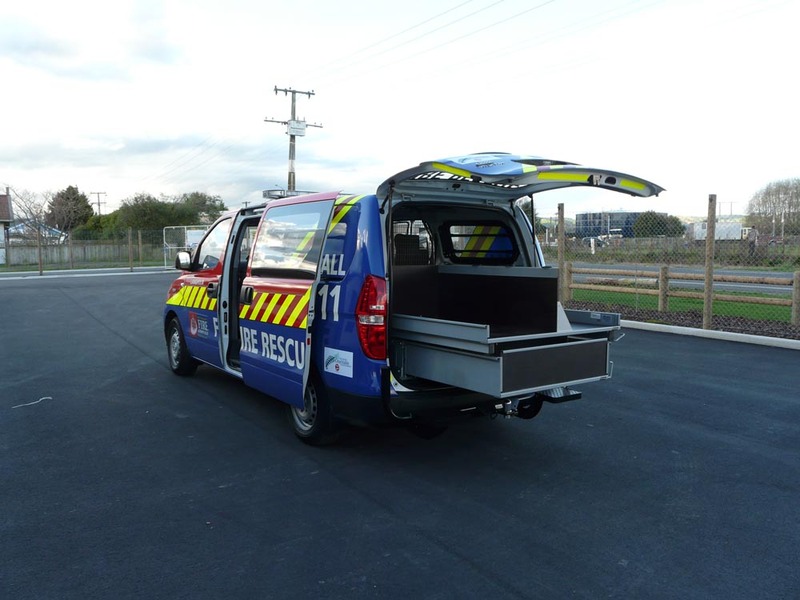 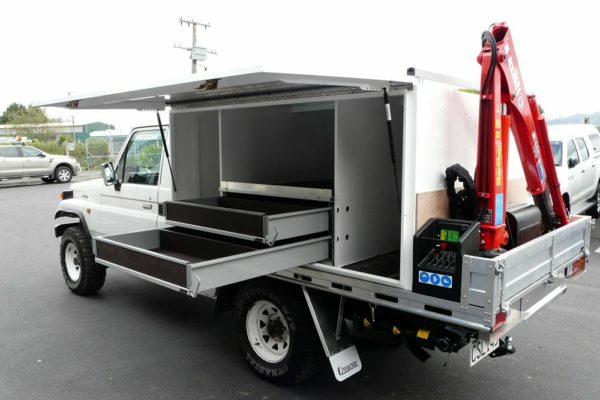 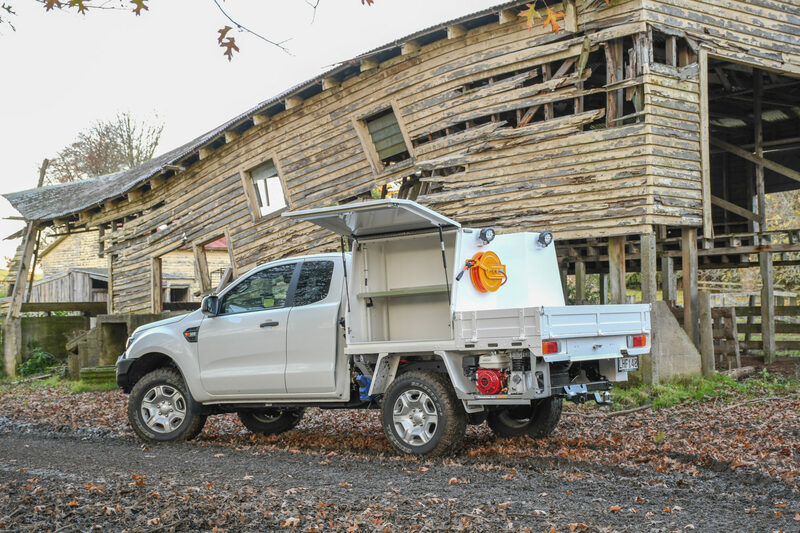 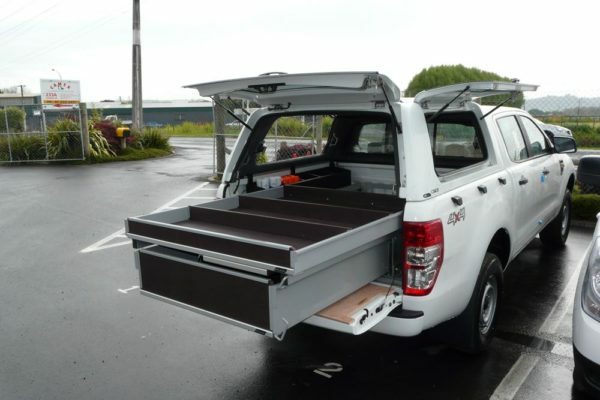 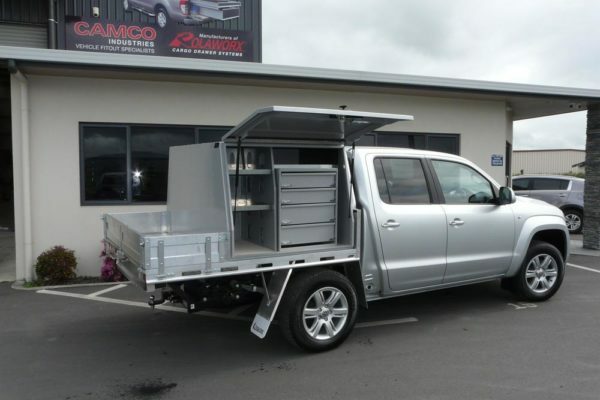 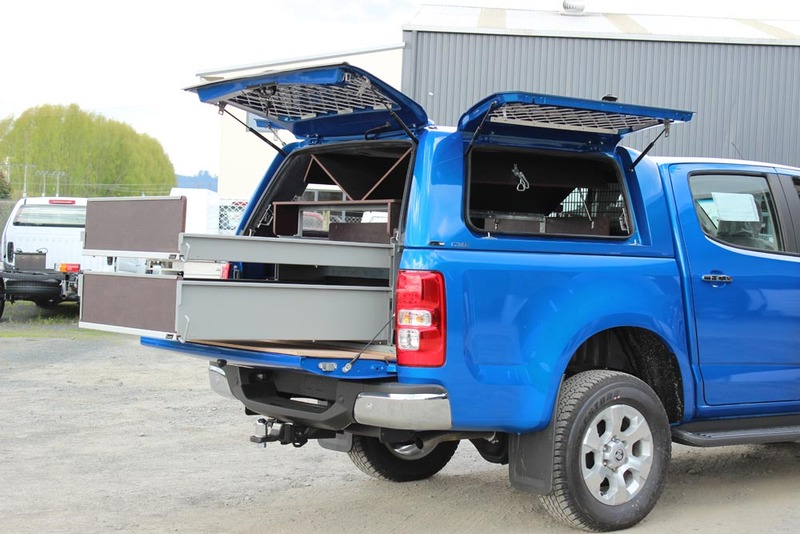 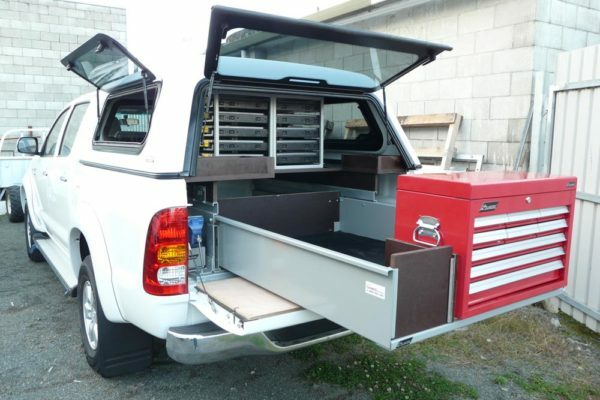 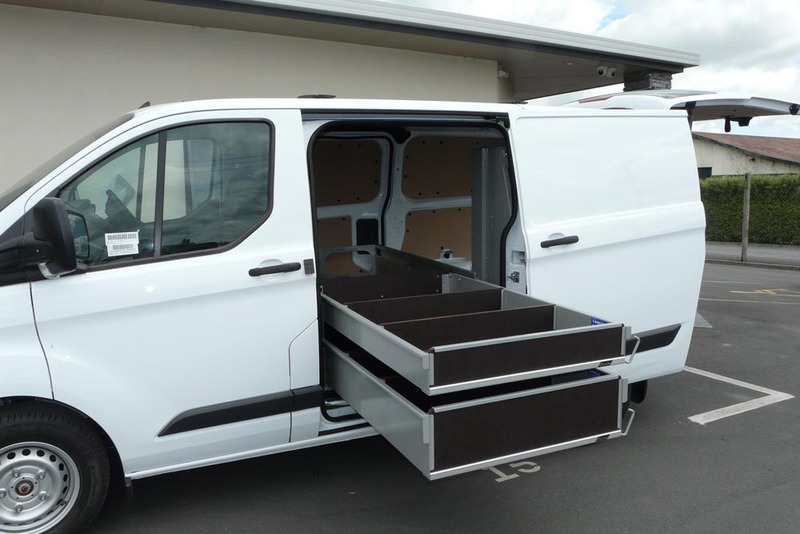 Camco has developed the Gullwing® brand which is a range of NZ made toolboxes and service bodies for utes. 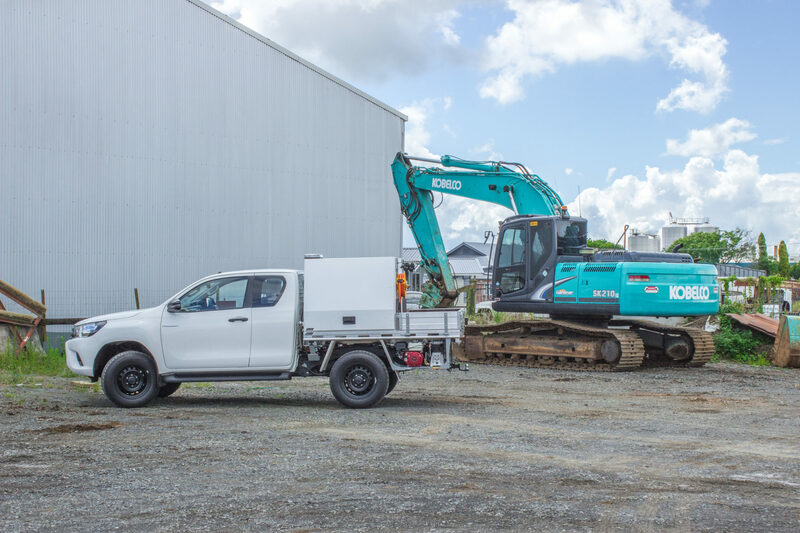 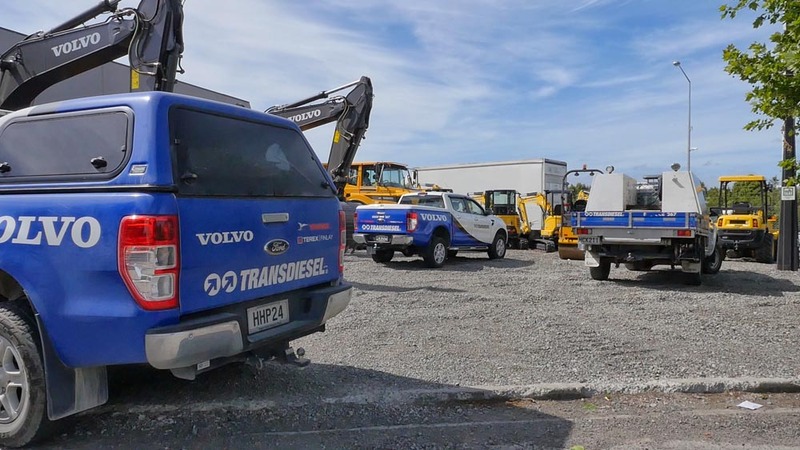 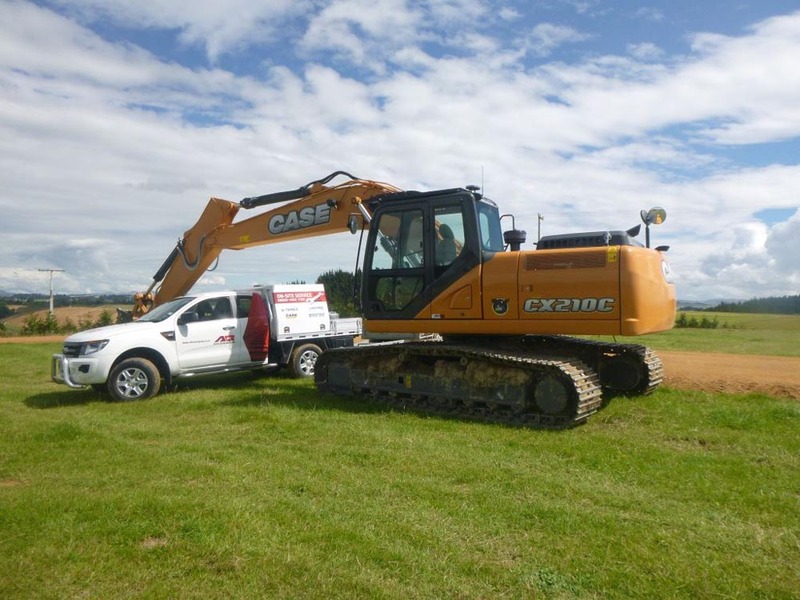 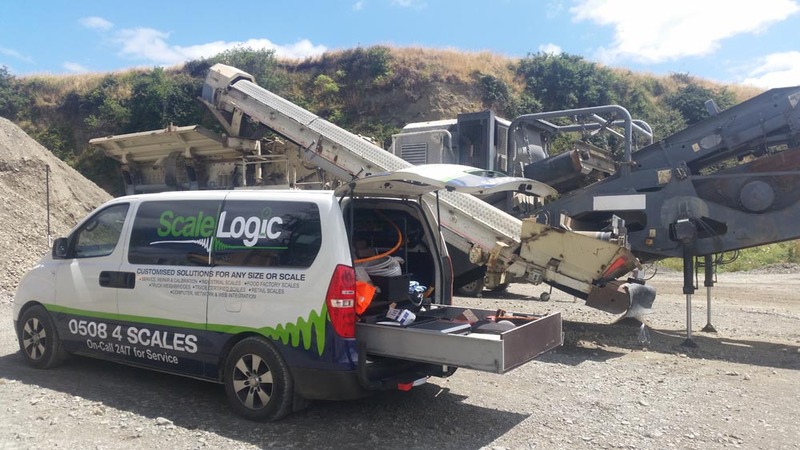 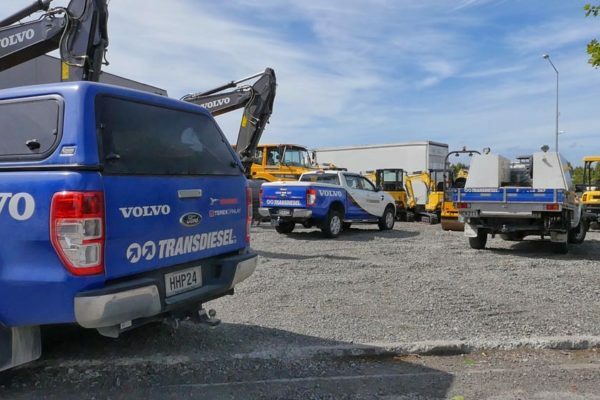 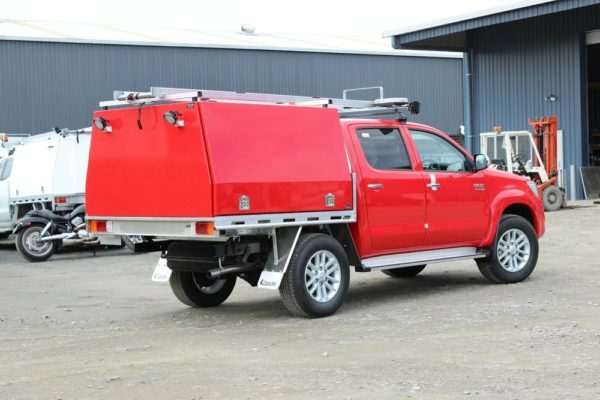 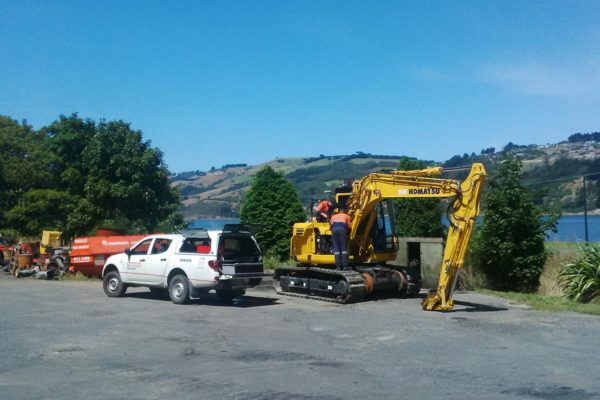 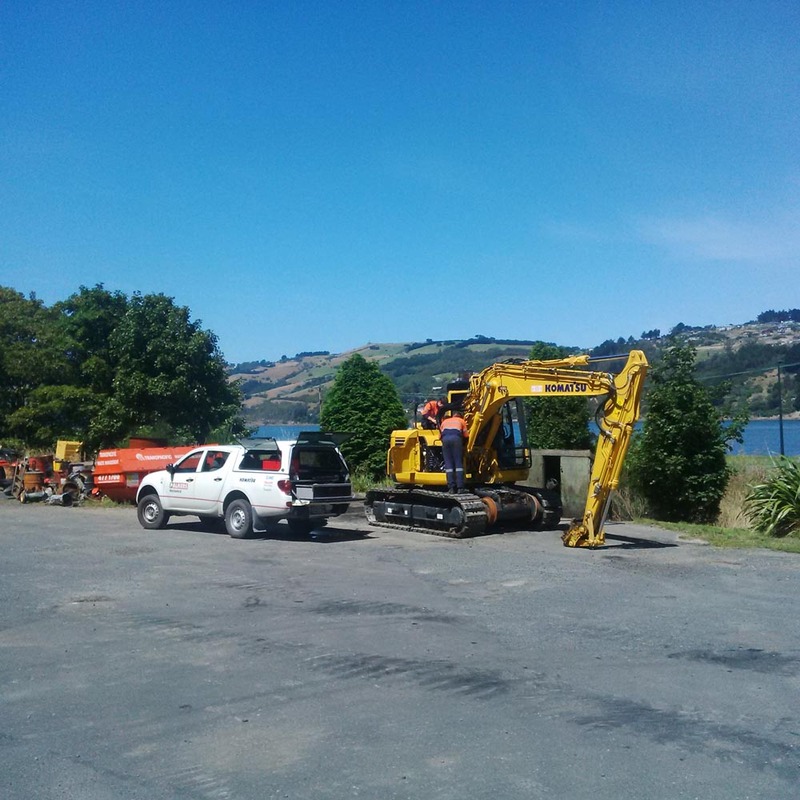 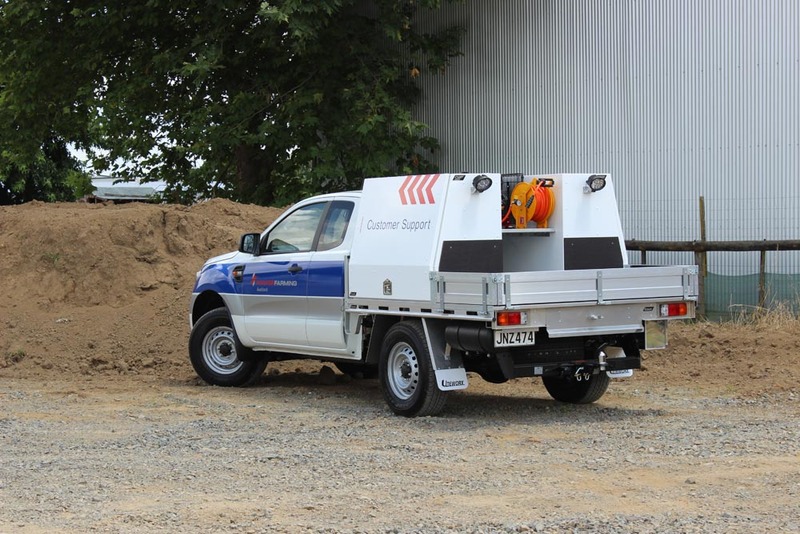 Here at Camco we recognise the unique conditions we have in NZ and put a lot of effort into ensuring that we design our equipment to suit this. 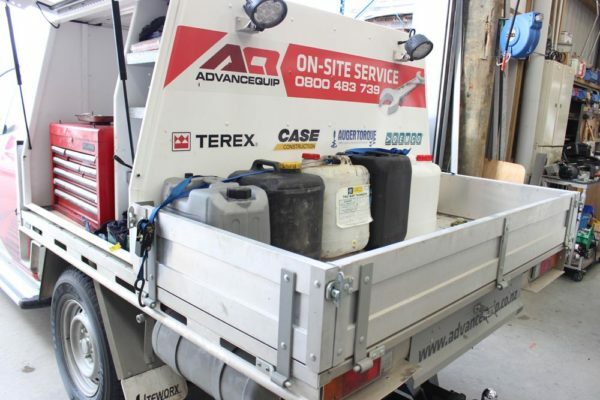 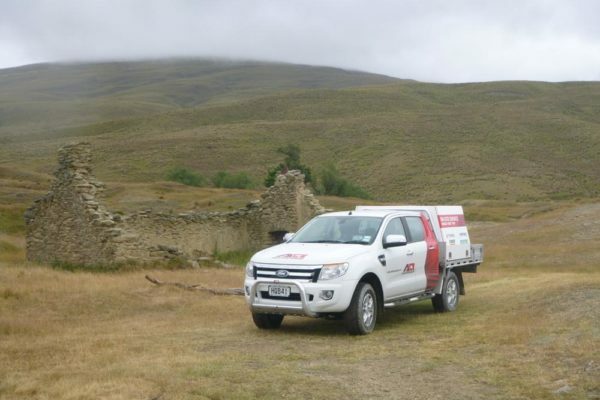 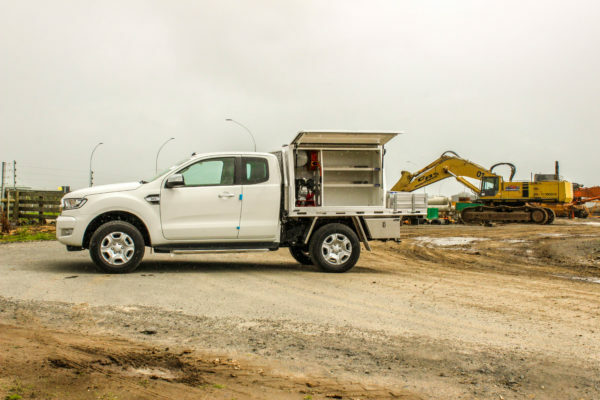 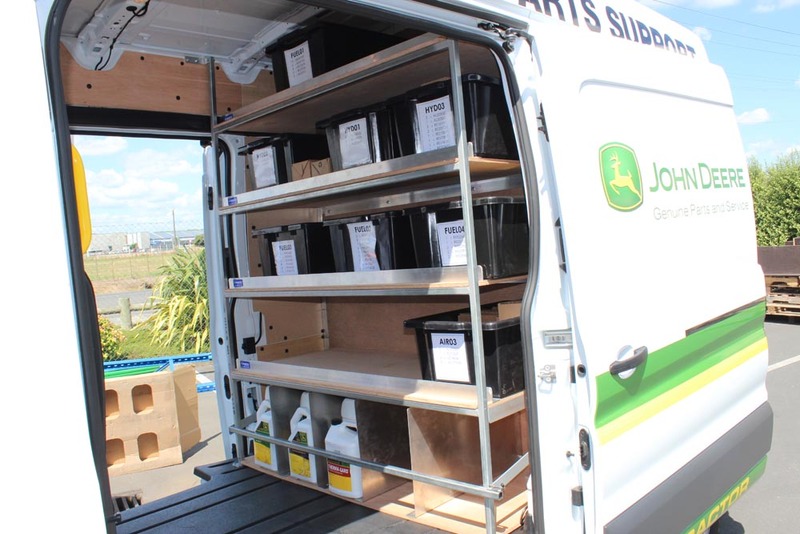 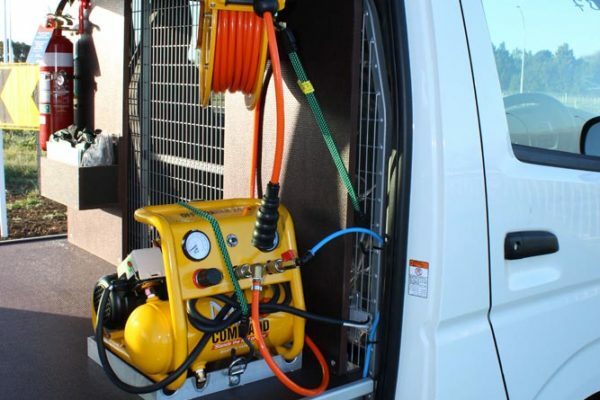 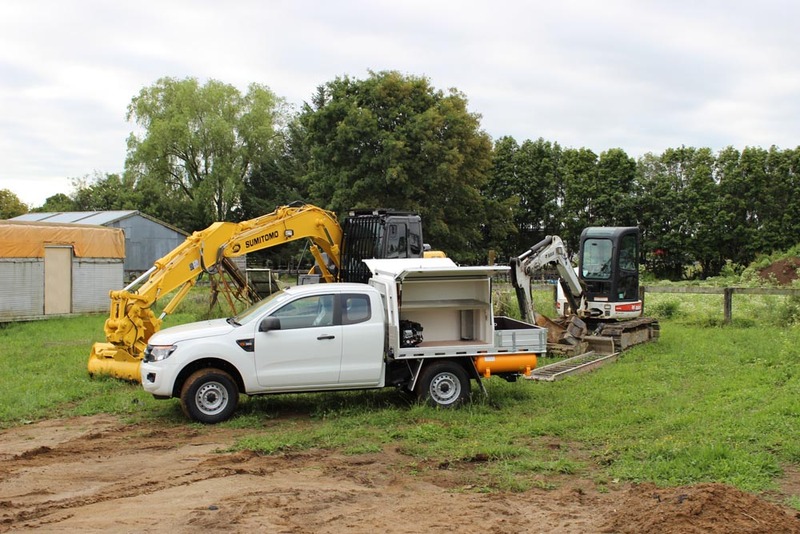 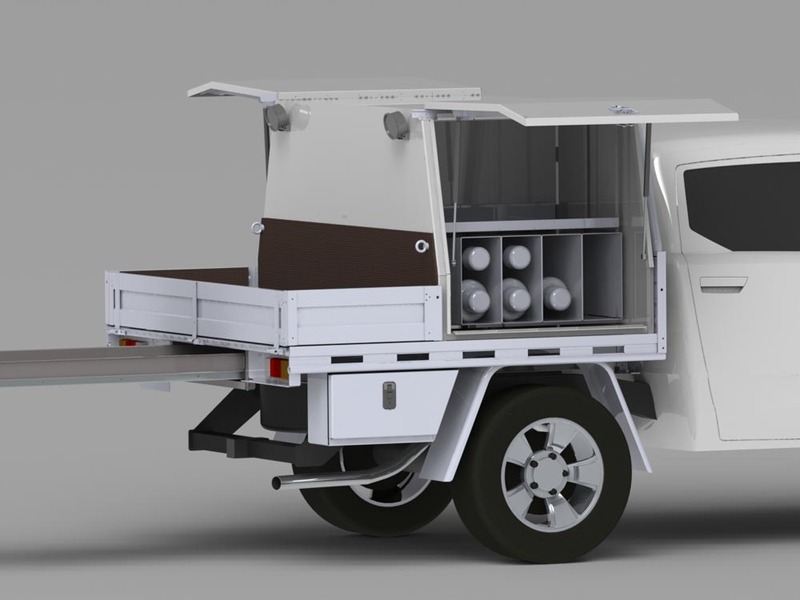 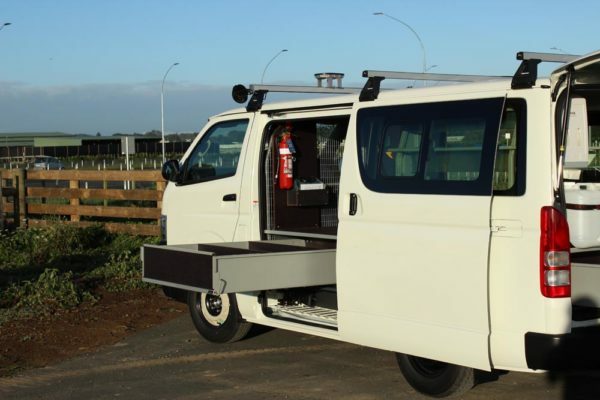 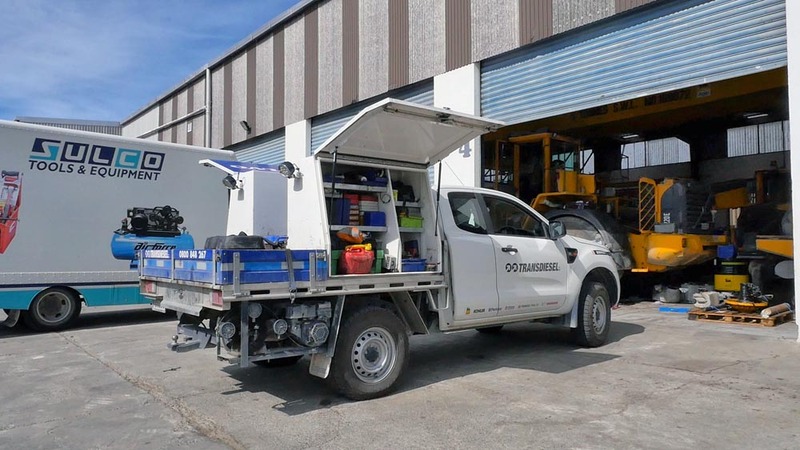 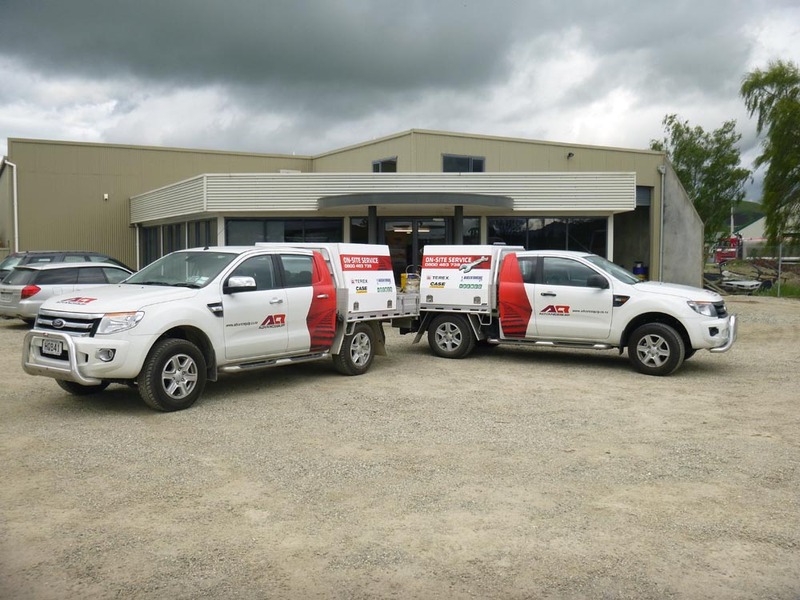 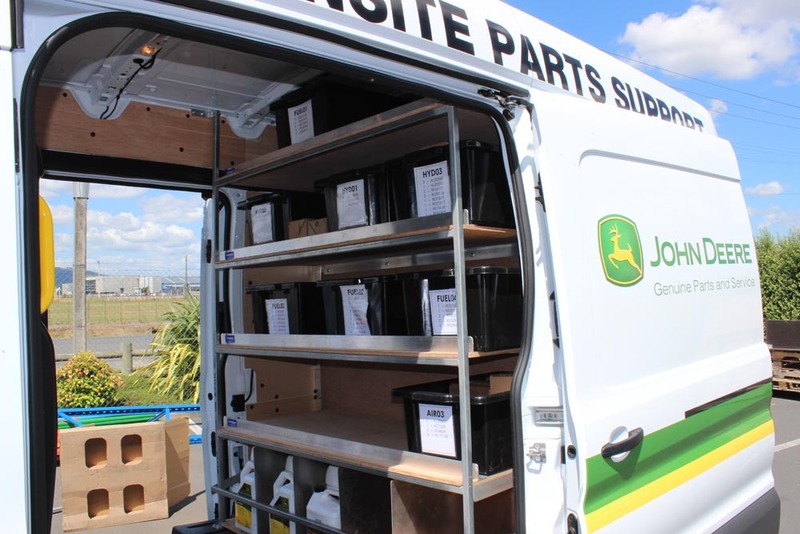 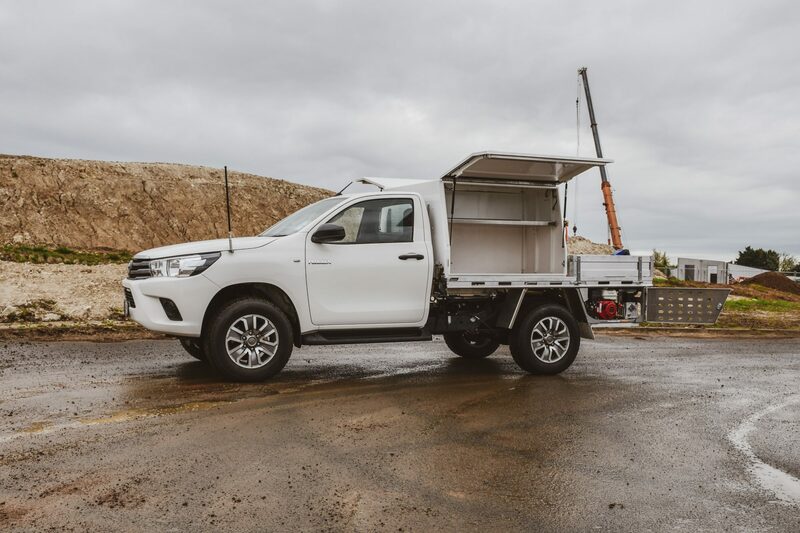 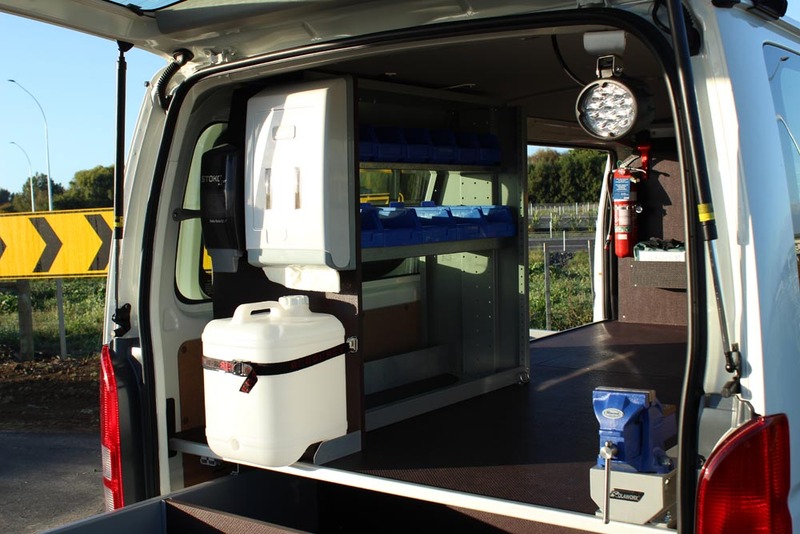 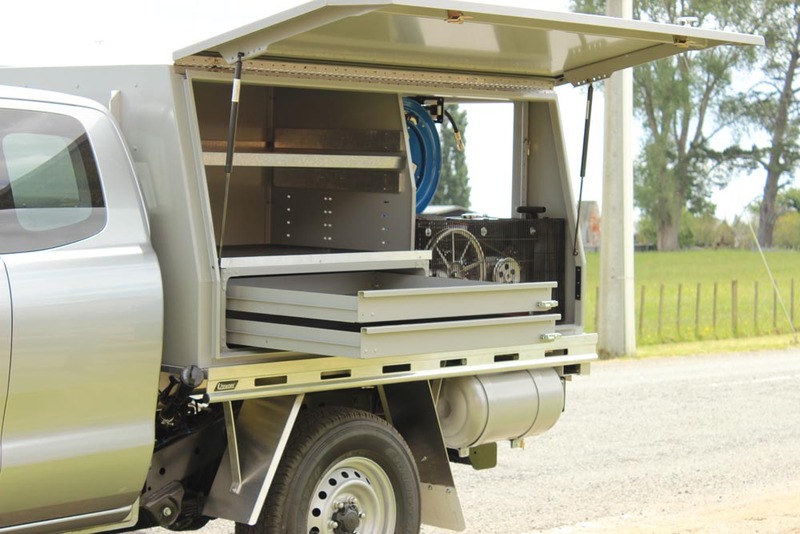 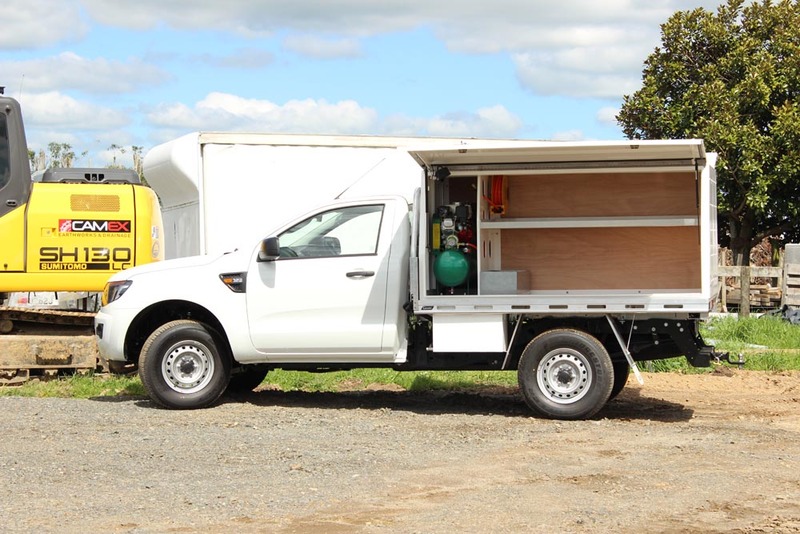 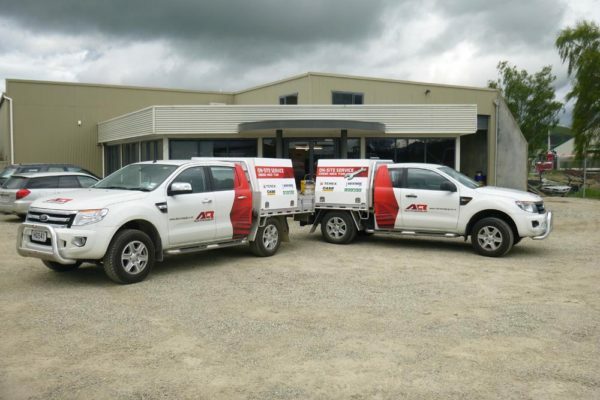 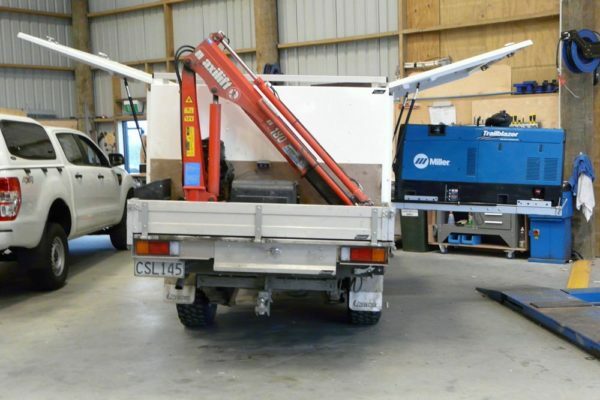 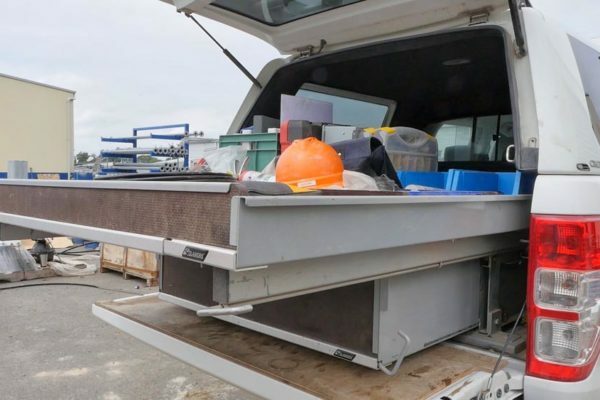 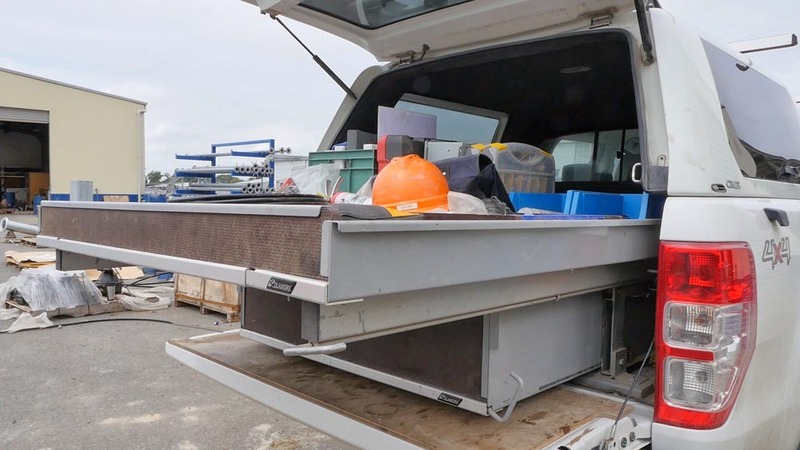 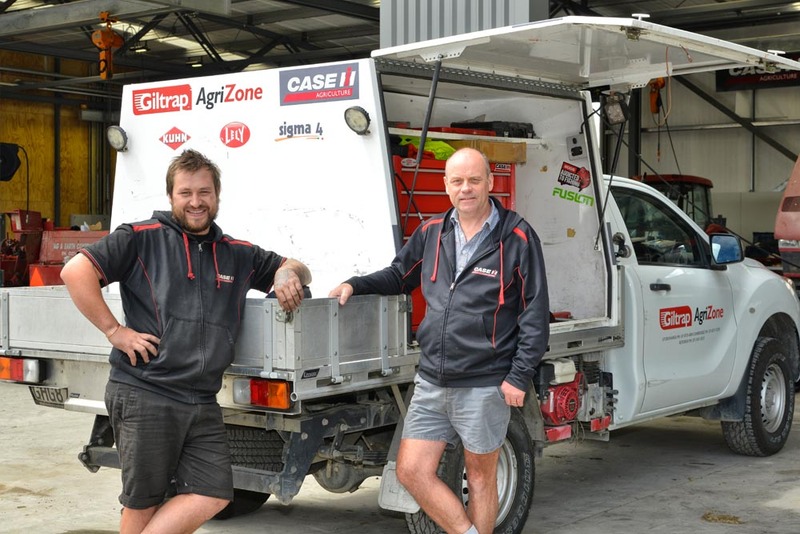 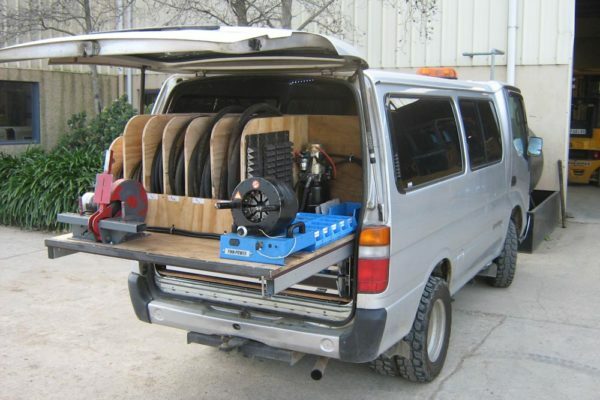 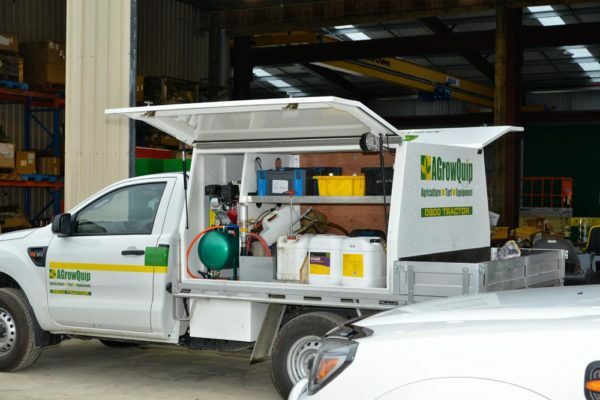 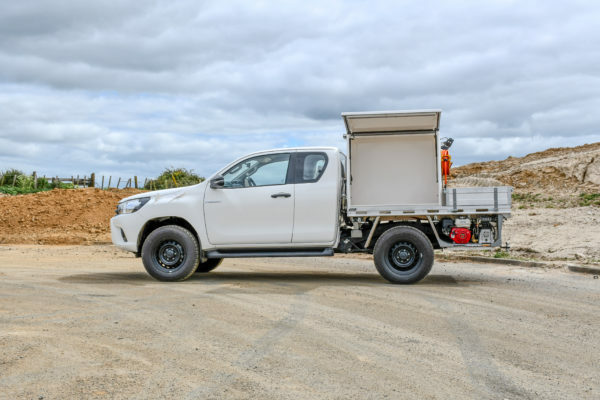 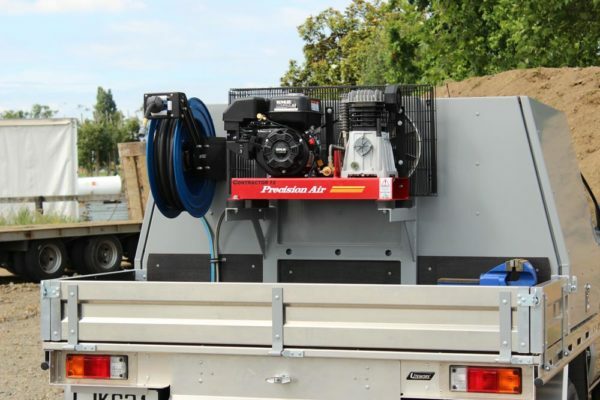 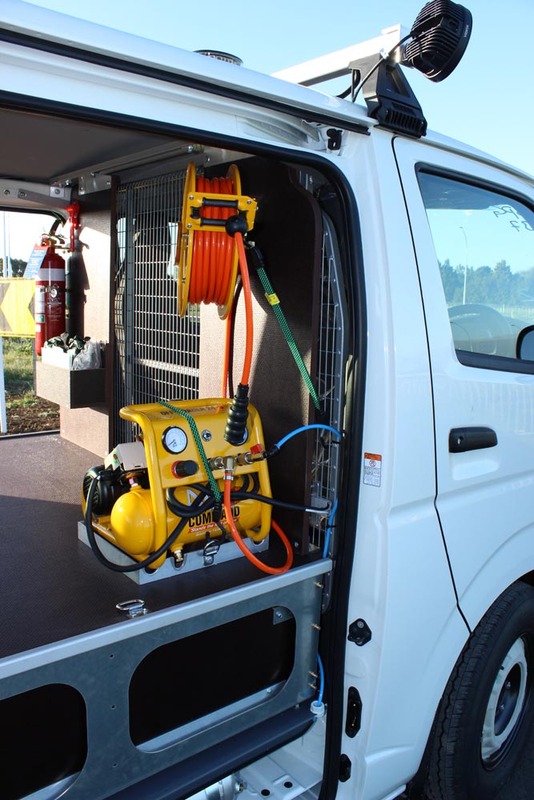 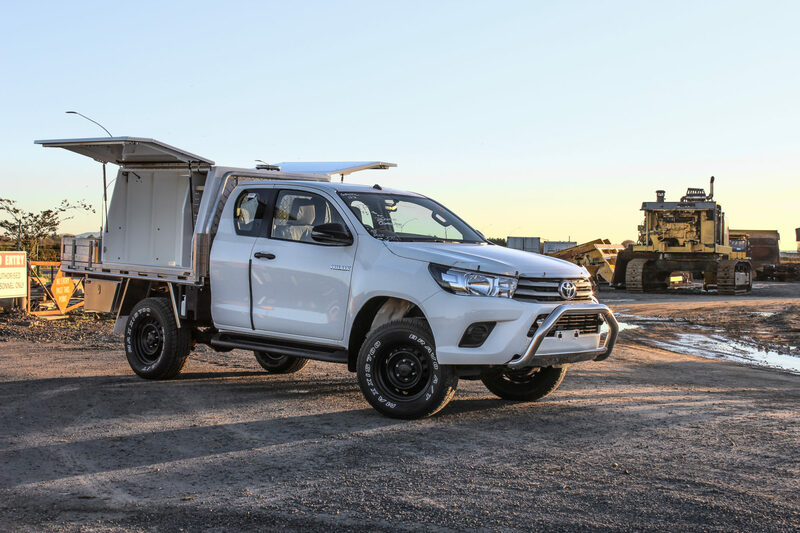 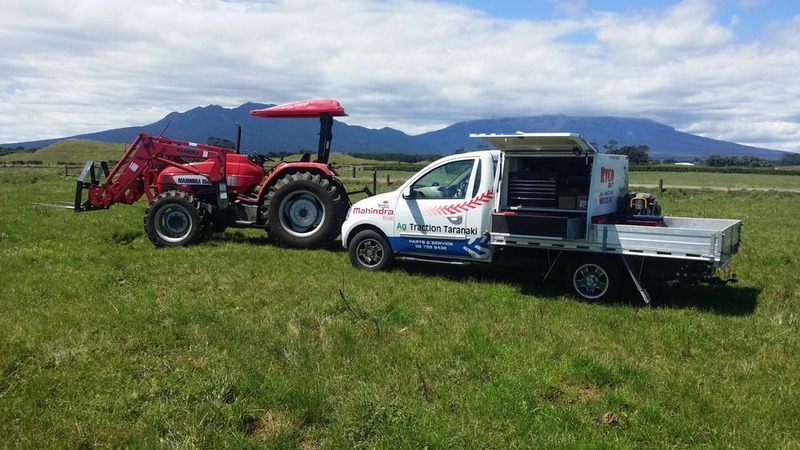 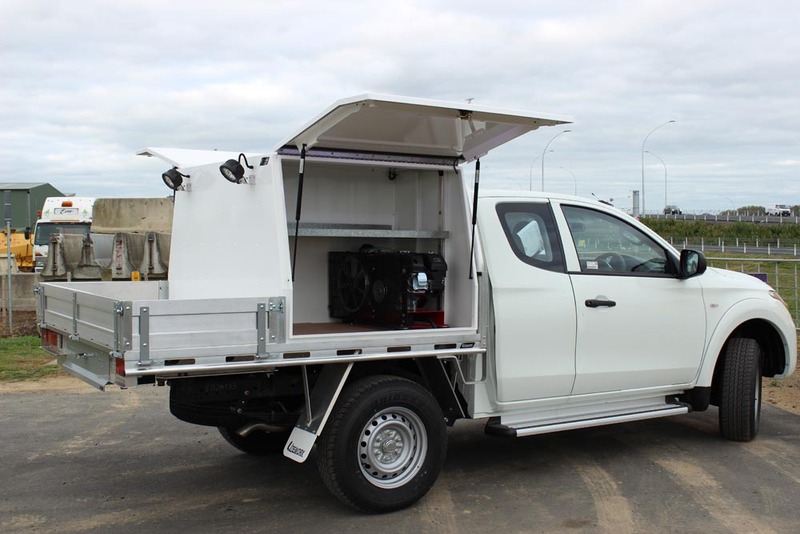 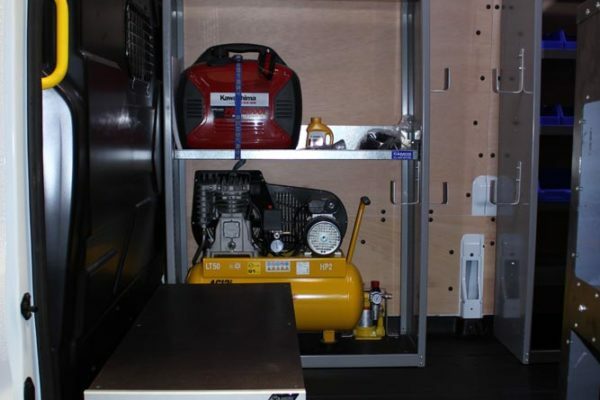 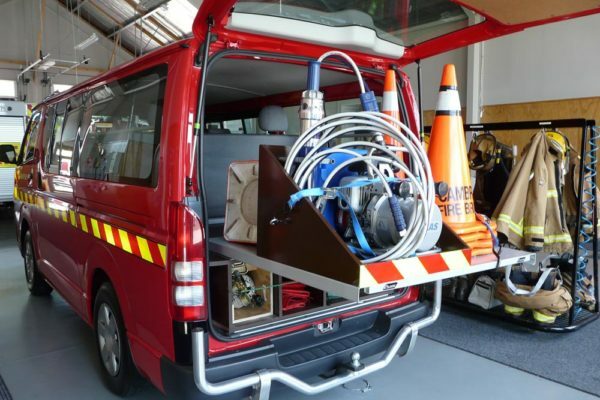 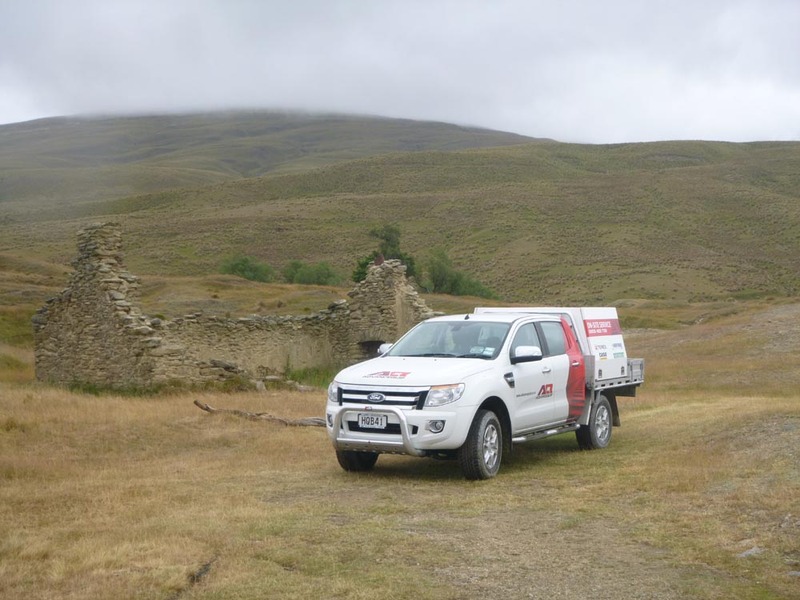 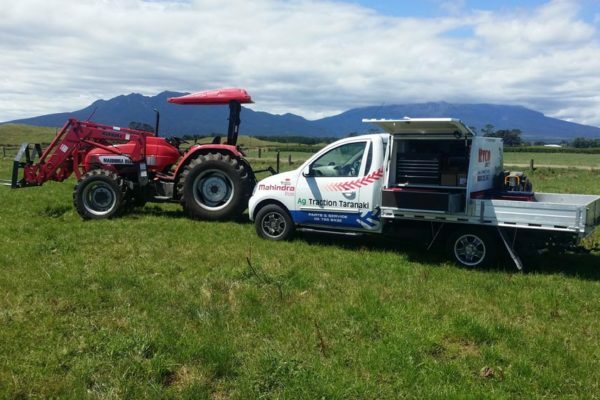 Companies providing services to farms such as milking machine servicing and water reticulation need efficiently organised vehicles for work, often carrying parts and equipment to remote locations. 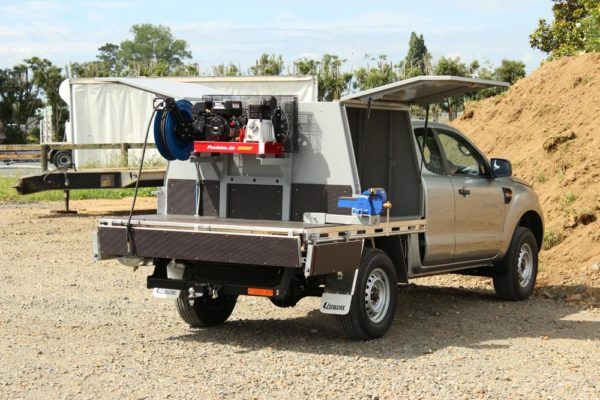 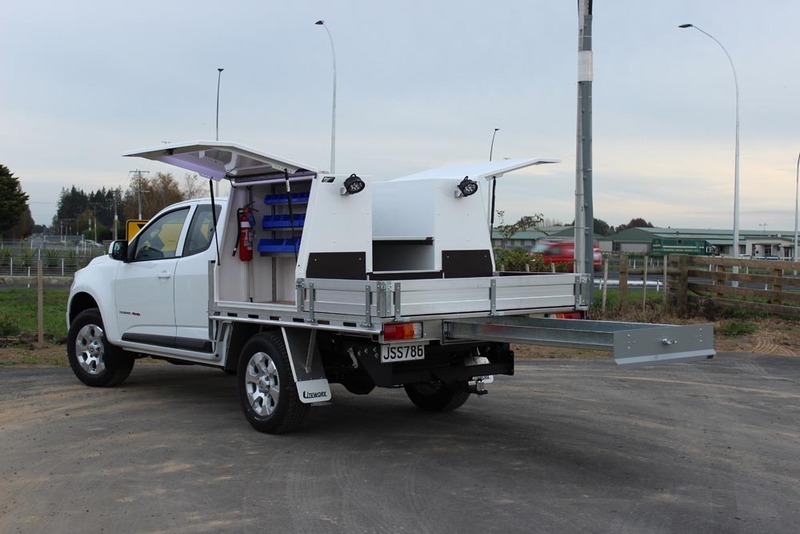 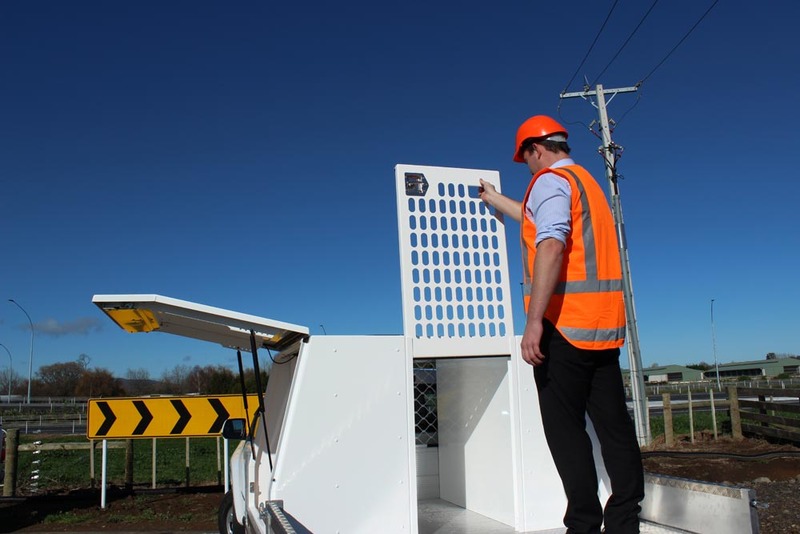 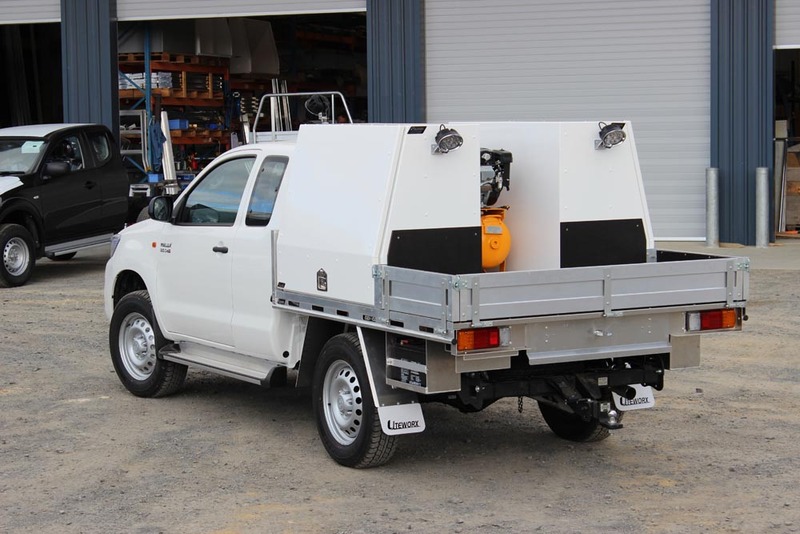 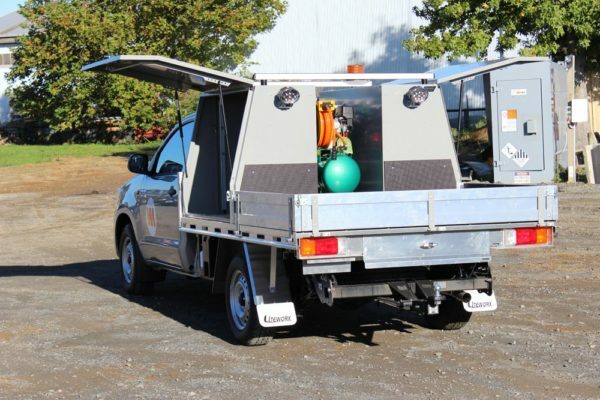 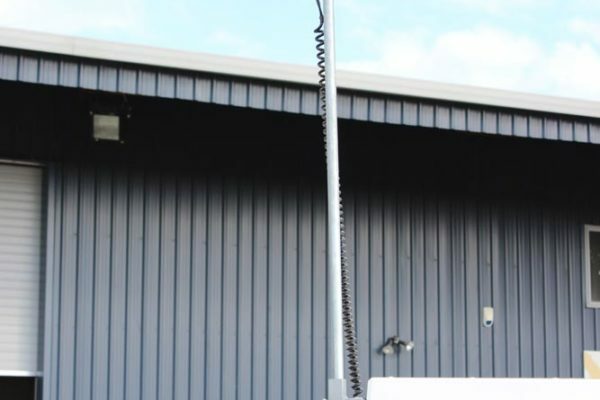 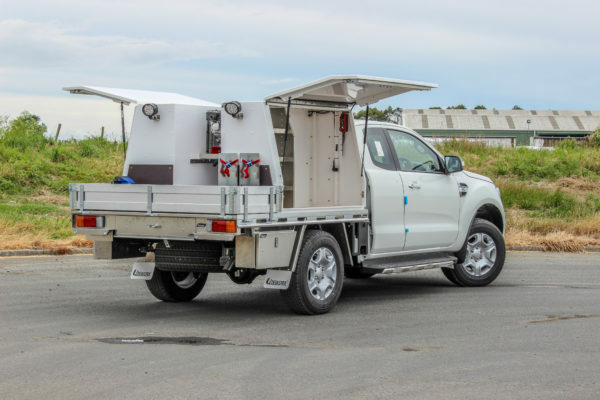 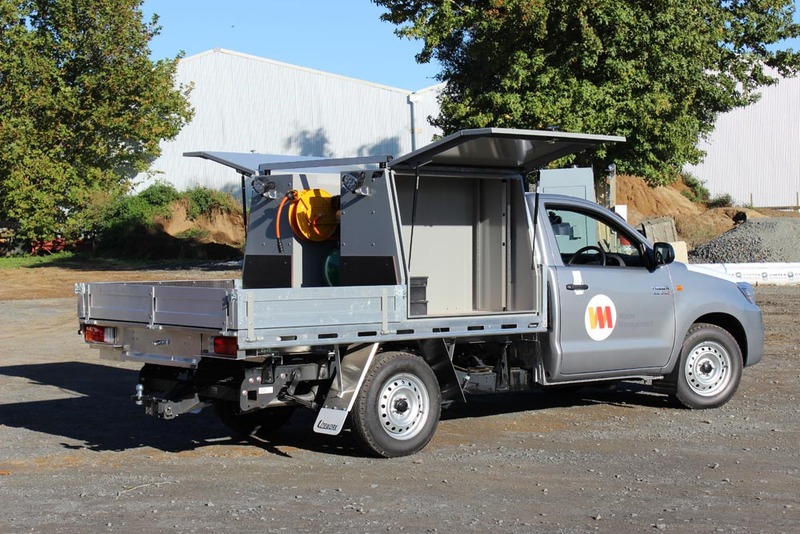 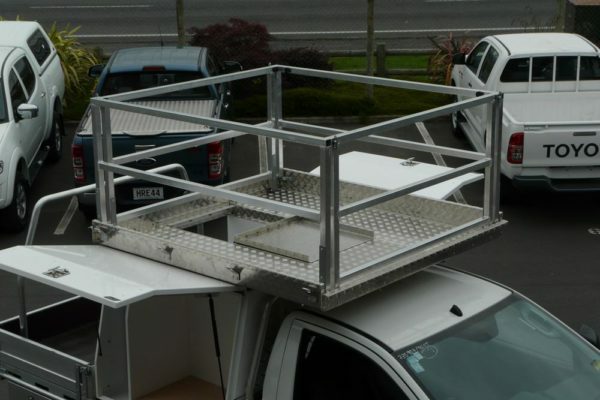 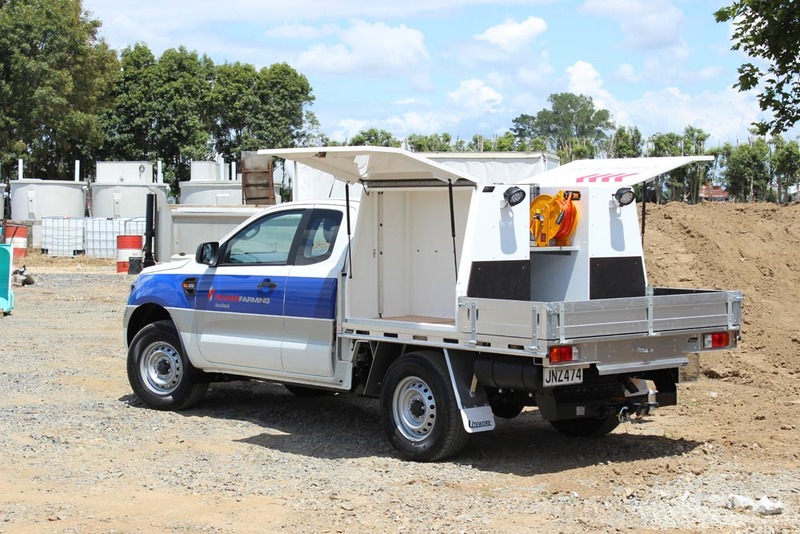 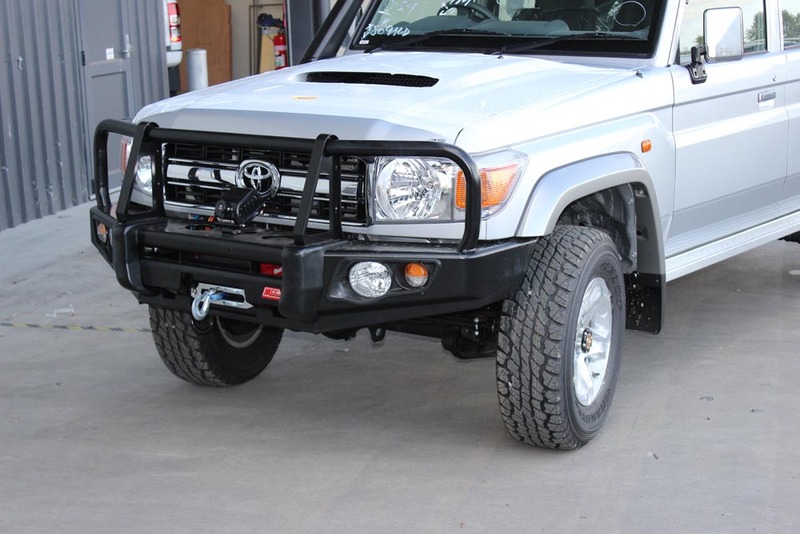 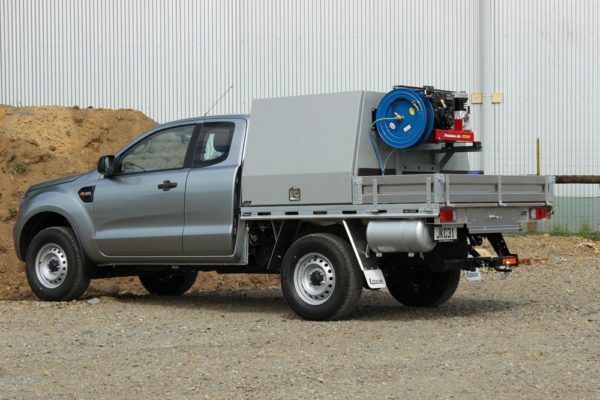 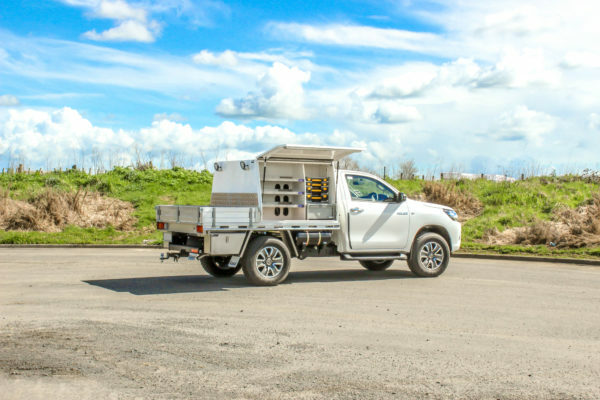 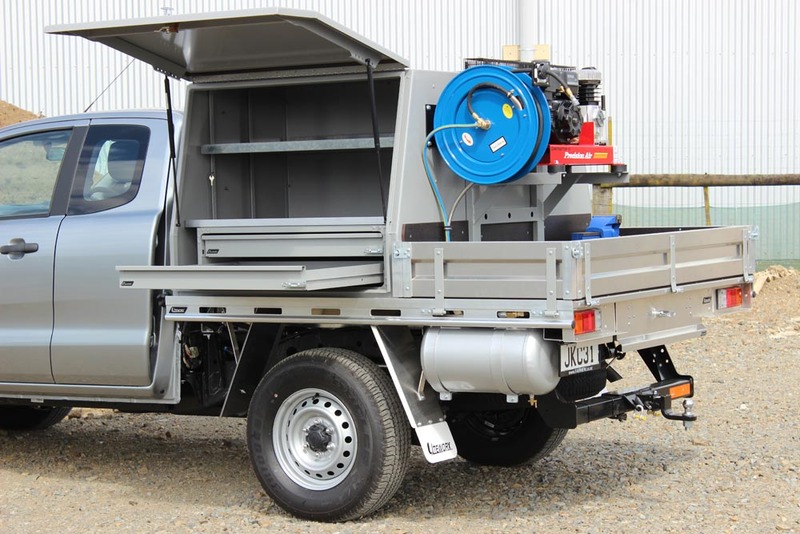 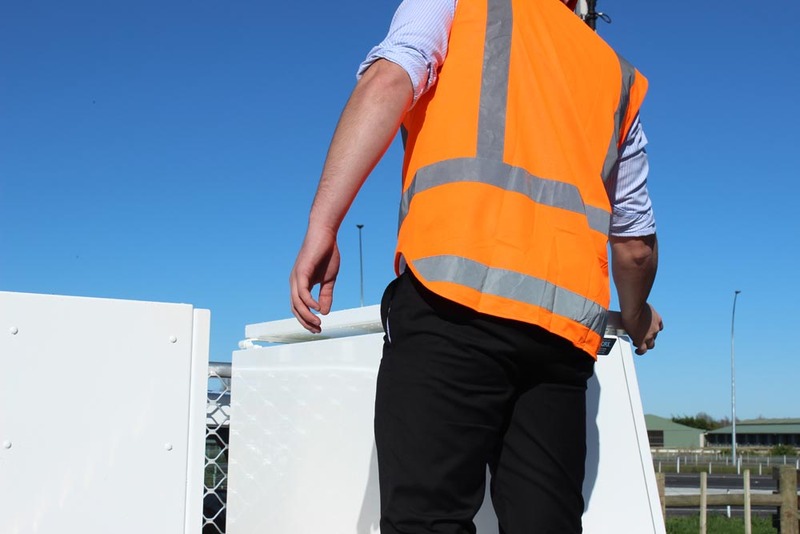 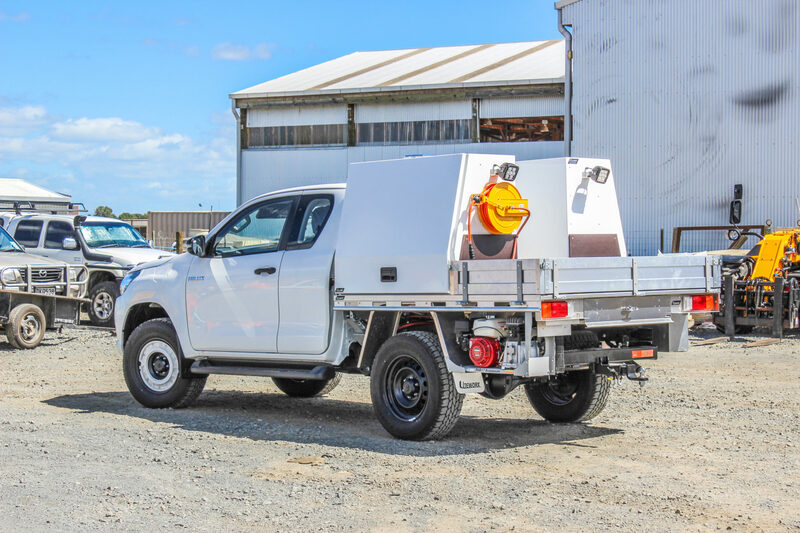 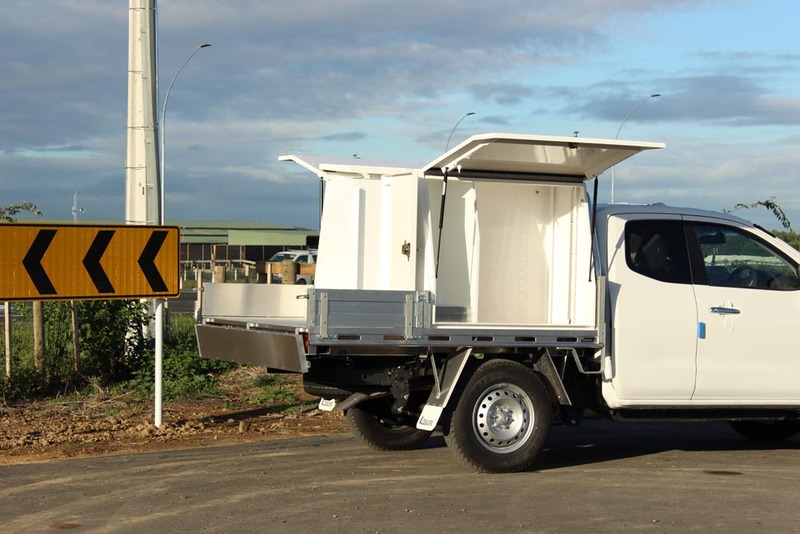 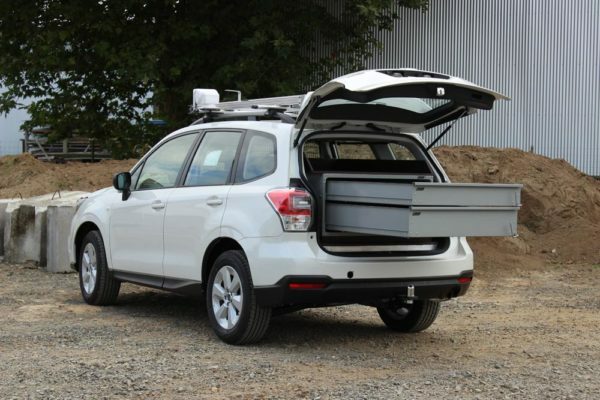 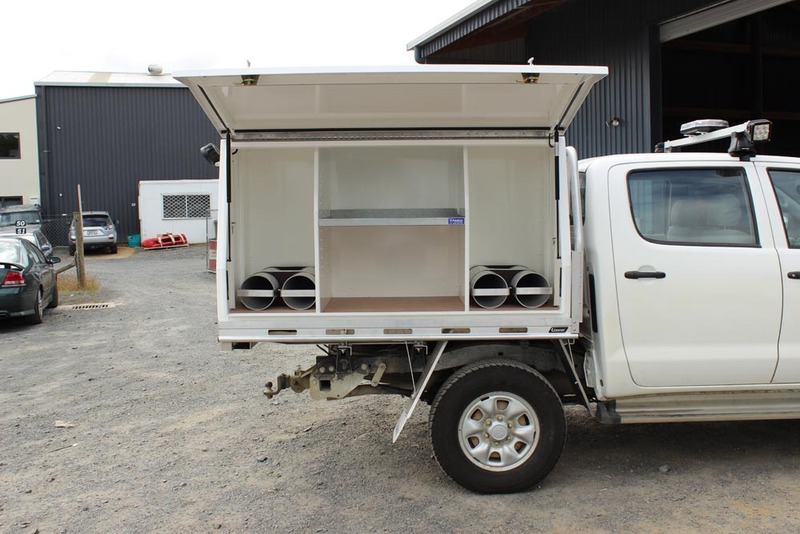 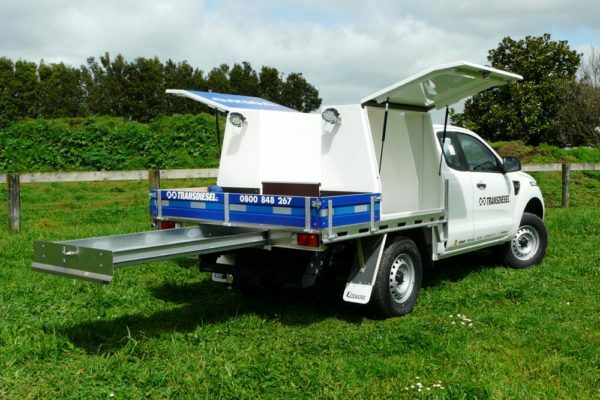 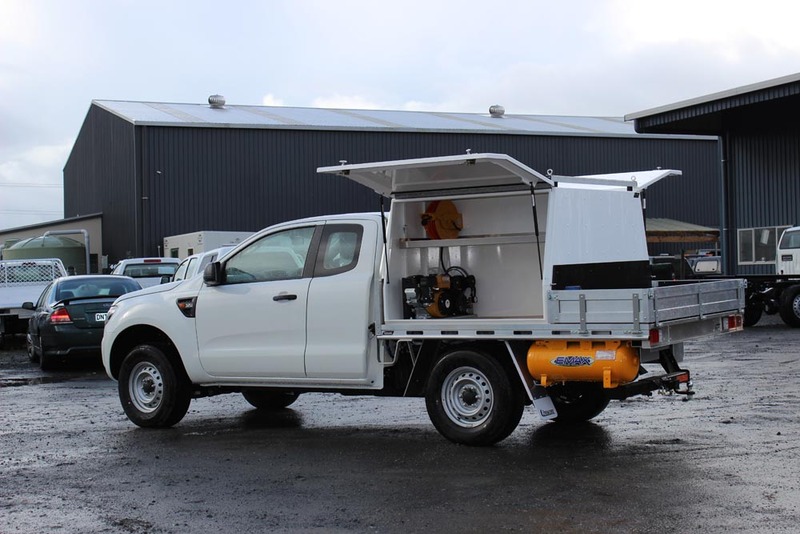 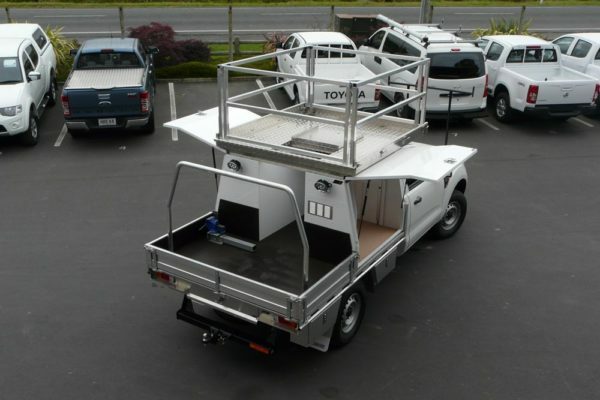 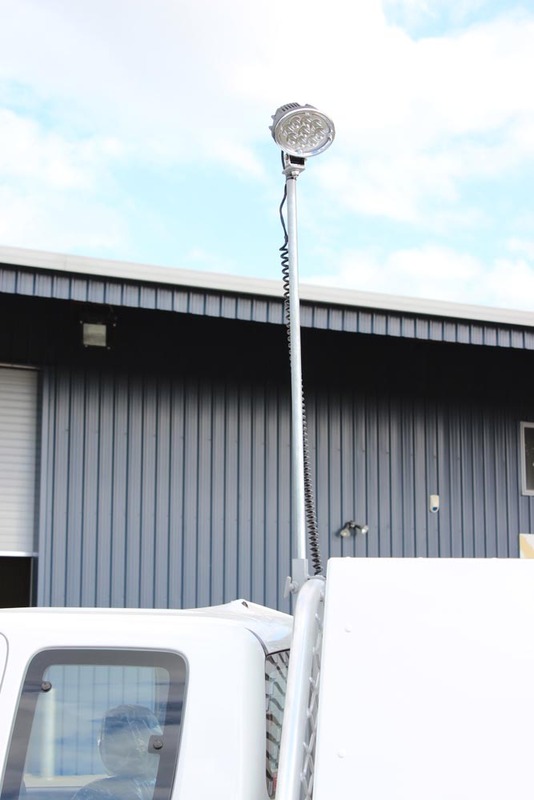 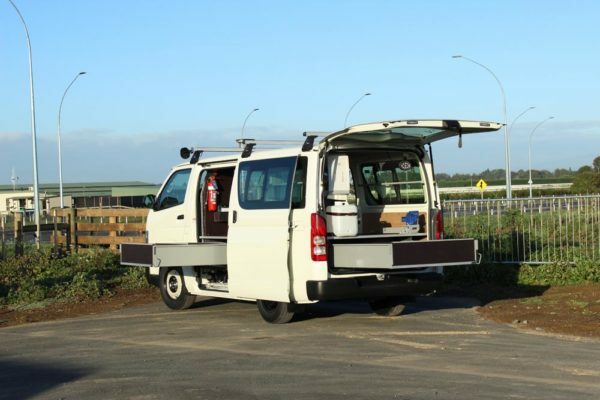 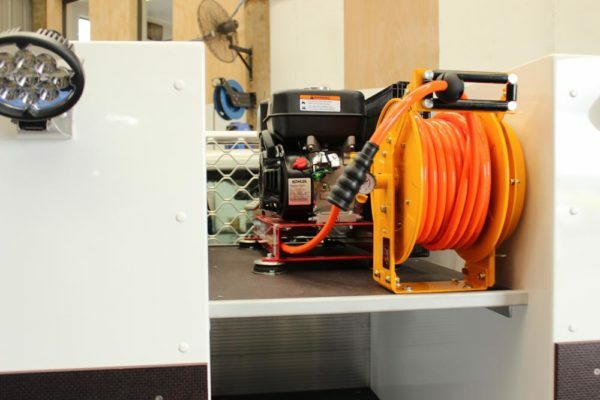 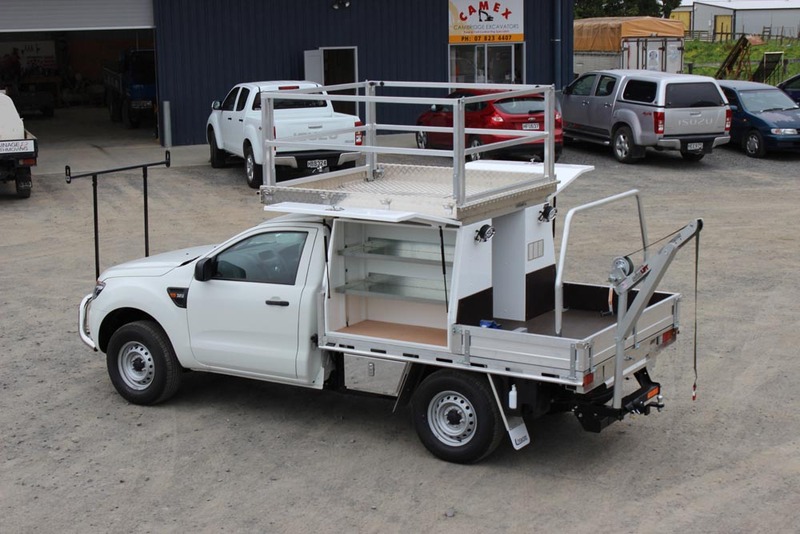 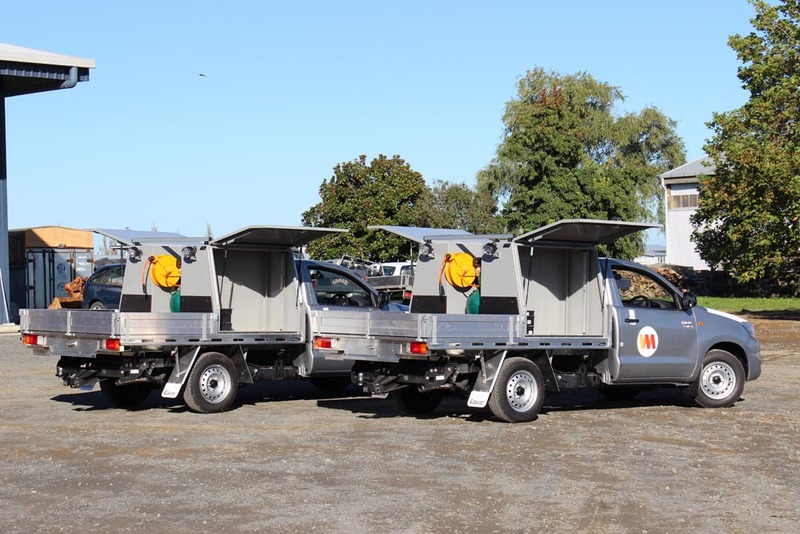 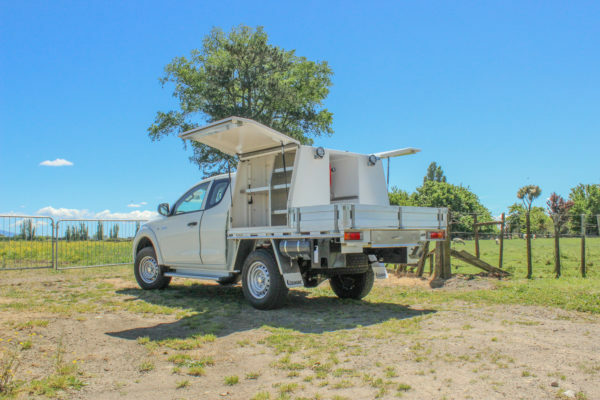 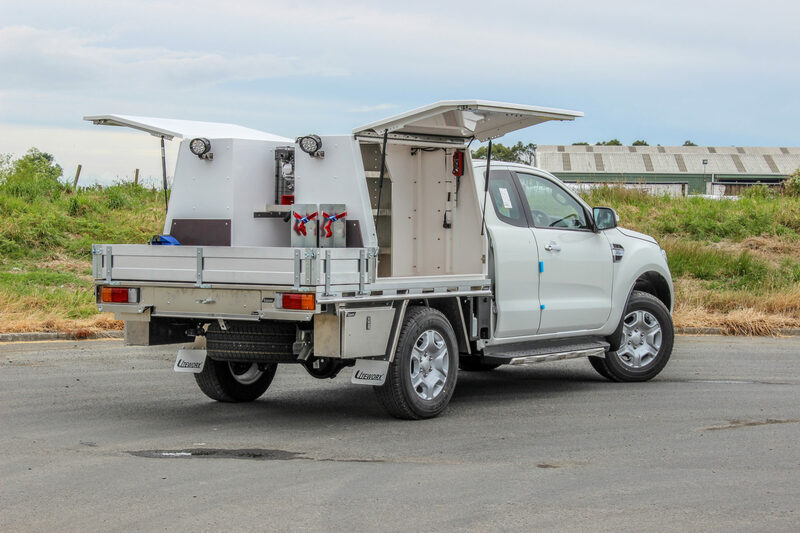 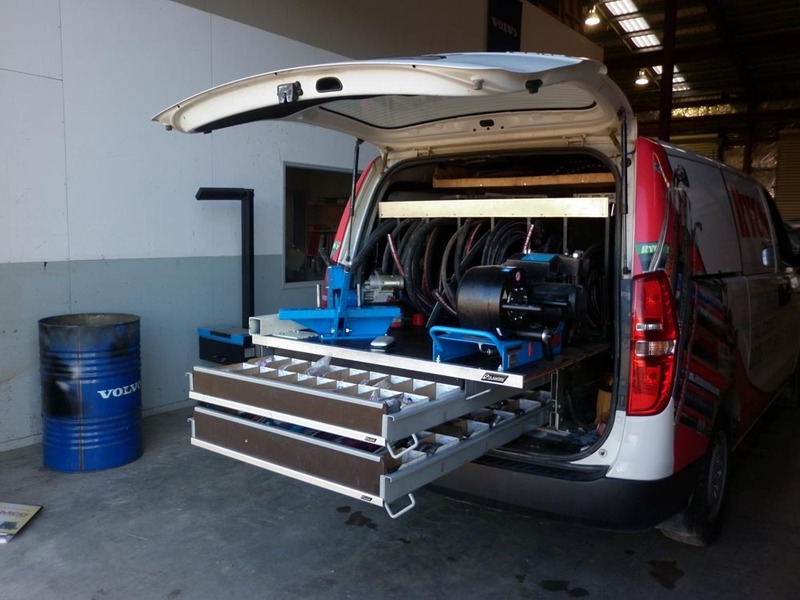 Camco has developed a specialist fitout for servicing pivot irrigators with a platform on the roof of a vehicle that is compliant with health and safety standards. 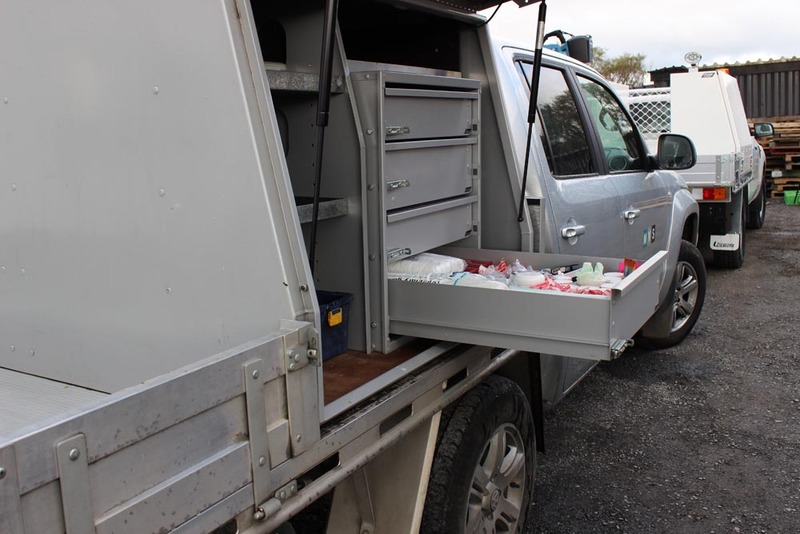 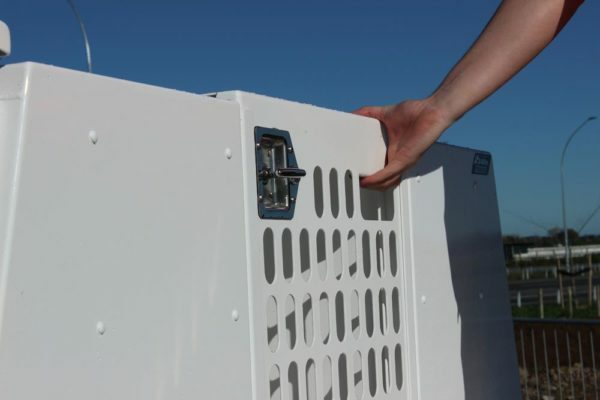 Rural vets with large animal practices have a real need to fit as much equipment and supplies into their vehicles as possible in order to attend to their animal patients, often in a remote environment, With everything in their fingertips at the crucial and hectic calving period for instance, efficiency in vehicle storage organisation can make a huge difference. 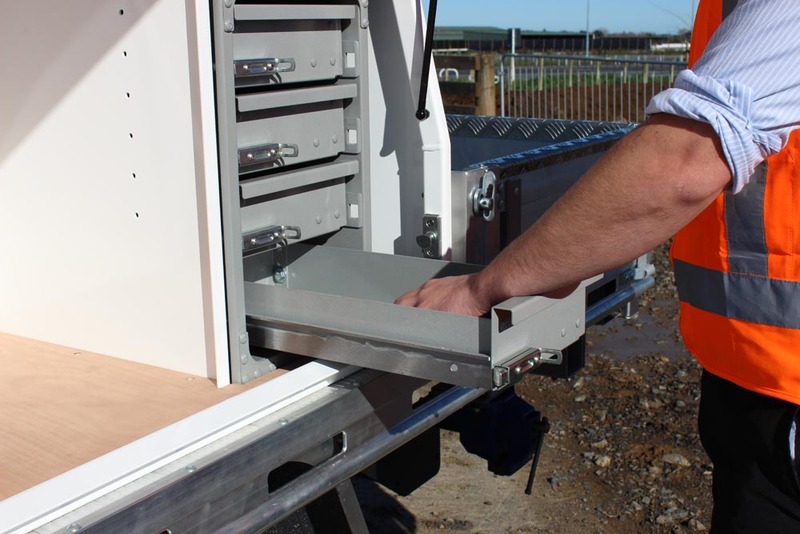 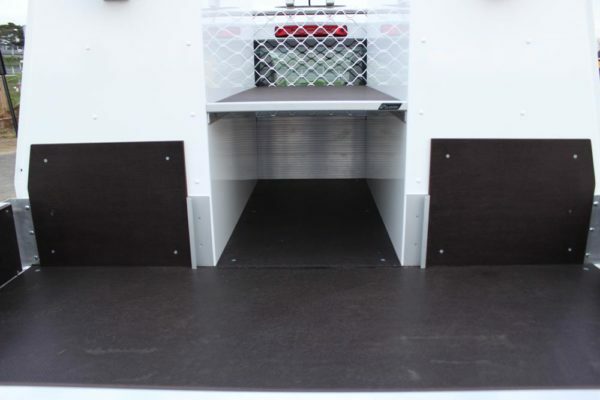 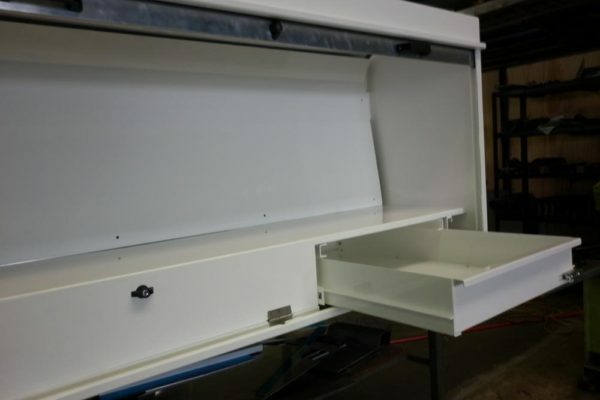 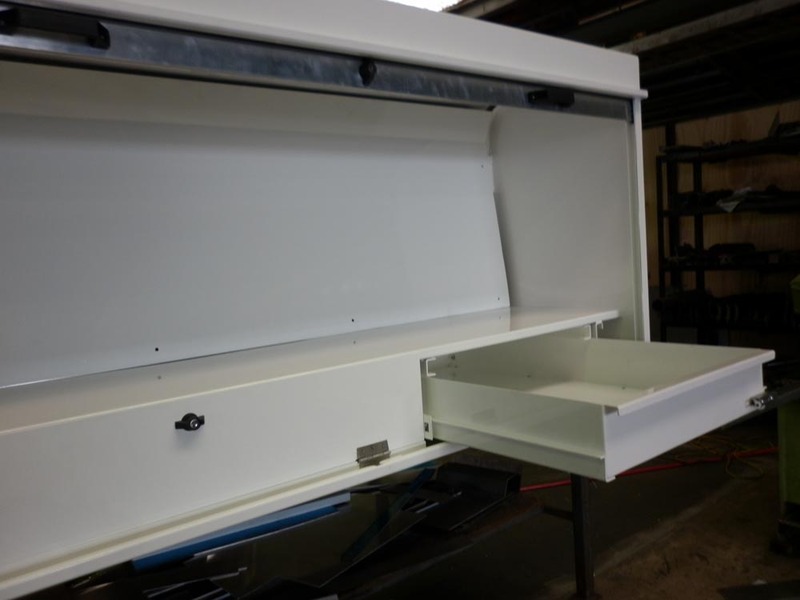 The Rolaworx® sliding plan table is a great addition for vets wanting to write prescriptions, along with the slam lock drawers for organising medicines. 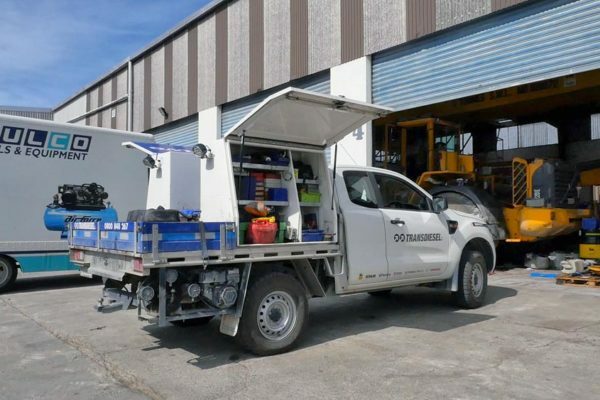 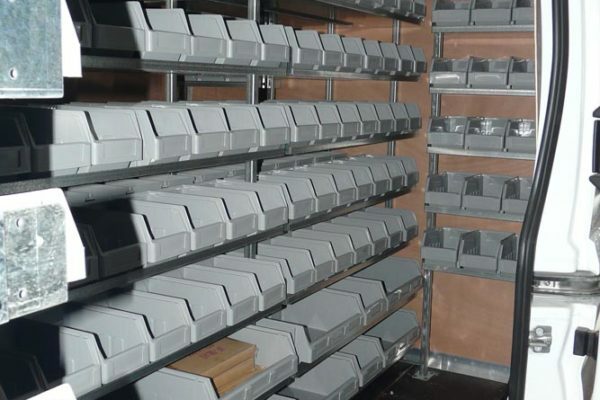 Technicians engaged in the certifying and calibration of equipment for weights and measures need an organised and effective mobile workshop to operate from, in order to carry the tools and spare parts they require for their customers. 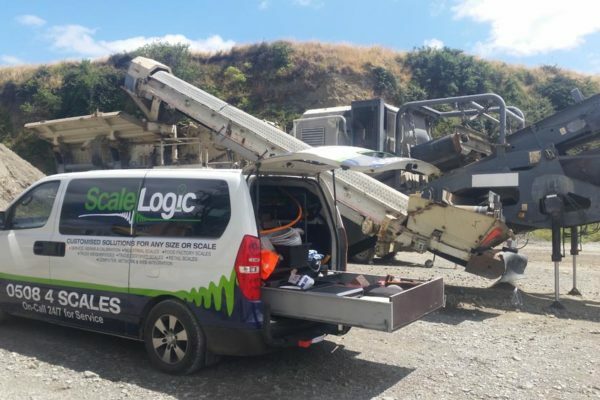 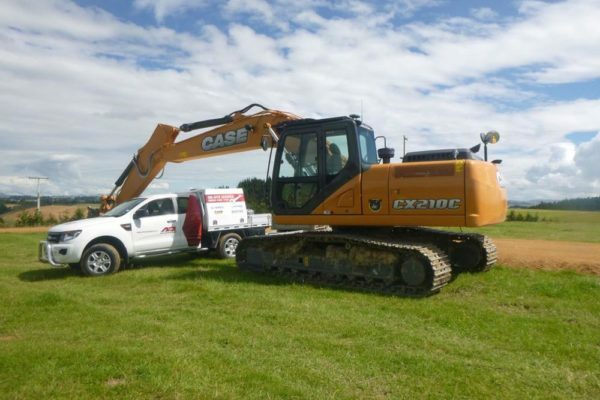 In addition to this, they need sufficiently organised space to transport a customer’s piece of machinery back to base when more extensive repairs are required. Camco has supplied fitouts for these companies and has successfully provided solutions to them.